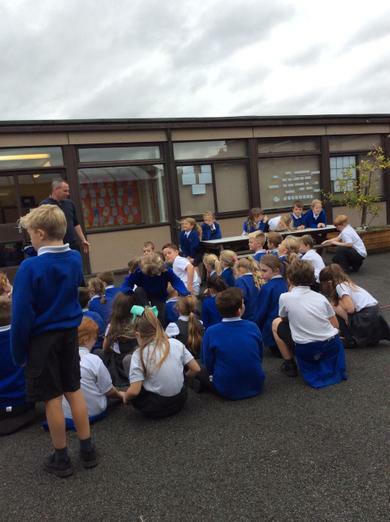 We had a very informative talk from our local Police Community Support Officer, Pete Atkinson, this afternoon. 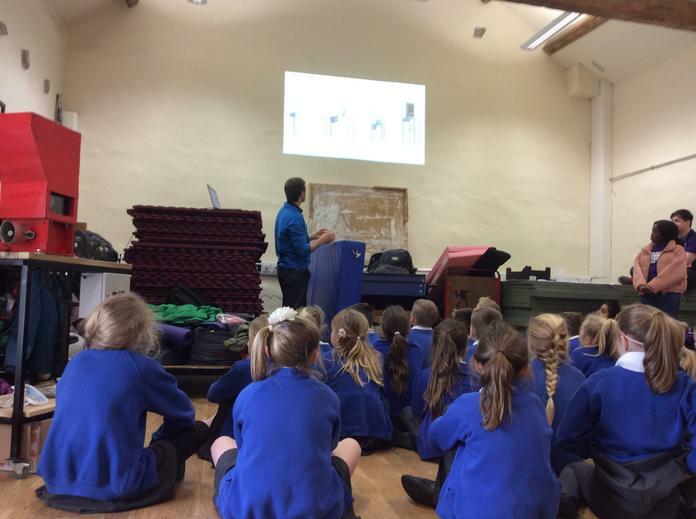 He talked about the potential dangers of social media and what to do if you find yourself in an uncomfortable situation. 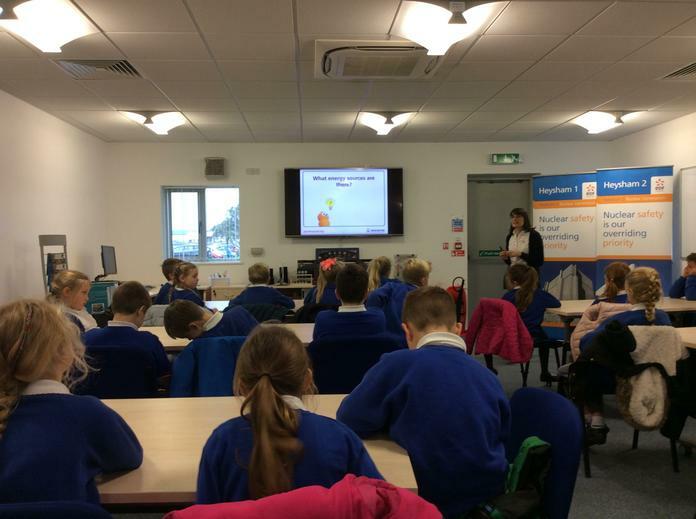 The children were surprised by some of the age requirements in order to use certain sites or applications available on the internet. 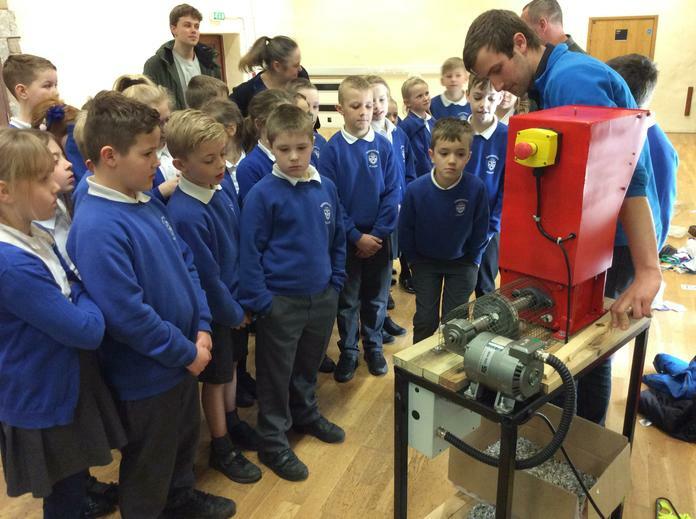 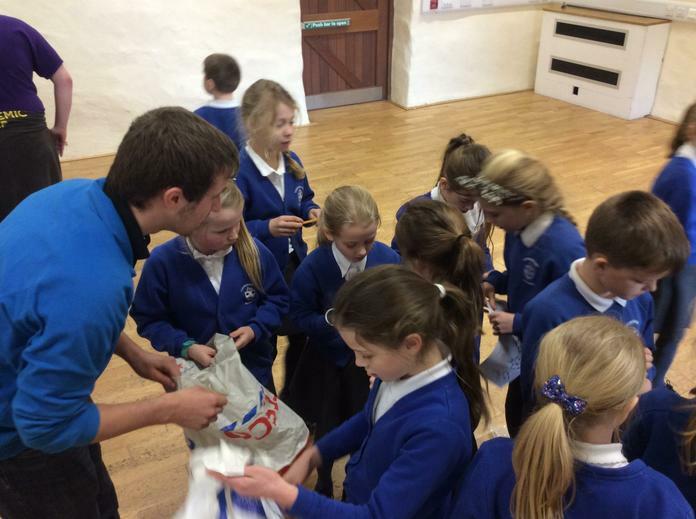 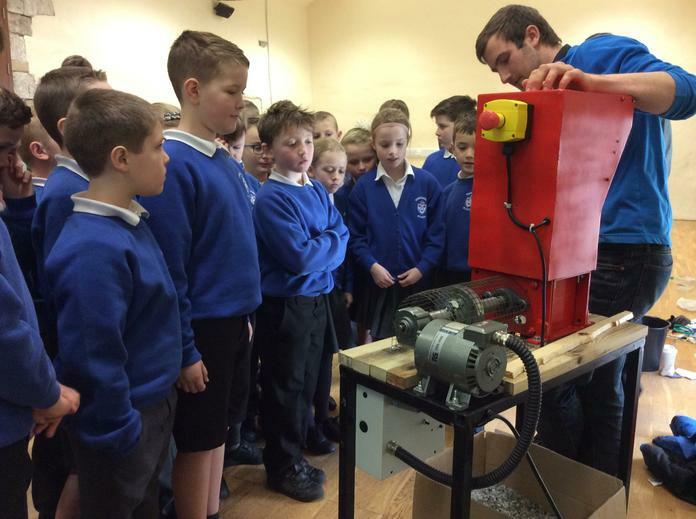 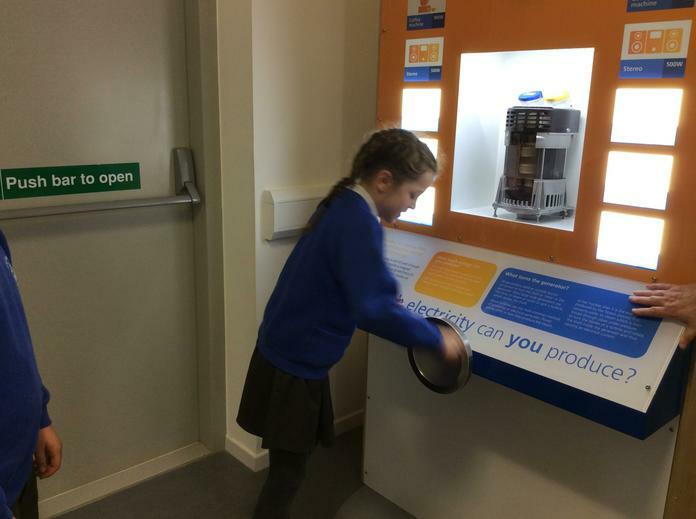 The children have had a fantastic day learning about how to up-cycle products. 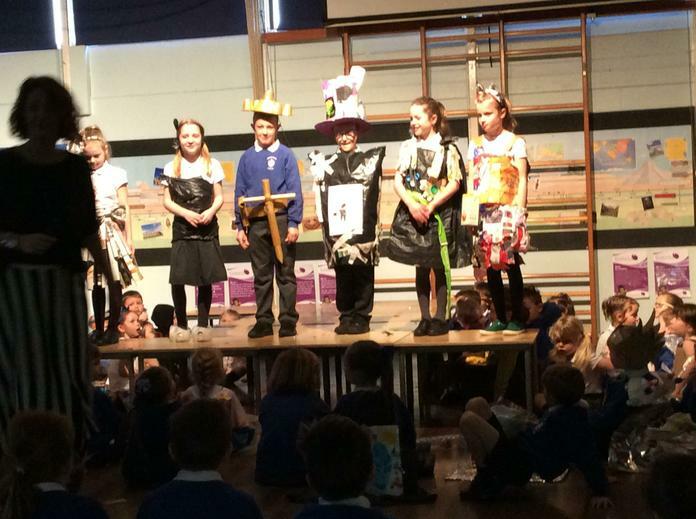 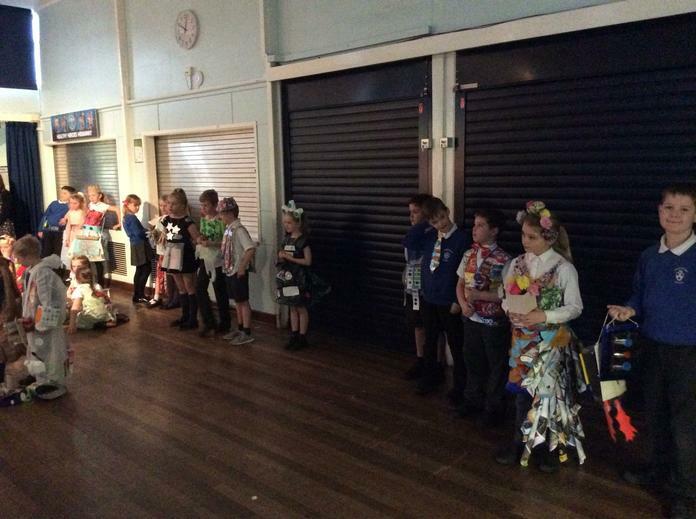 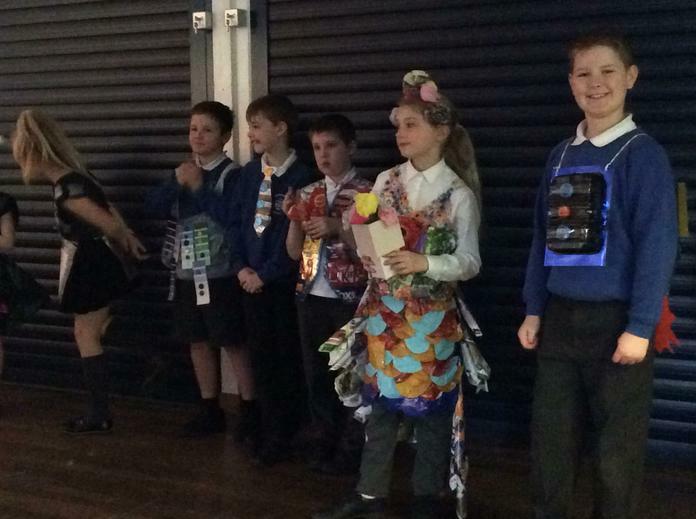 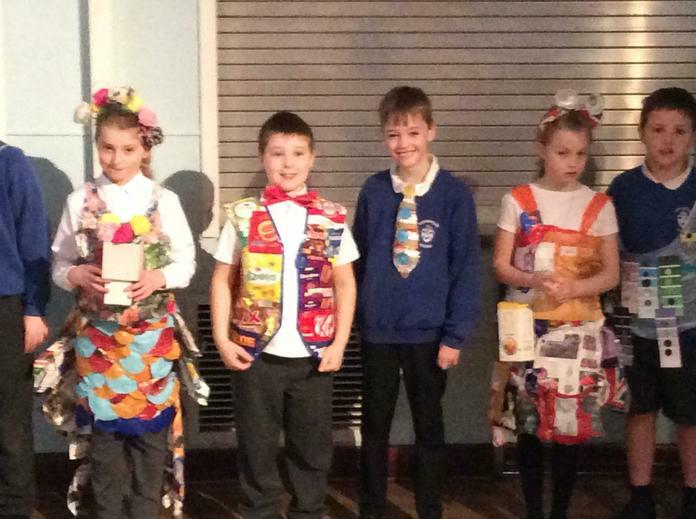 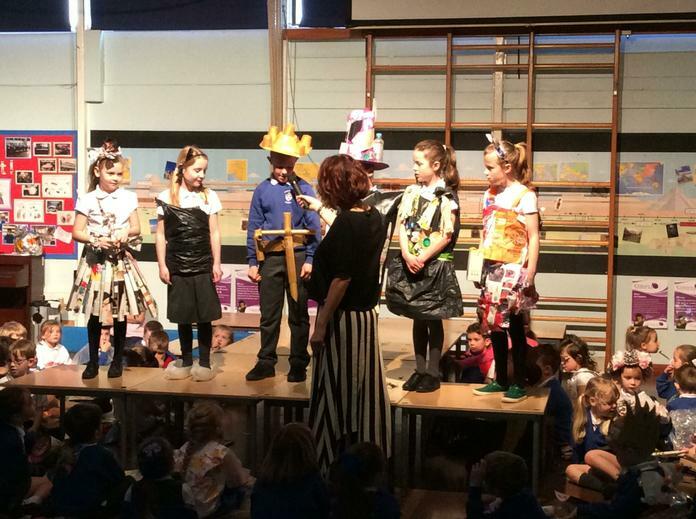 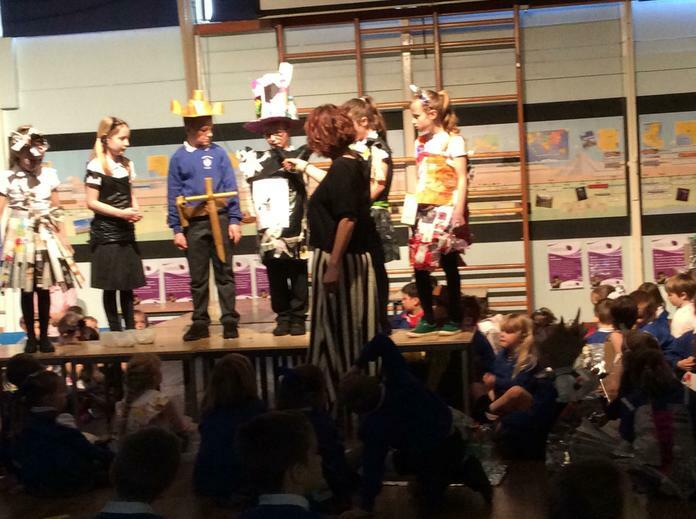 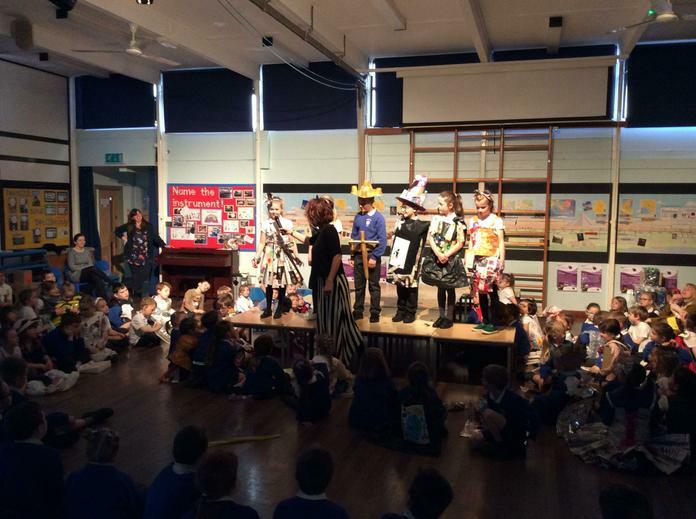 We have had a trashion show, made a mural from plastic bottle tops as well as changing a plastic bottle into a flower pot! 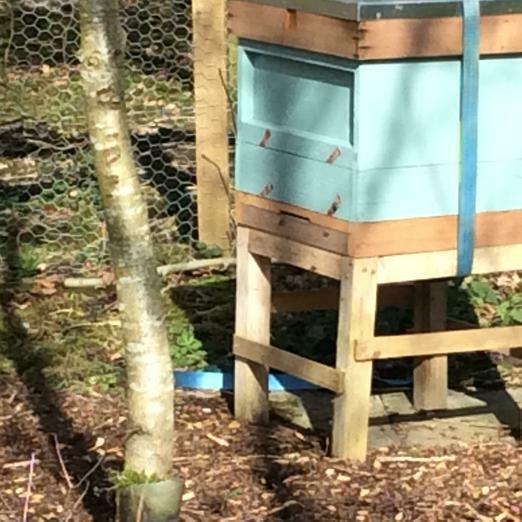 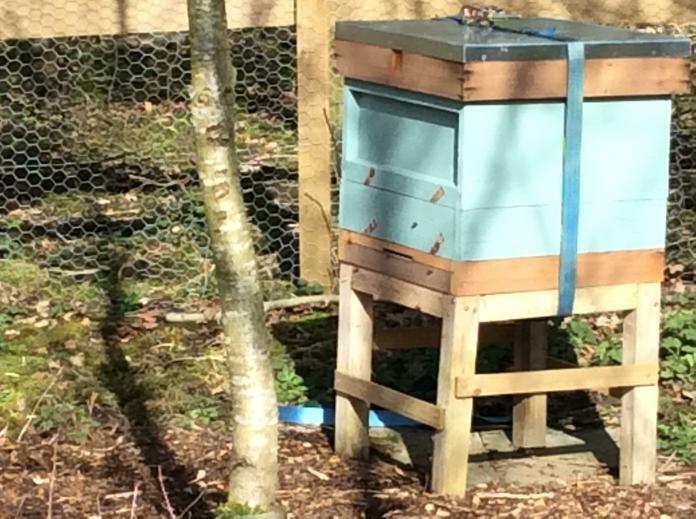 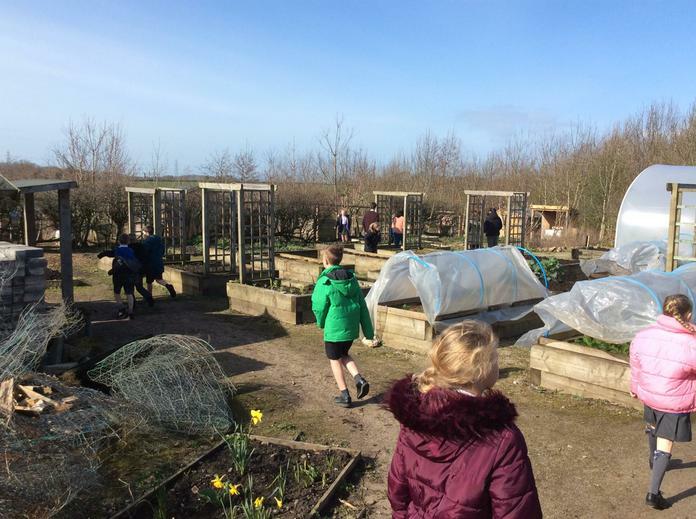 This will be shown on the evenings of Tuesday 2nd April and Wednesday 3rd April 2019. 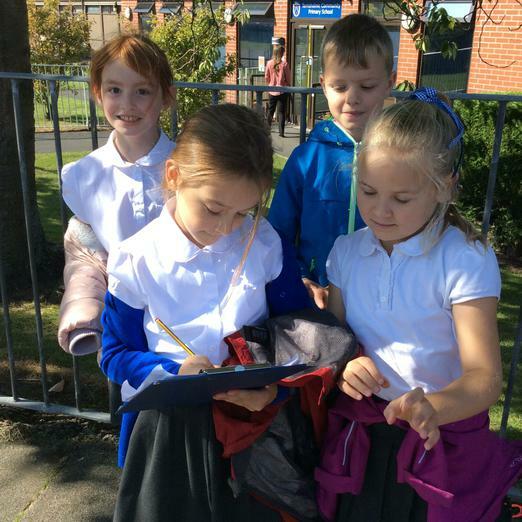 A letter has gone out regarding ticket allocation and times. 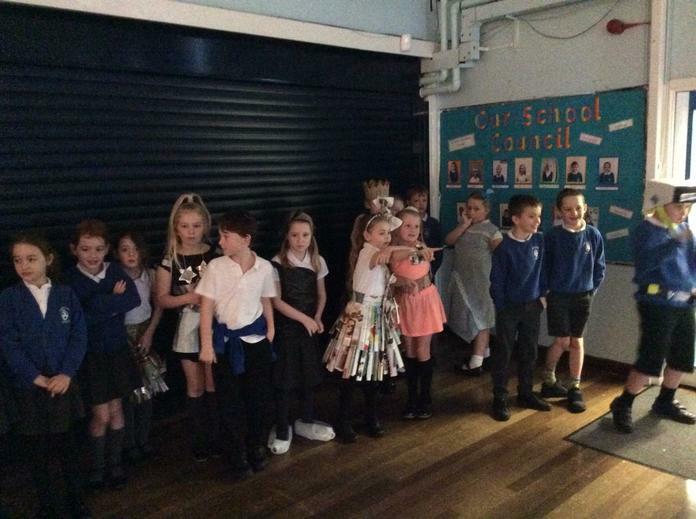 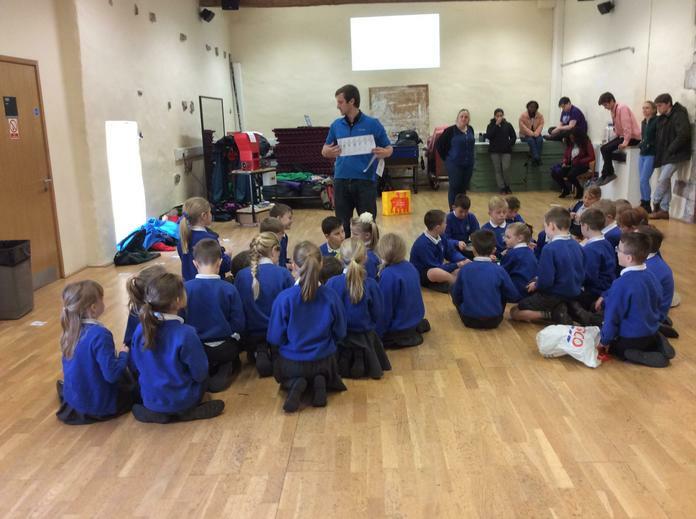 Well done to all children who have been learning their lines. 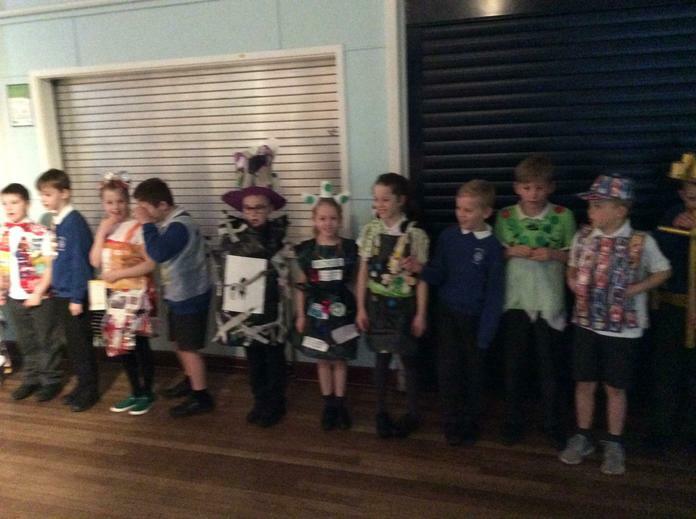 Please find below the costume list. 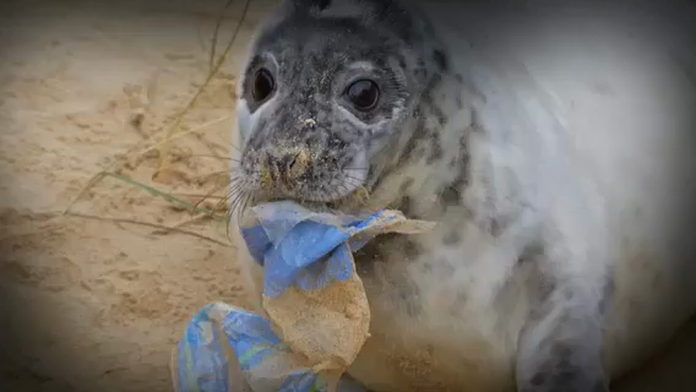 Have you been wondering why we wanted you to help us collect so many bottle tops? 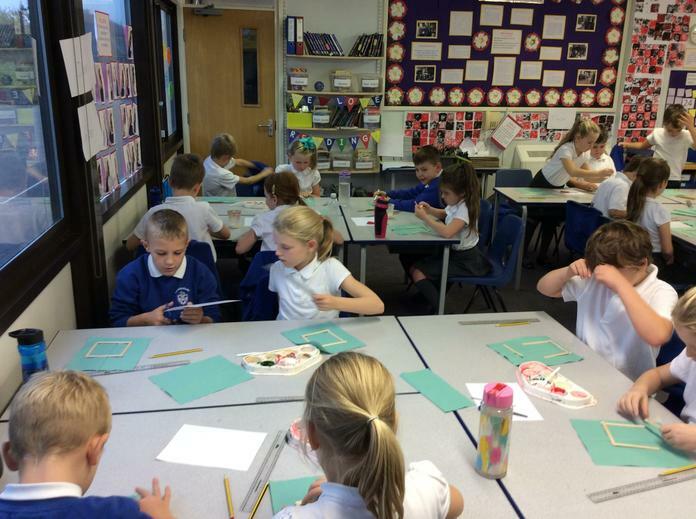 Well look at the fabulous mosaic mural Years 3&4 have created today. 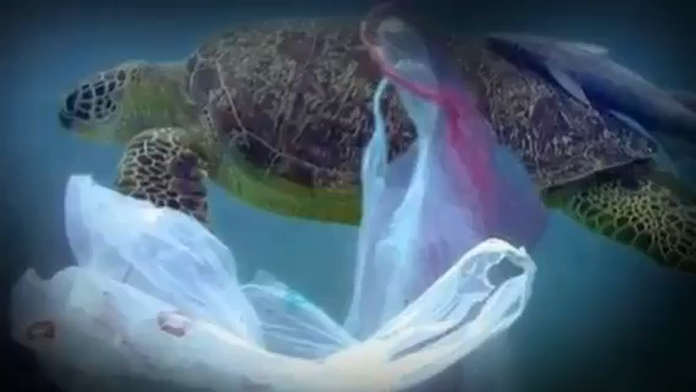 Plastic fantastic! 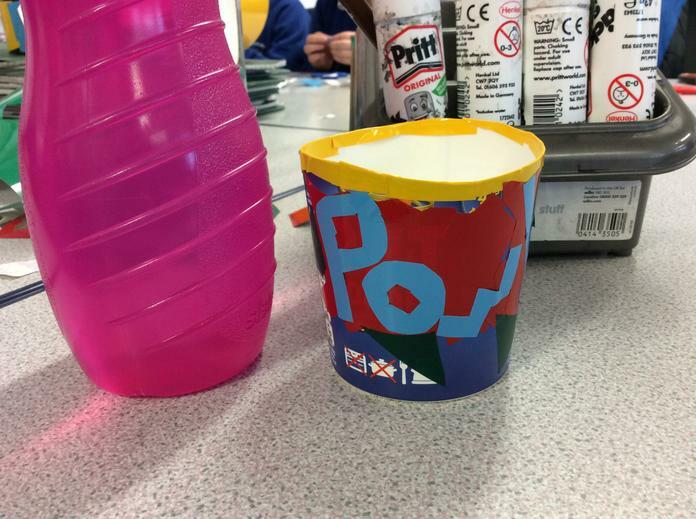 We took a simple 2-litre milk container and thought about a variety of ways that we could change its use. 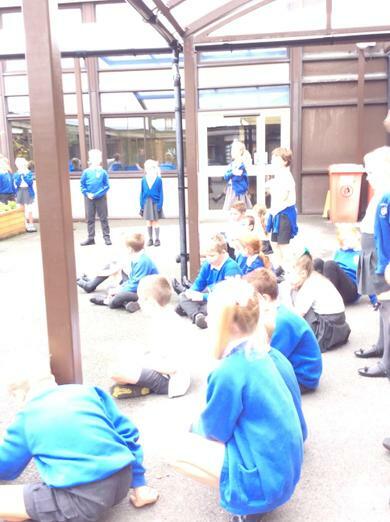 We came up with ideas ranging from bird feeders to ornaments. 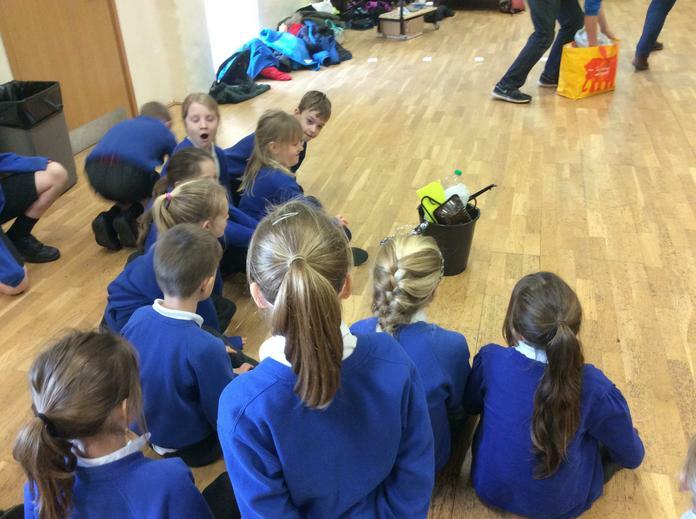 We looked at some clean recycled rubbish and sorted this. 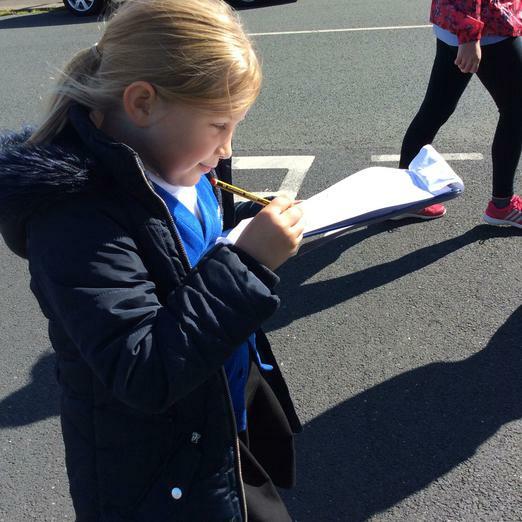 We chose ways to present our findings. 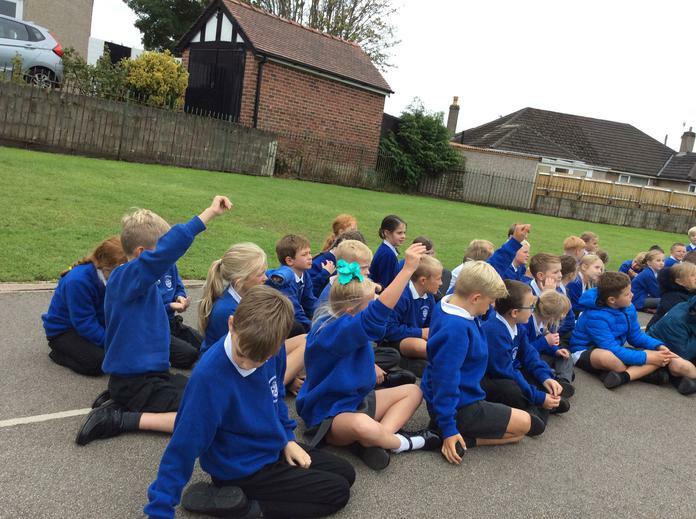 The children looked great with the theme of 'Wear something red' in order to raise money for this charity. 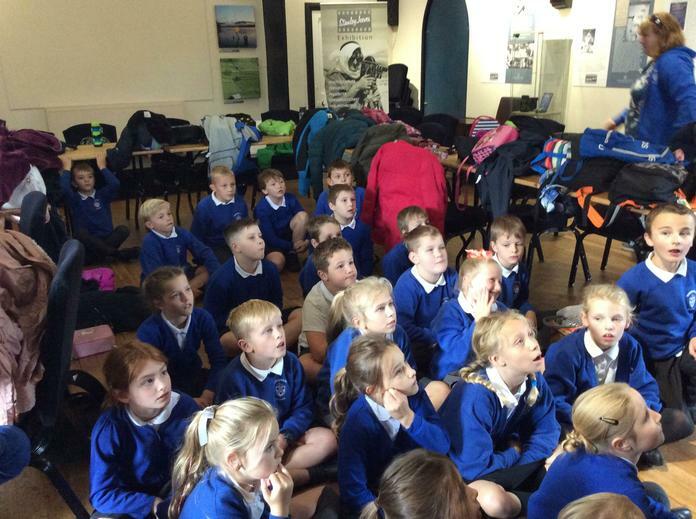 Year 4 went to Salford Quays to watch a brilliant performance by the BBC Philharmonic Orchestra. 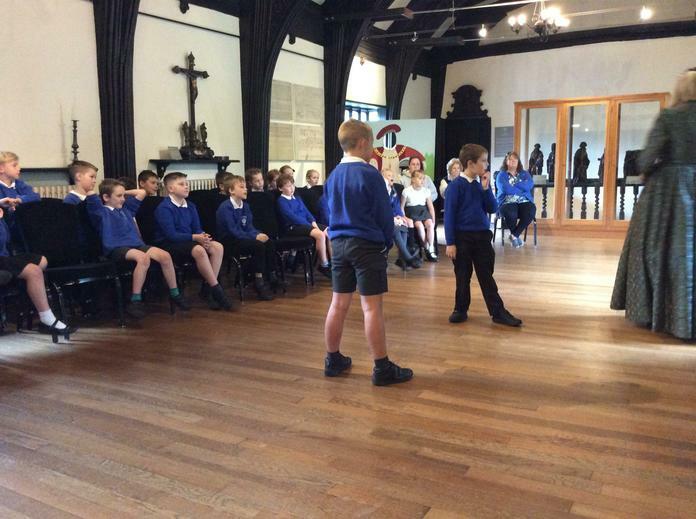 We also went across to the Lowry Centre to look at the work of this artist. 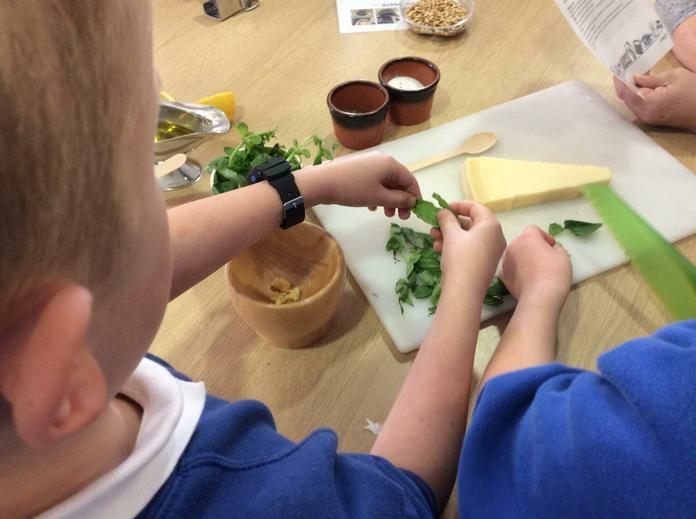 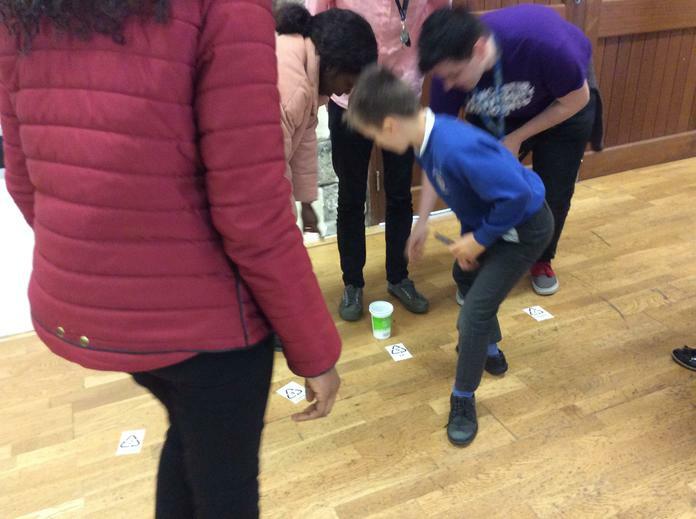 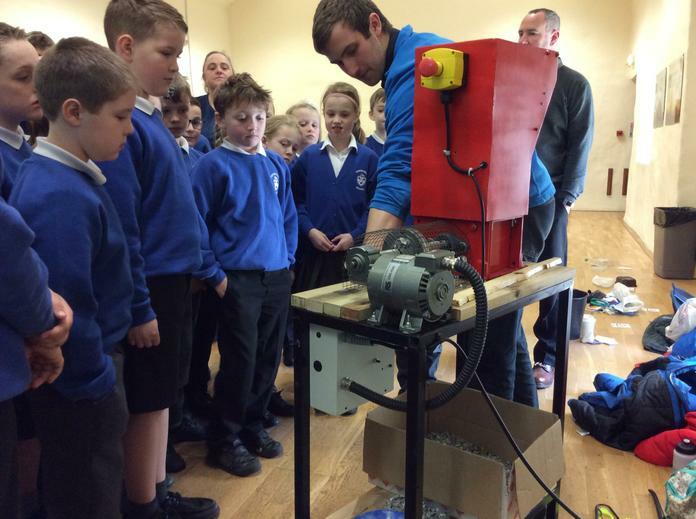 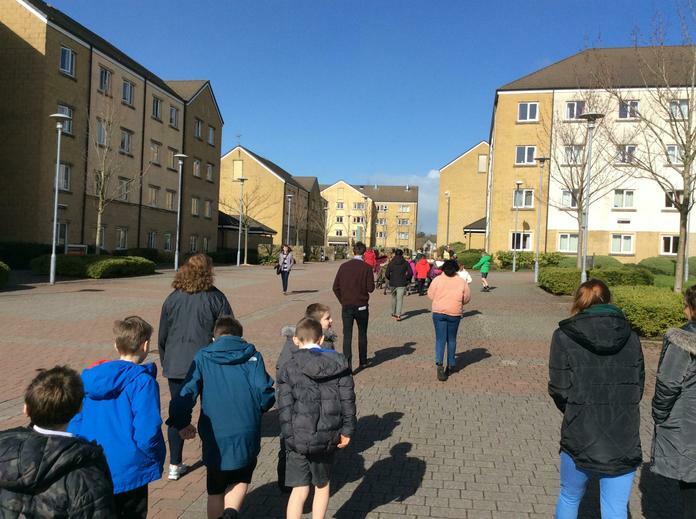 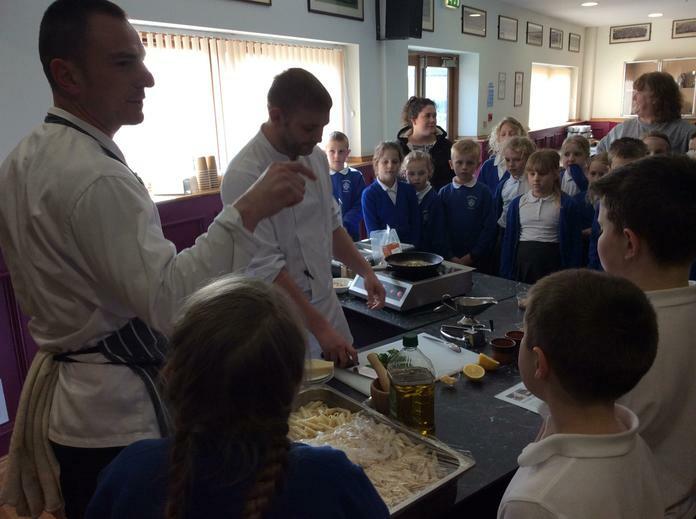 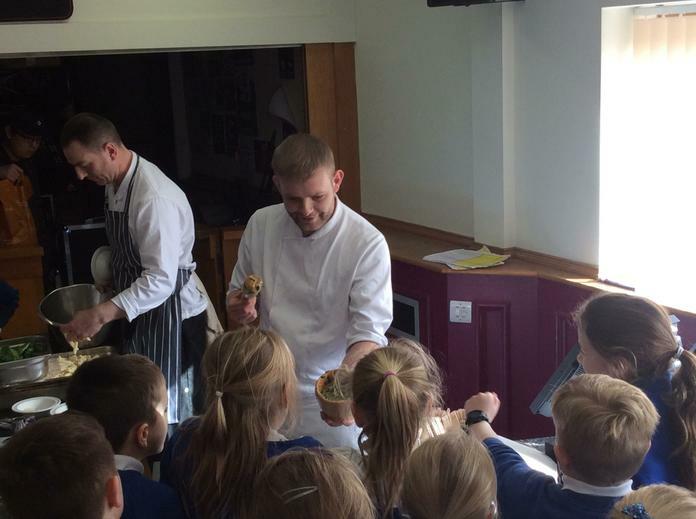 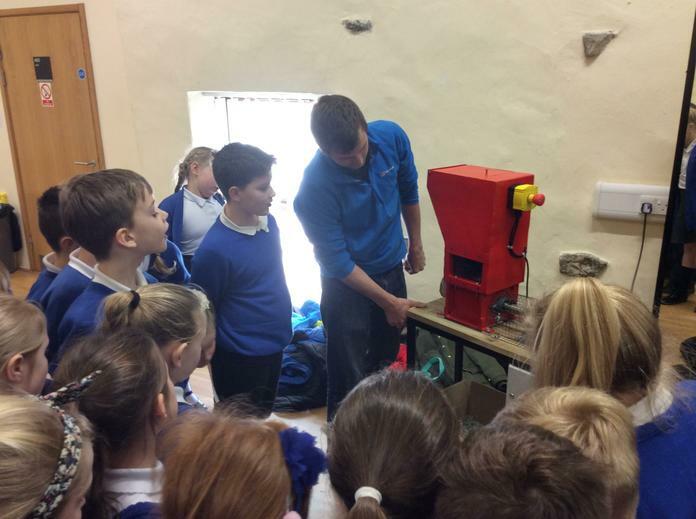 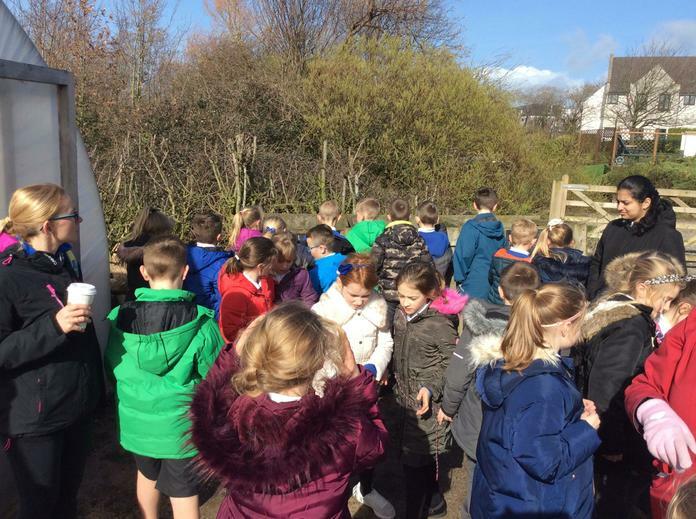 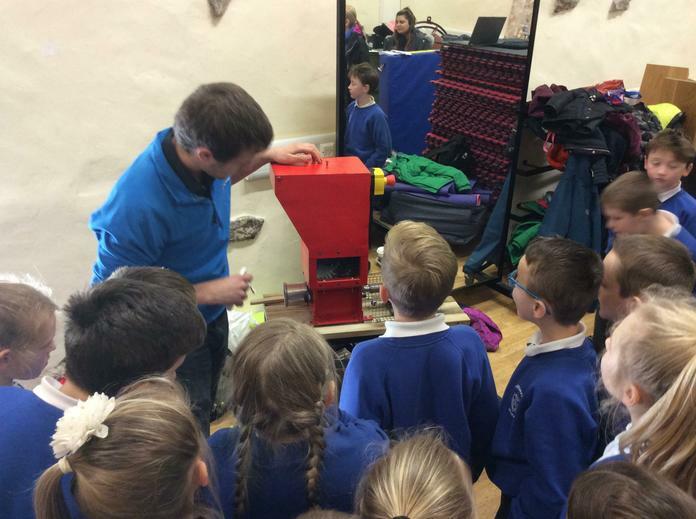 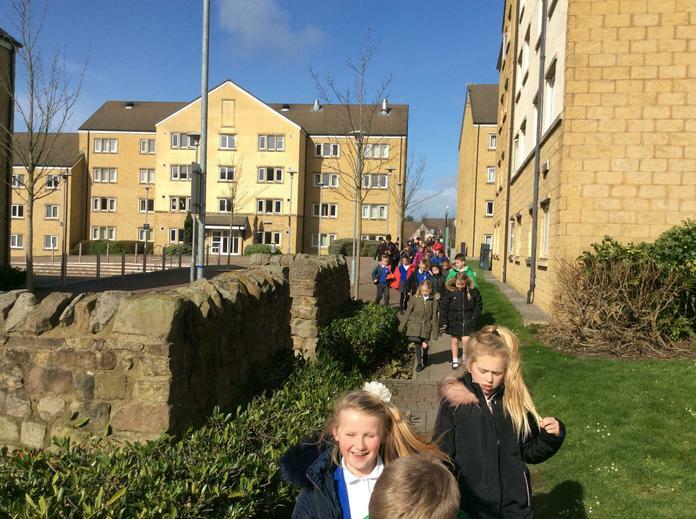 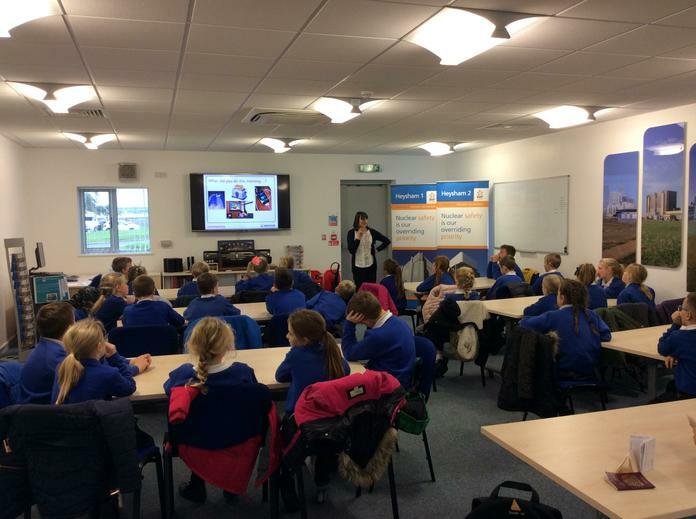 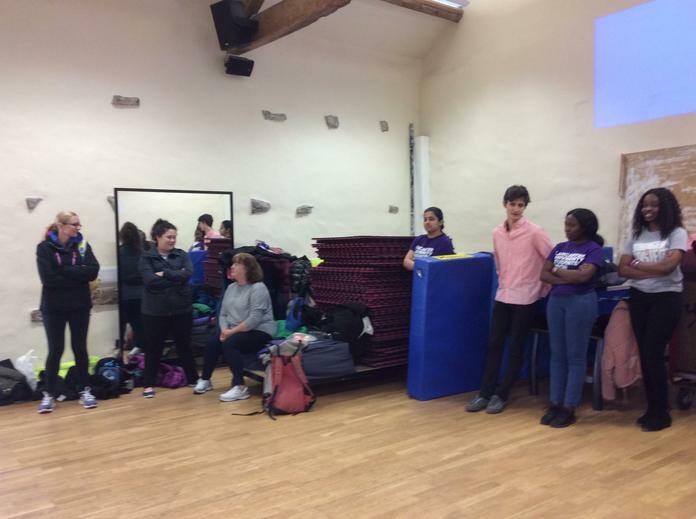 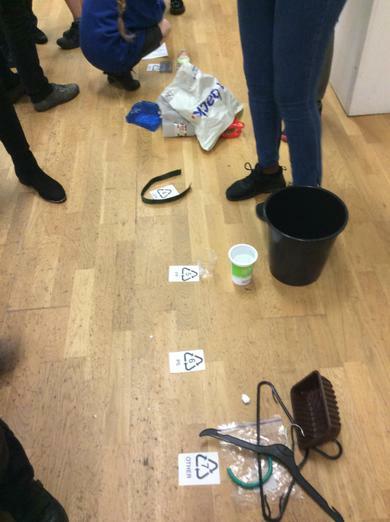 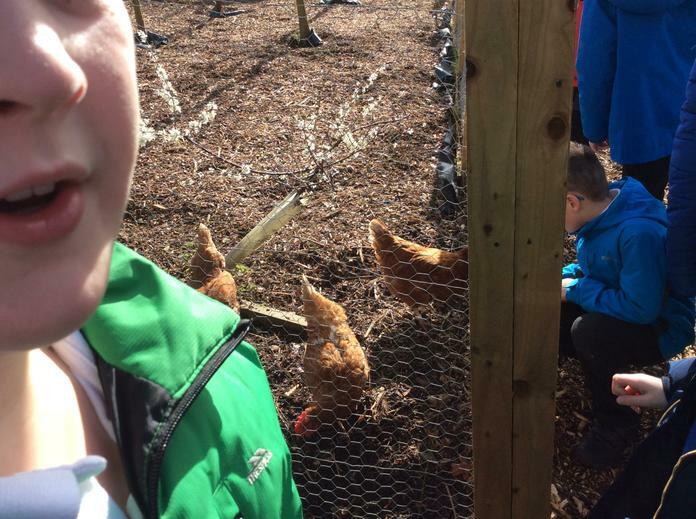 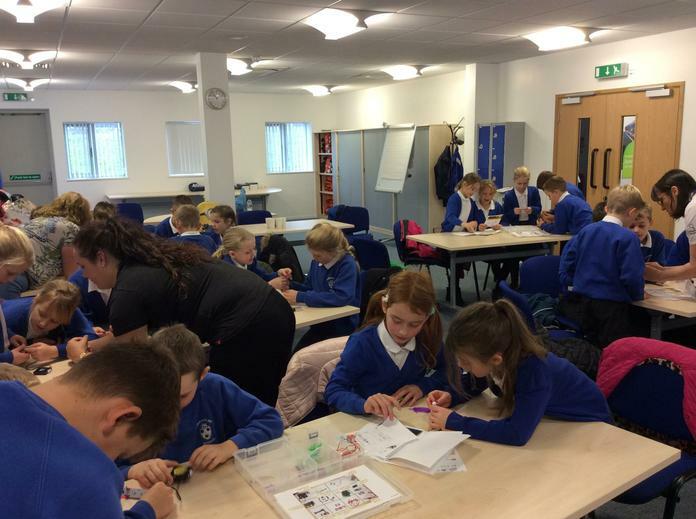 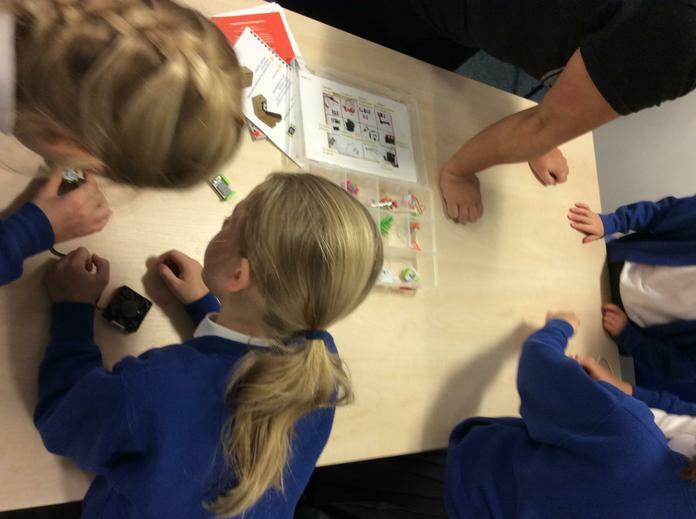 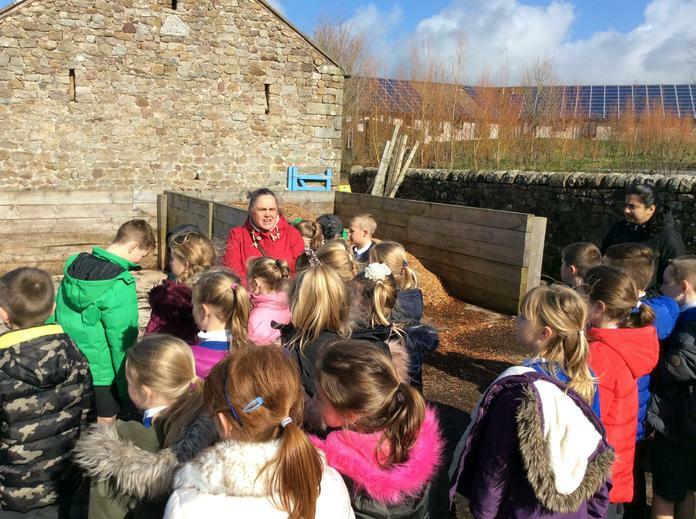 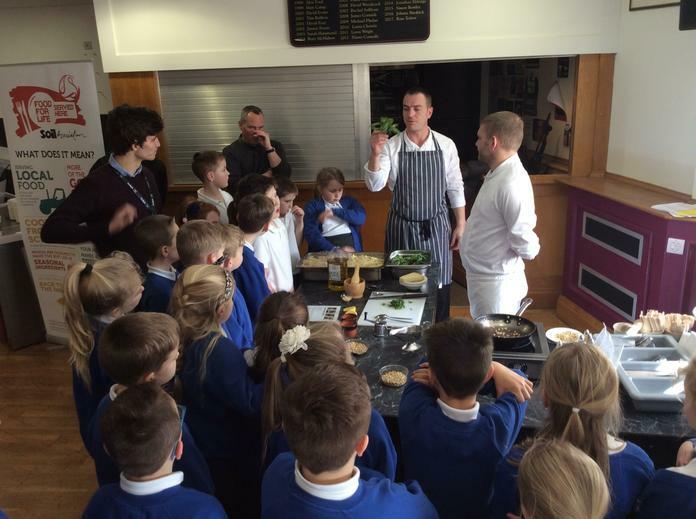 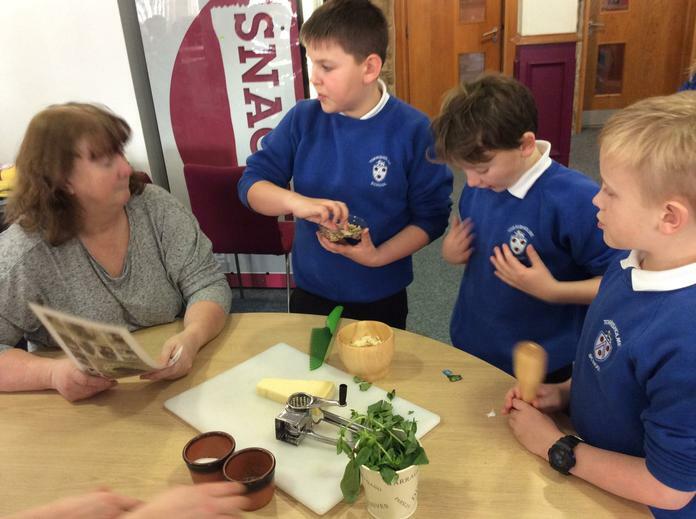 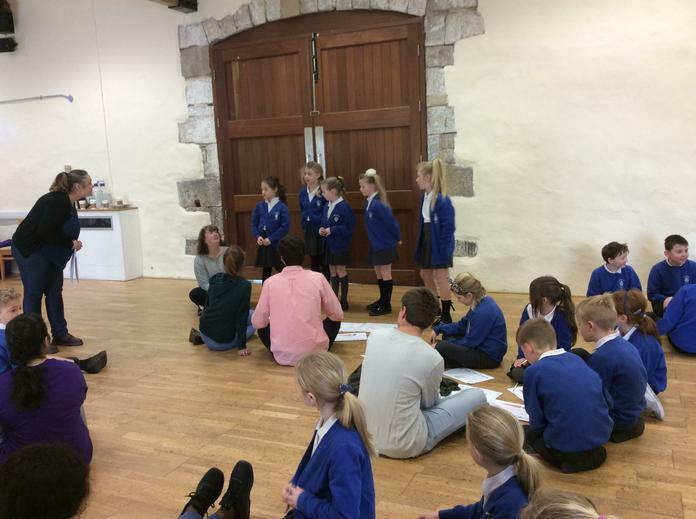 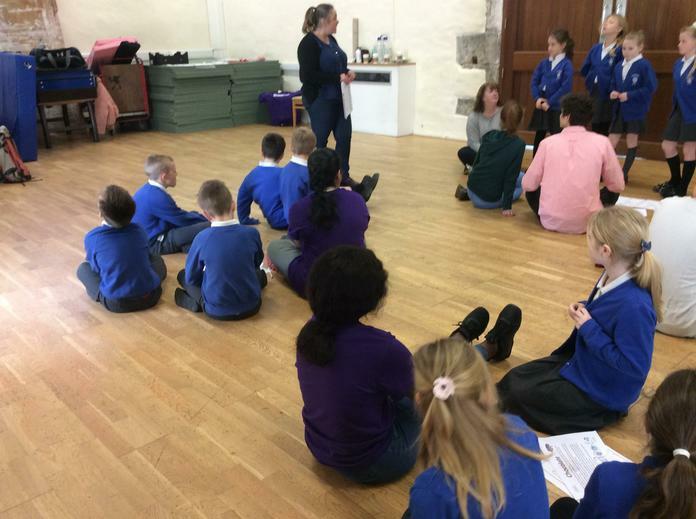 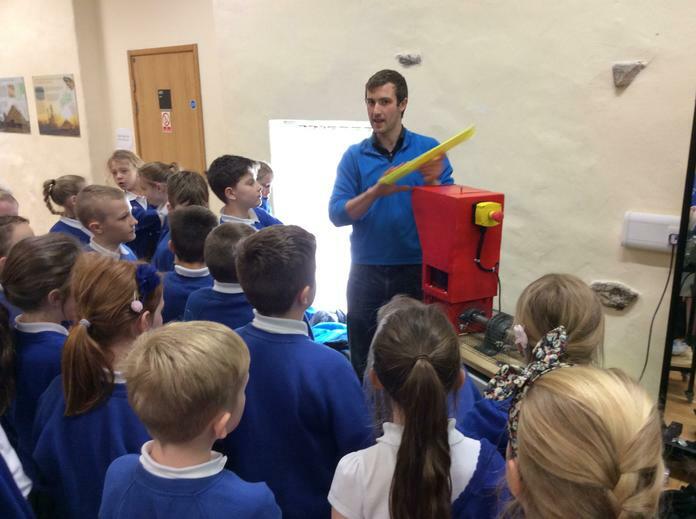 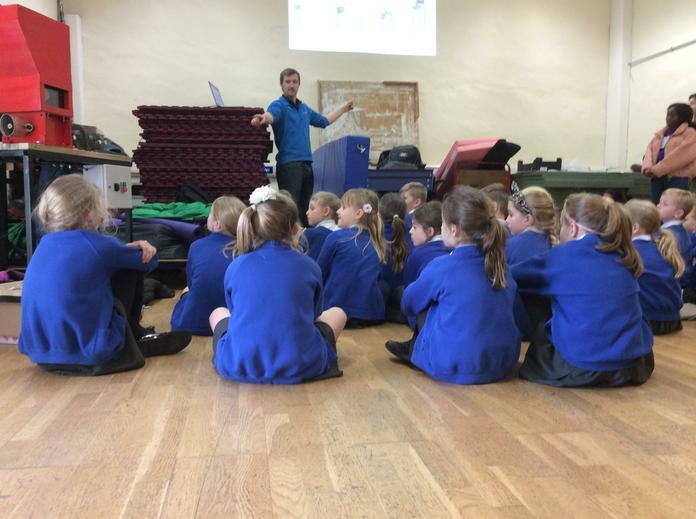 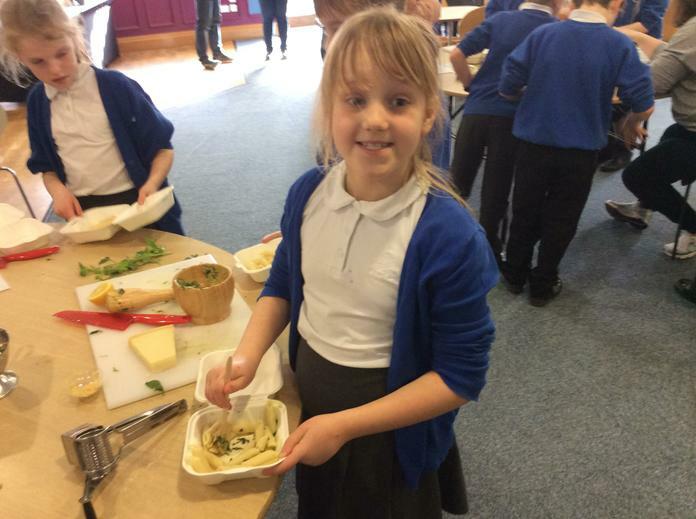 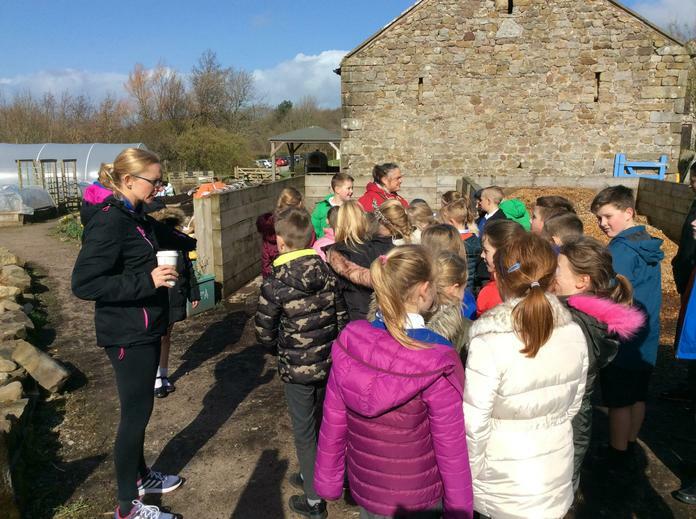 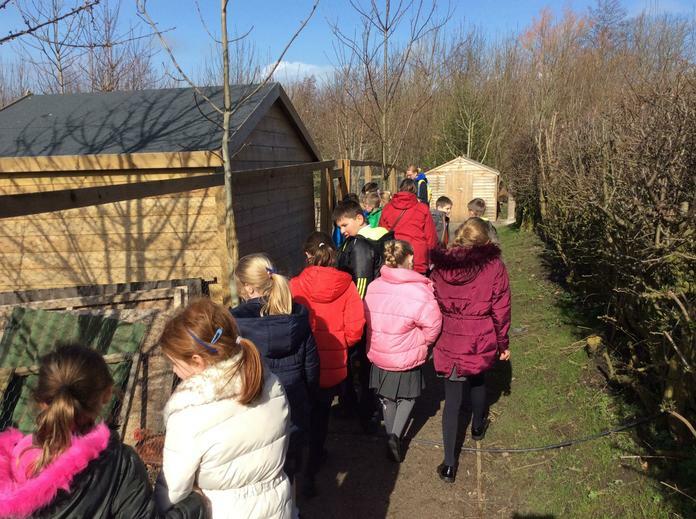 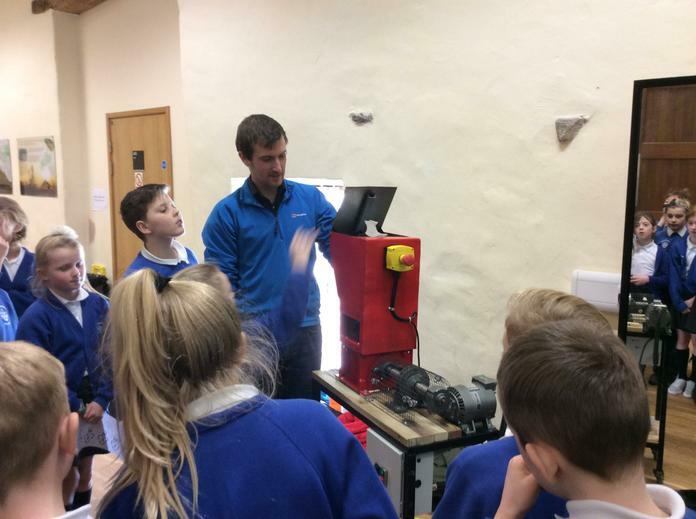 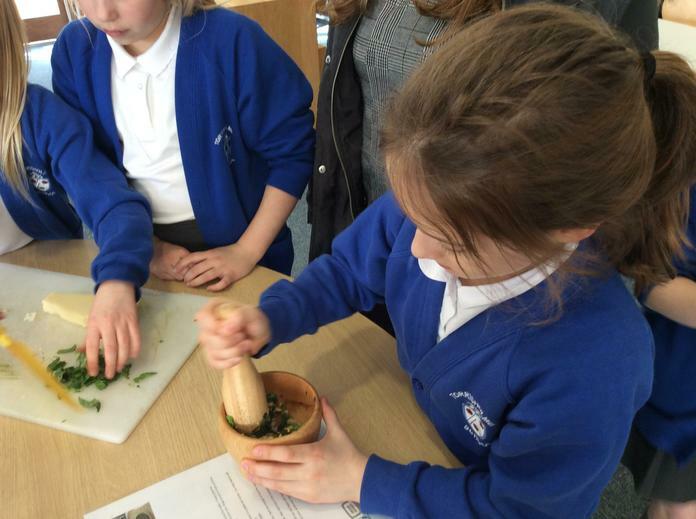 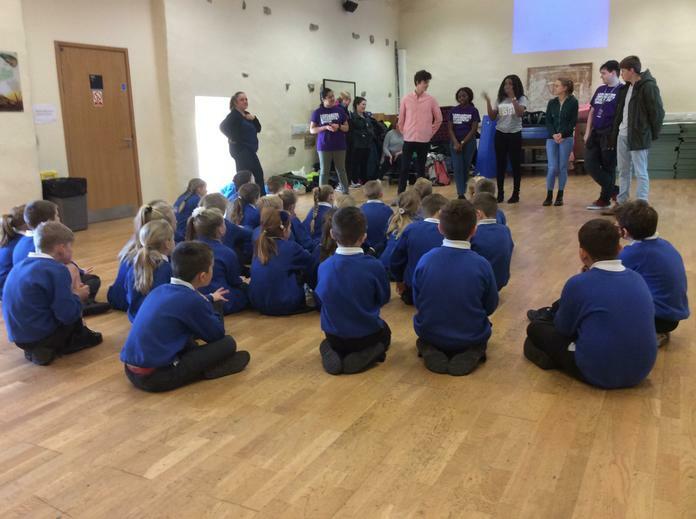 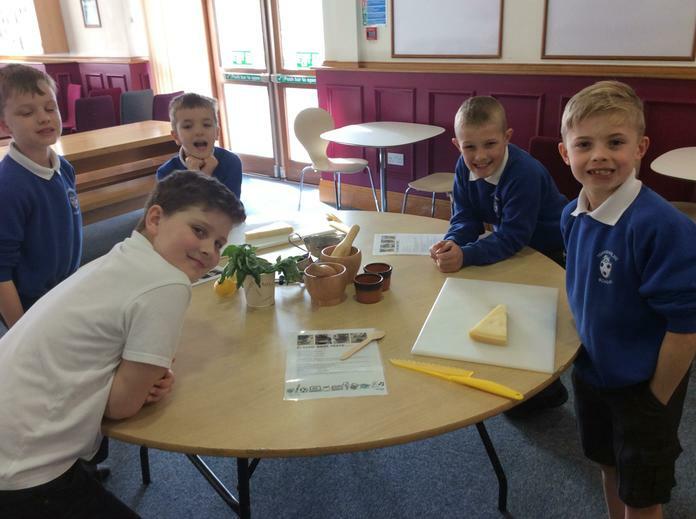 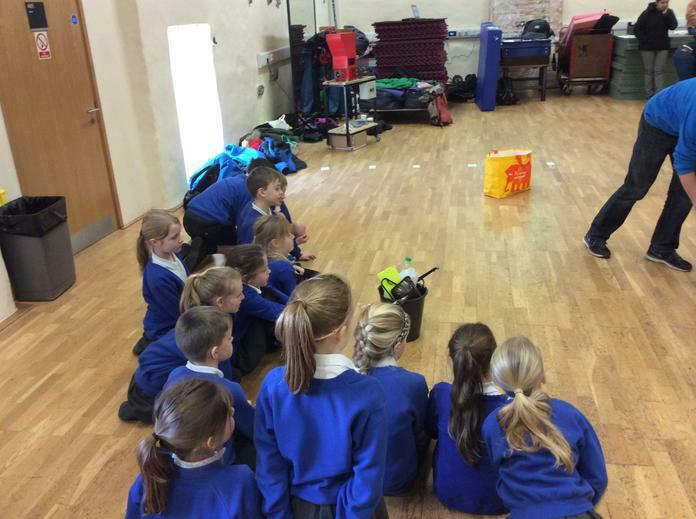 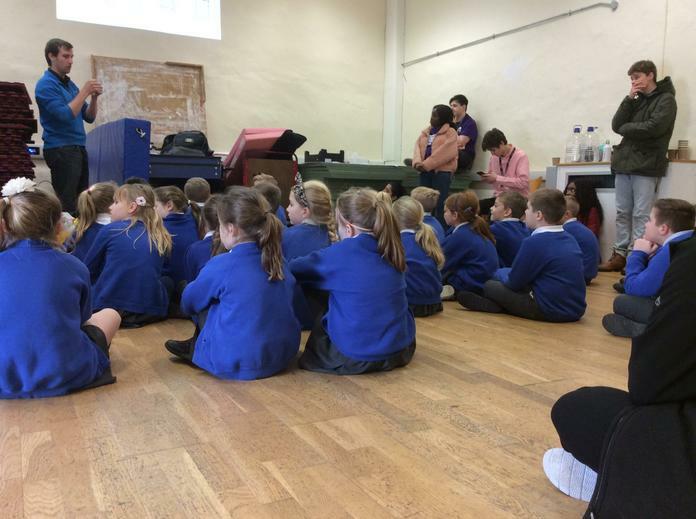 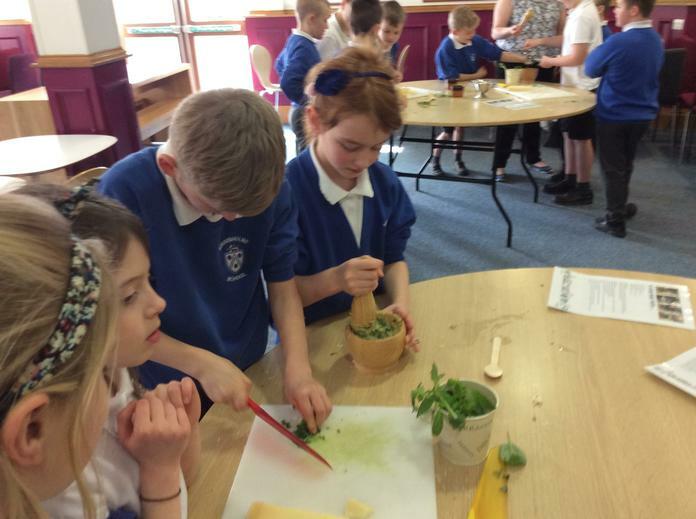 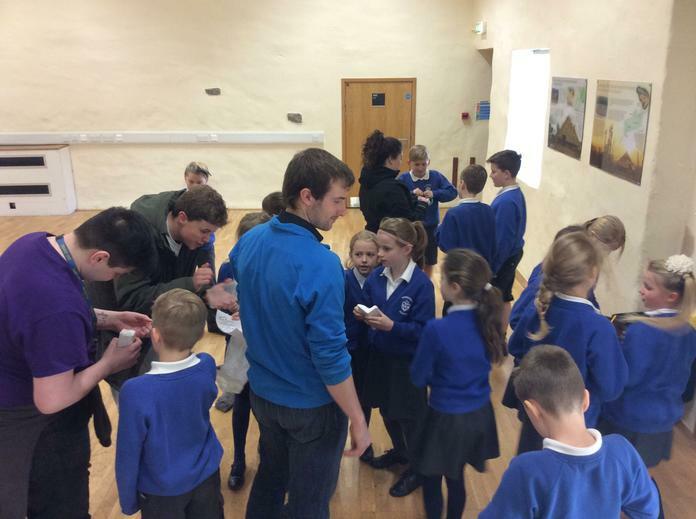 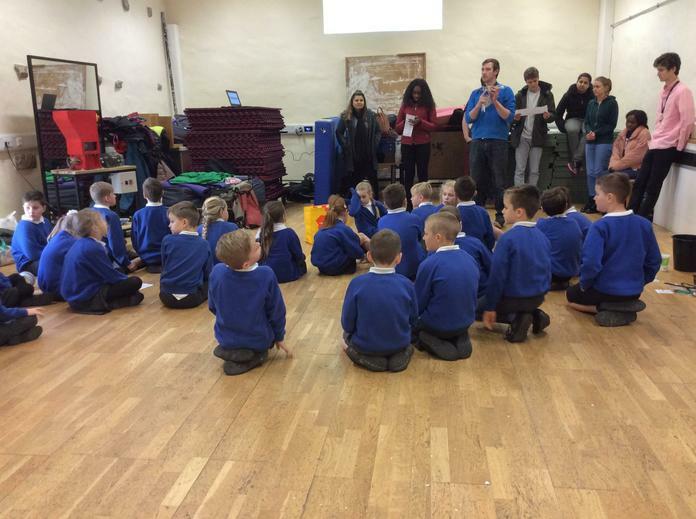 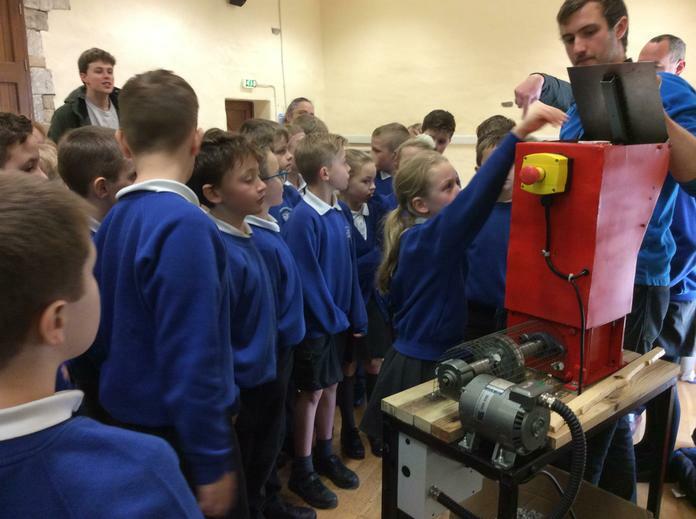 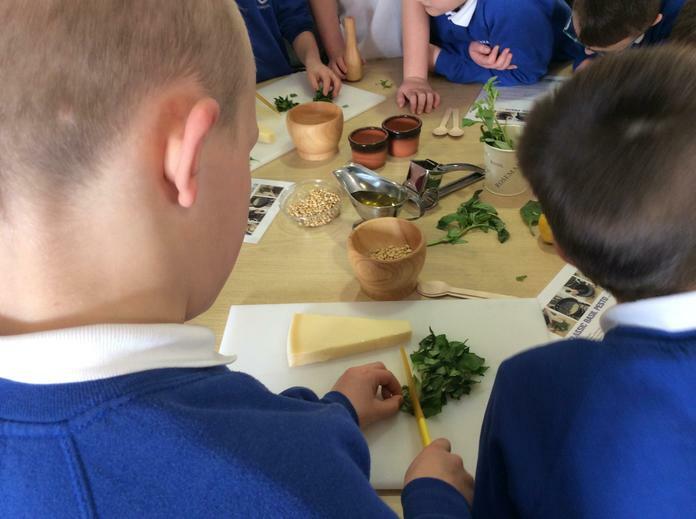 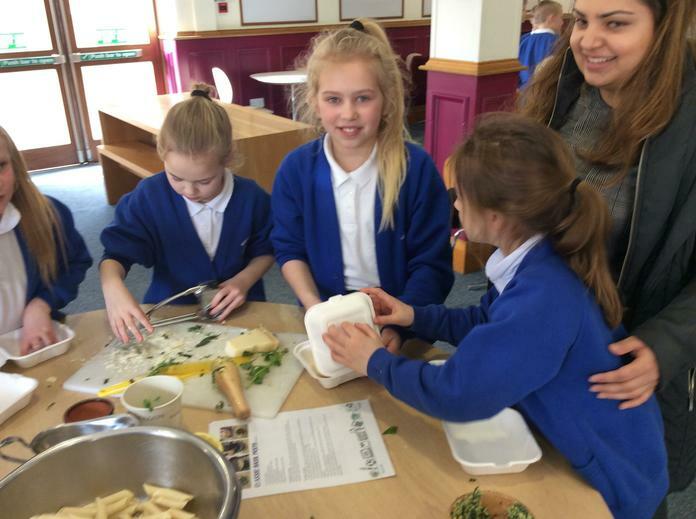 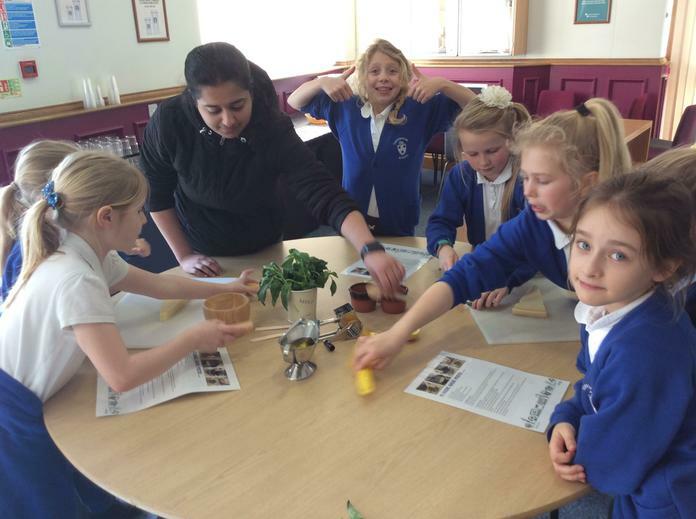 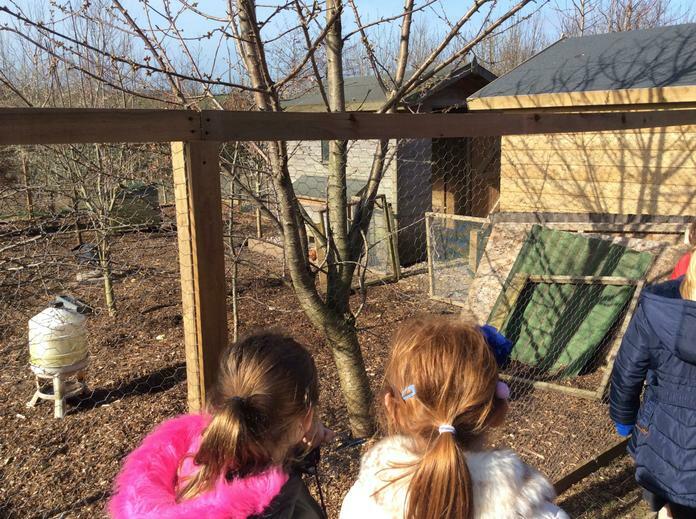 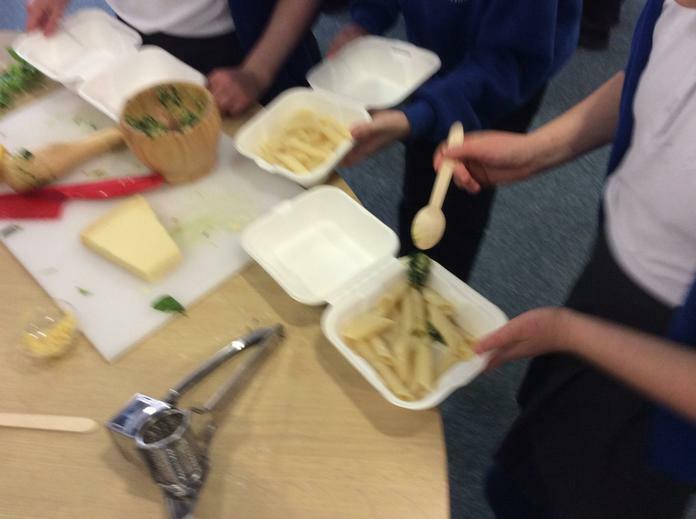 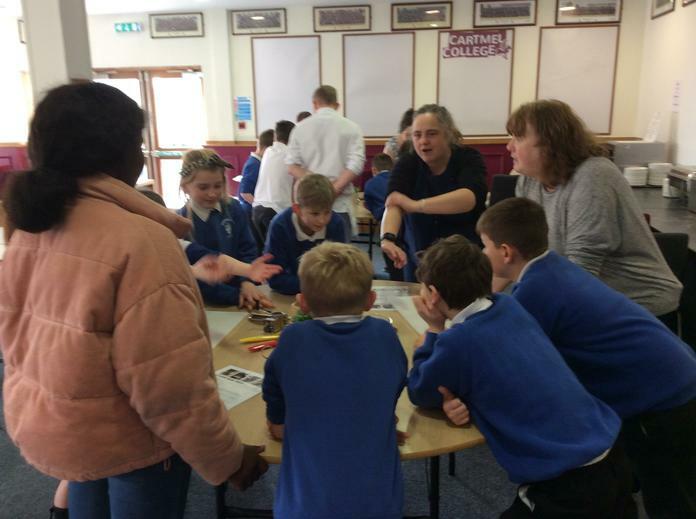 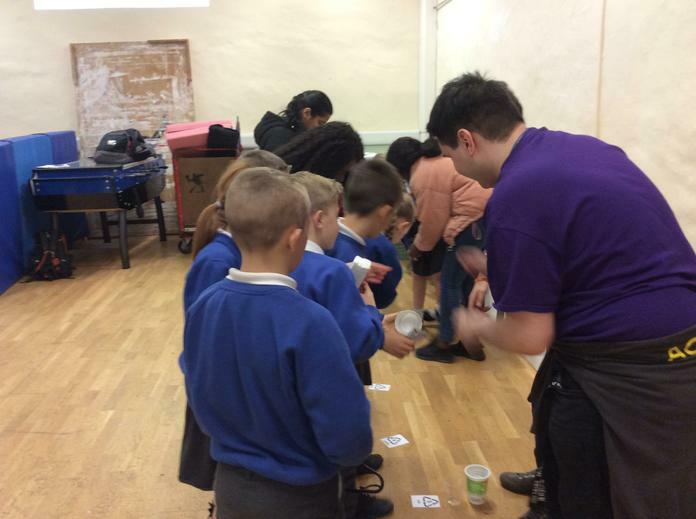 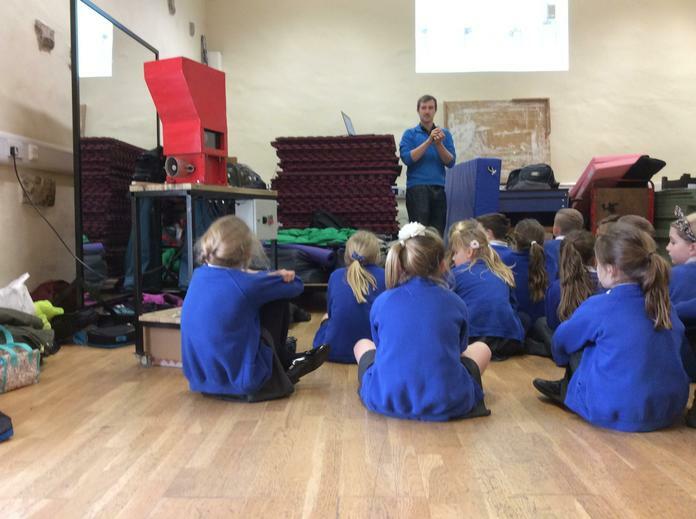 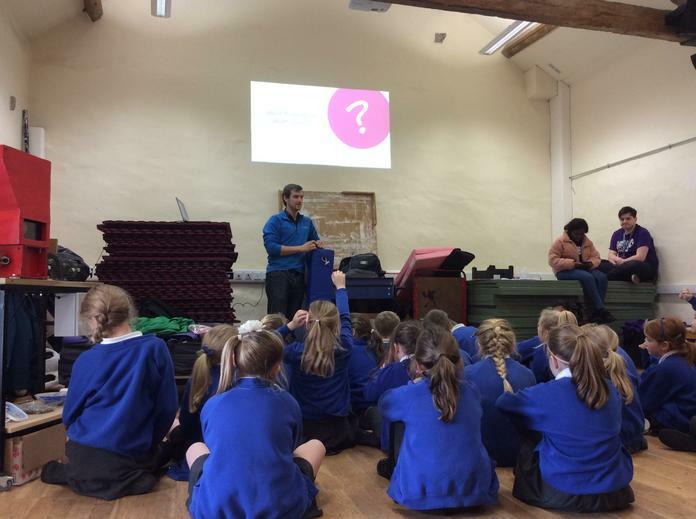 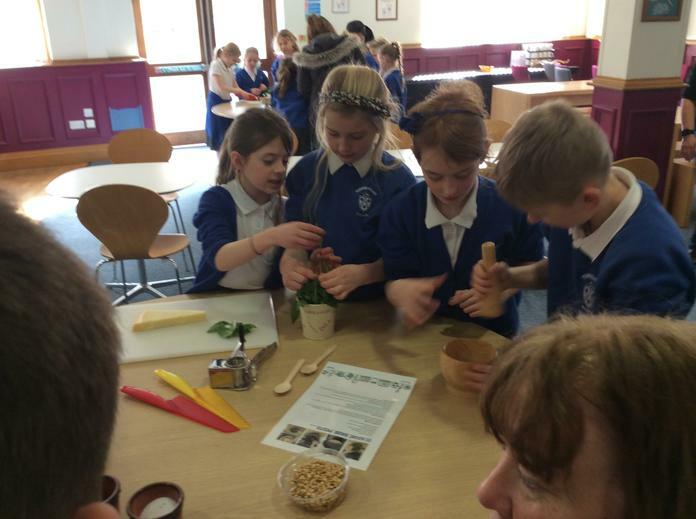 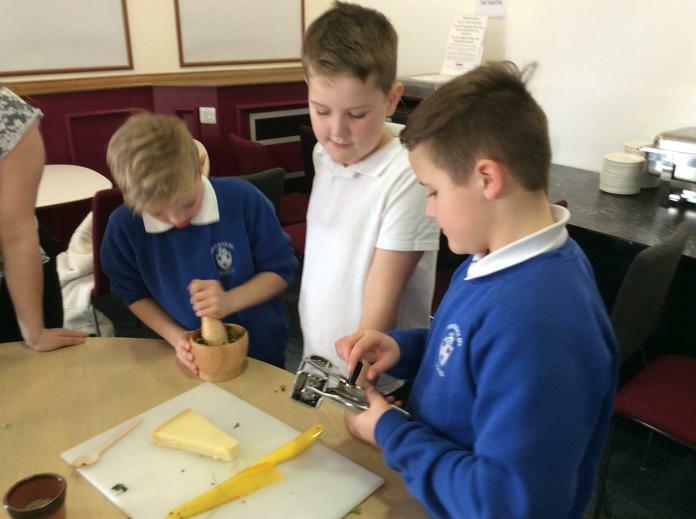 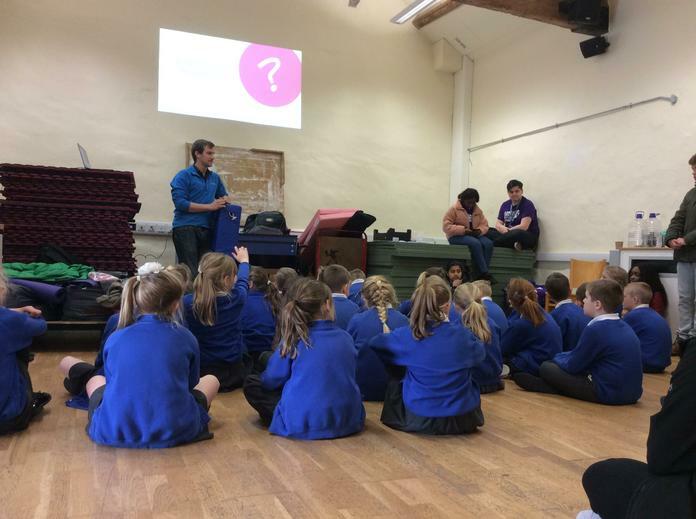 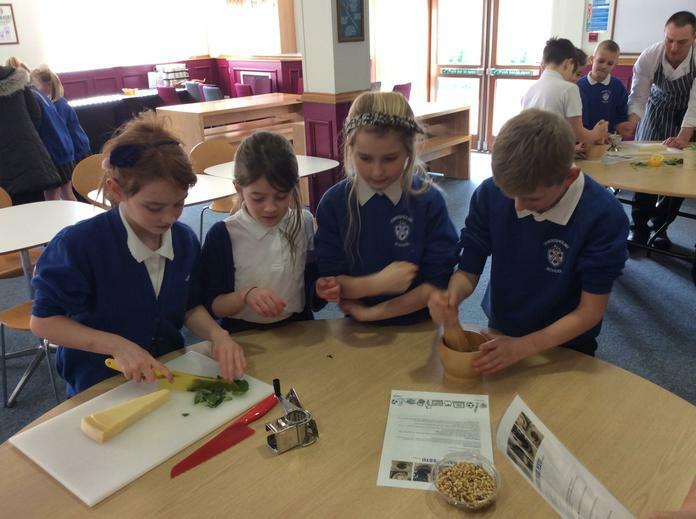 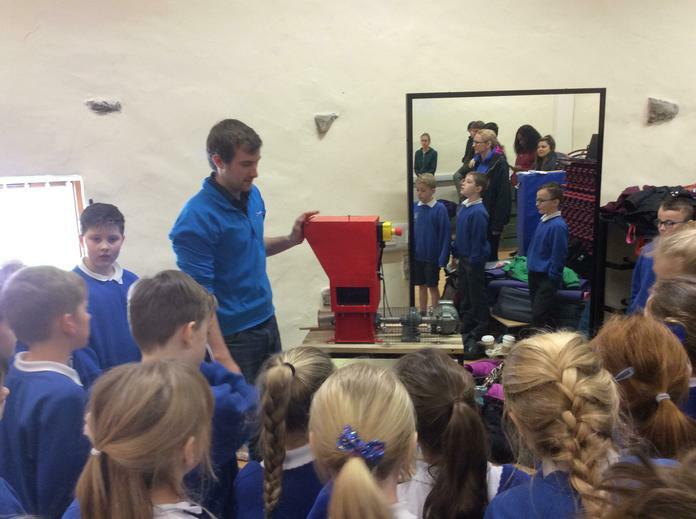 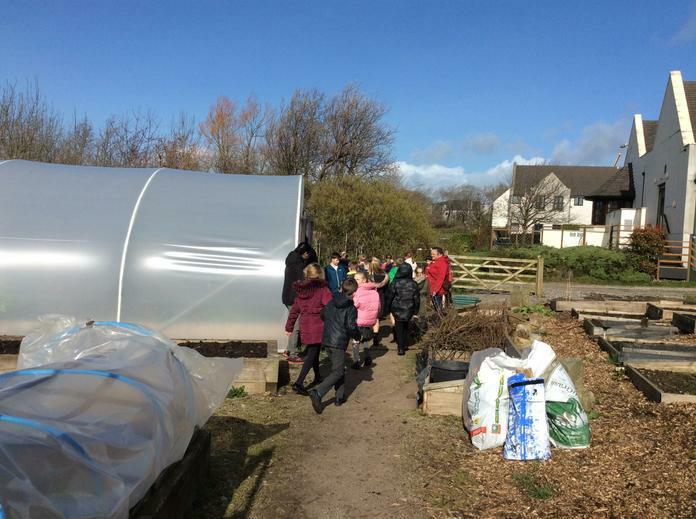 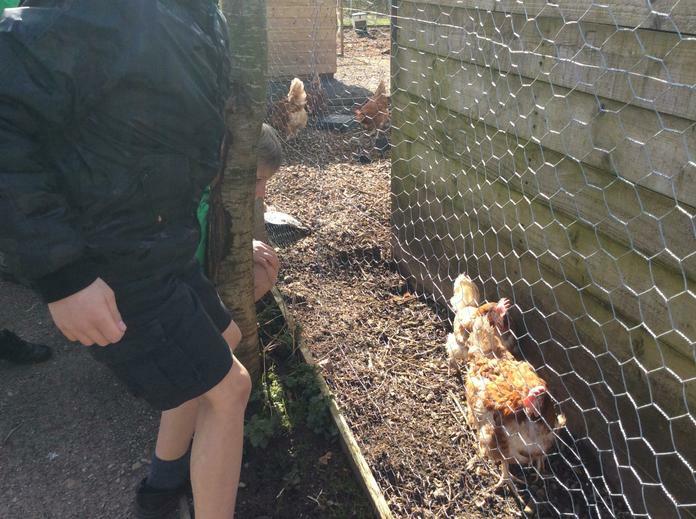 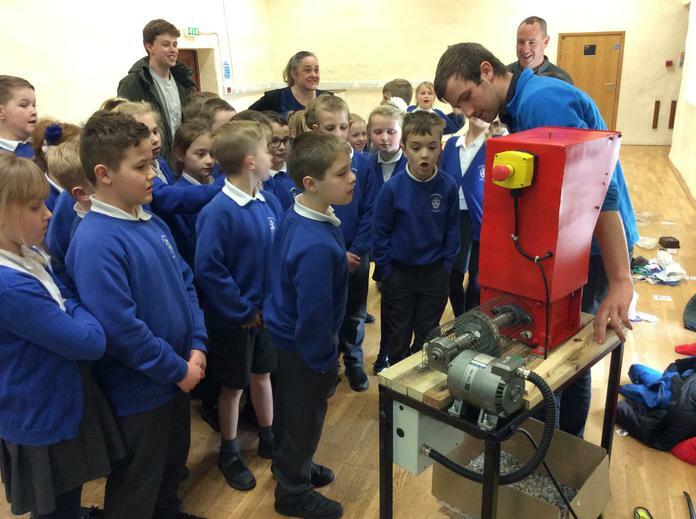 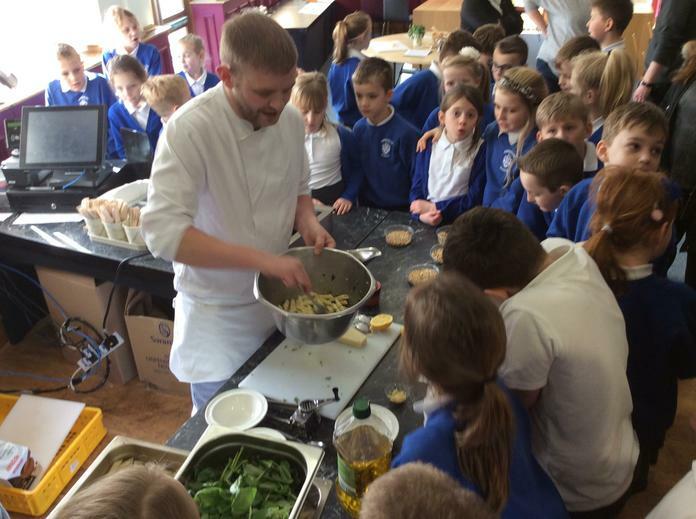 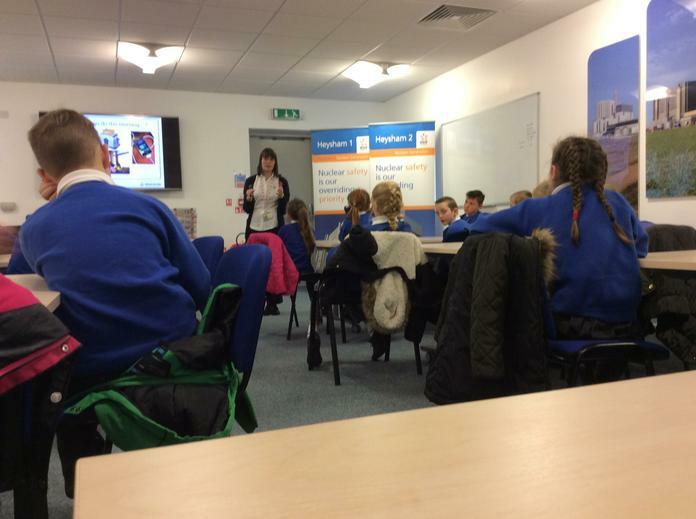 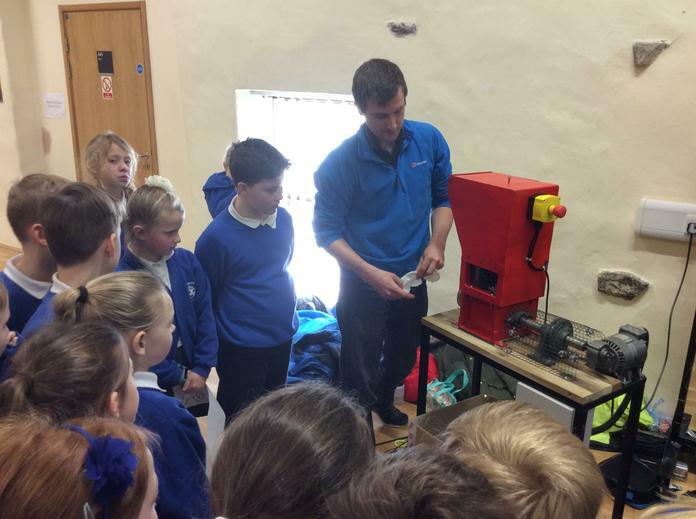 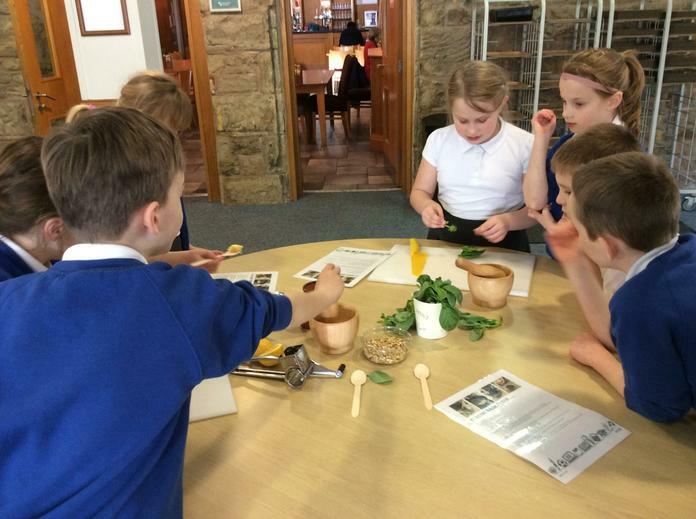 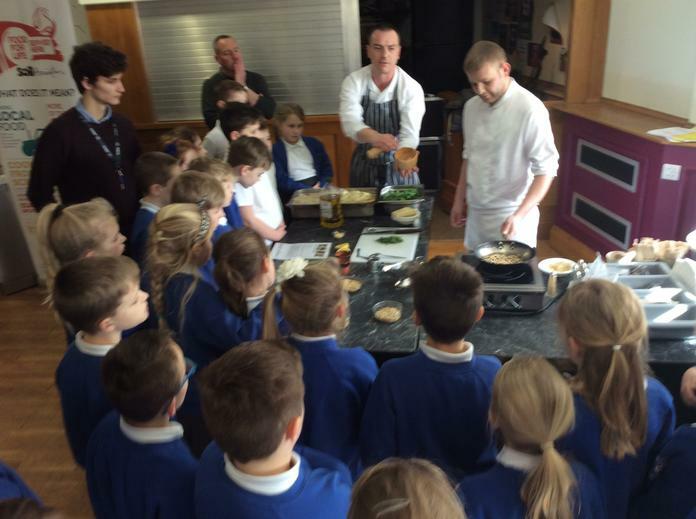 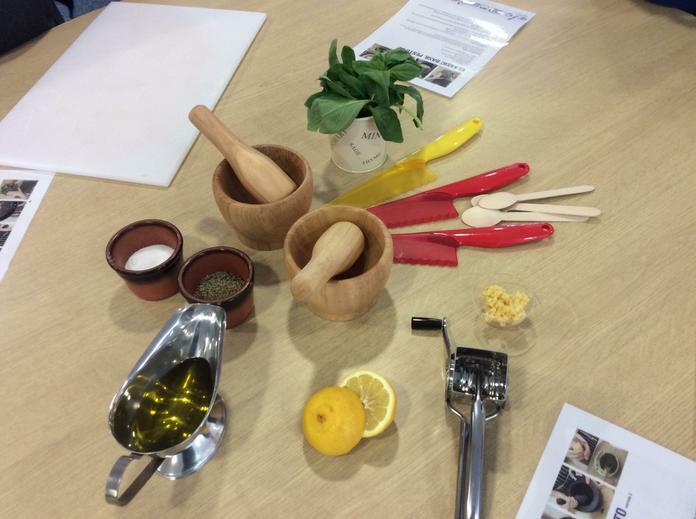 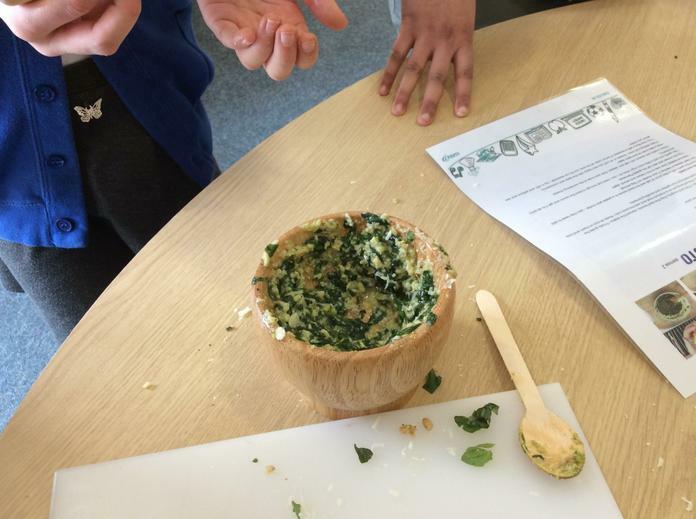 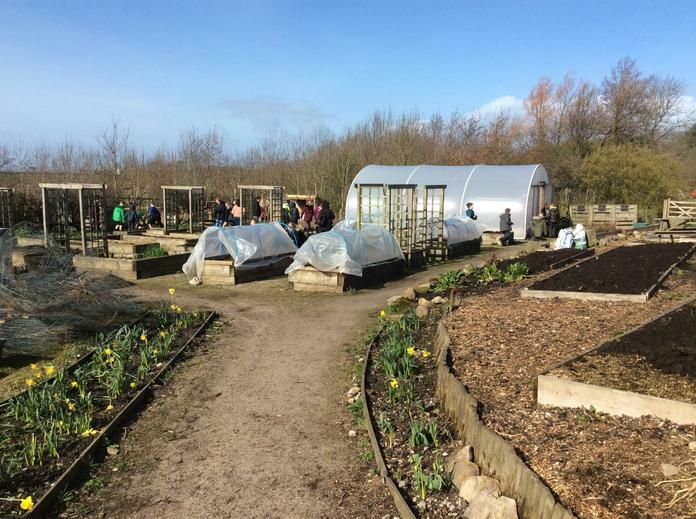 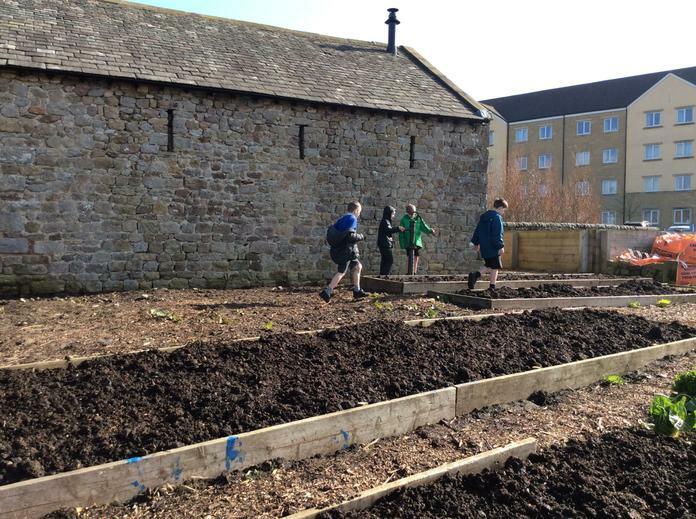 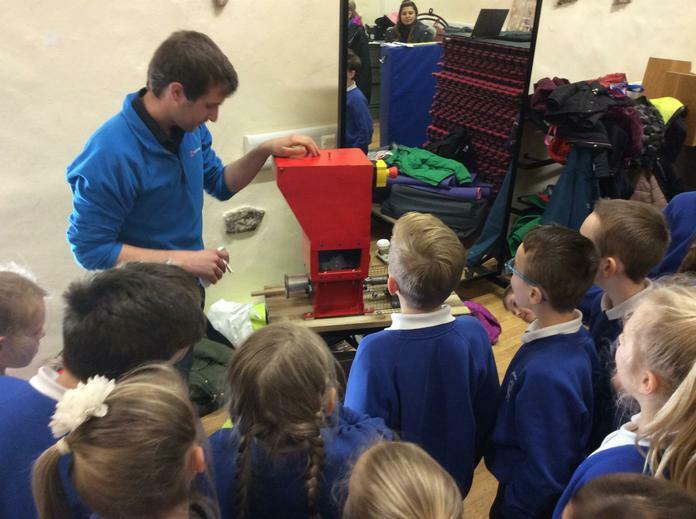 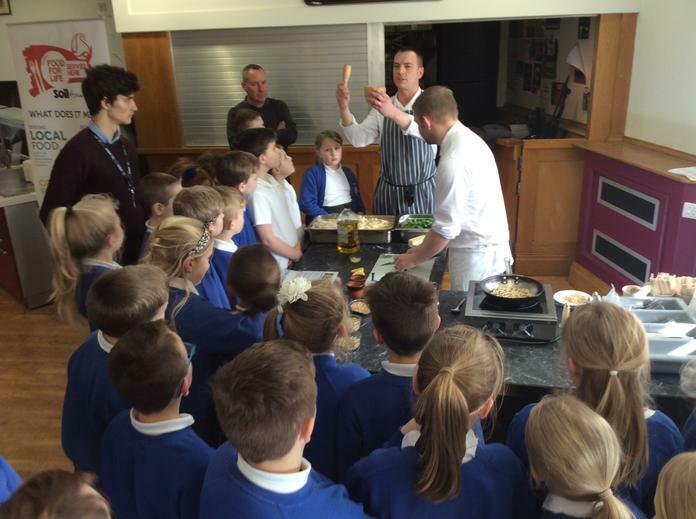 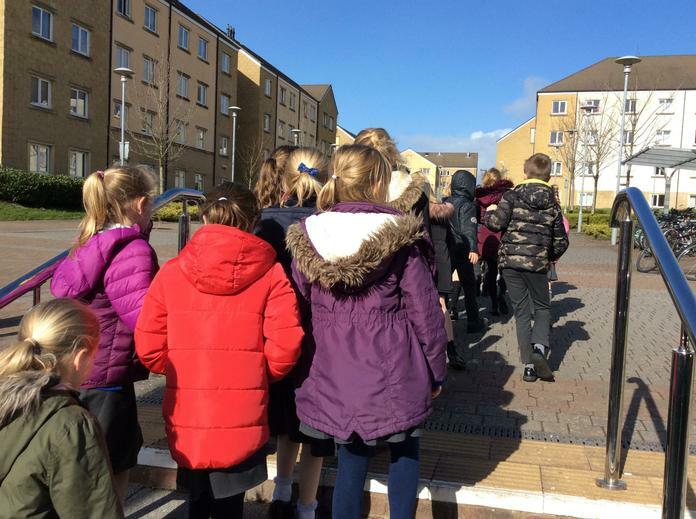 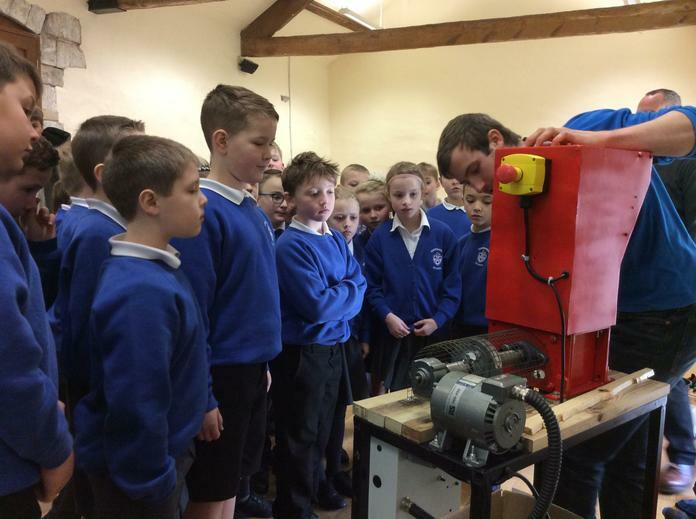 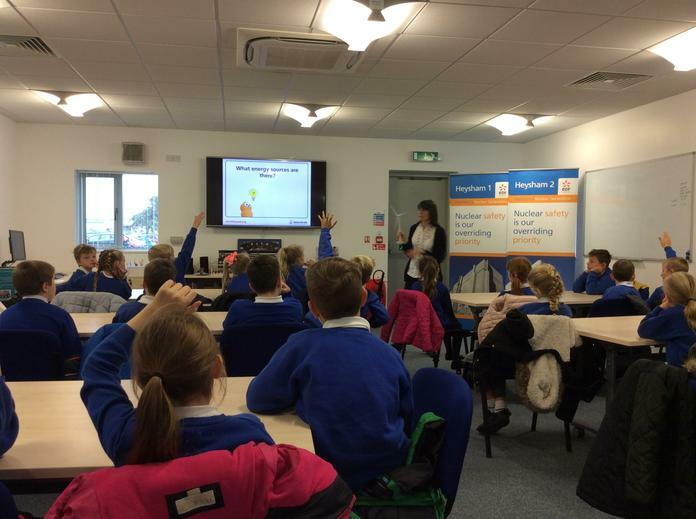 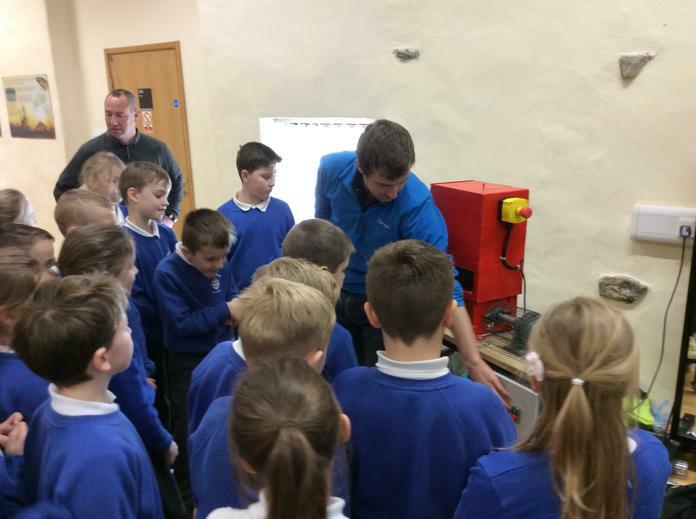 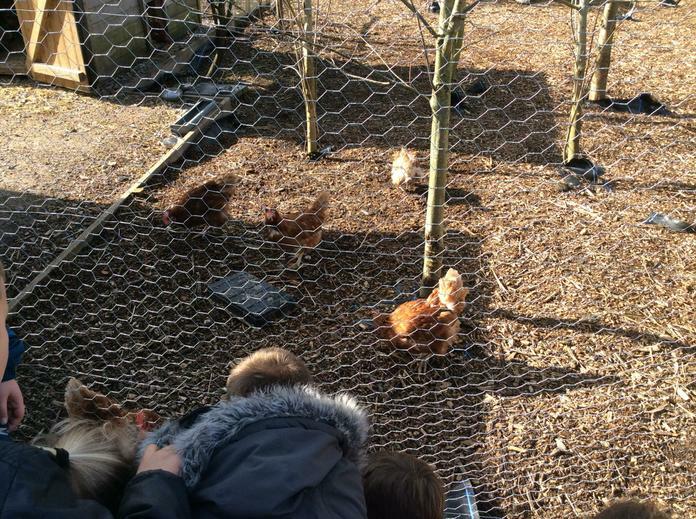 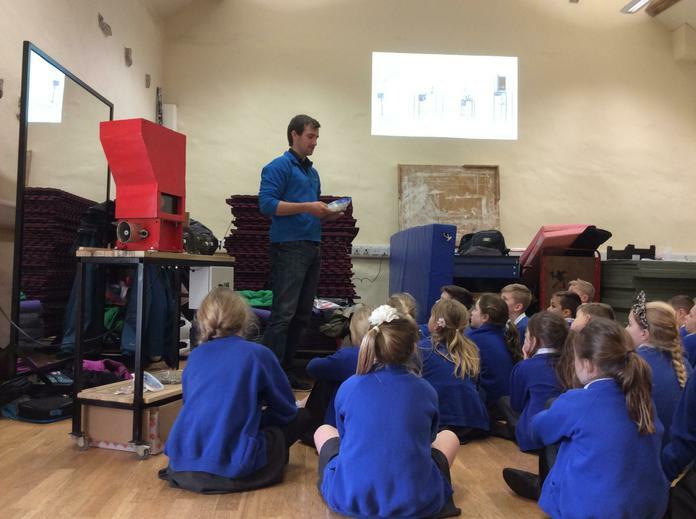 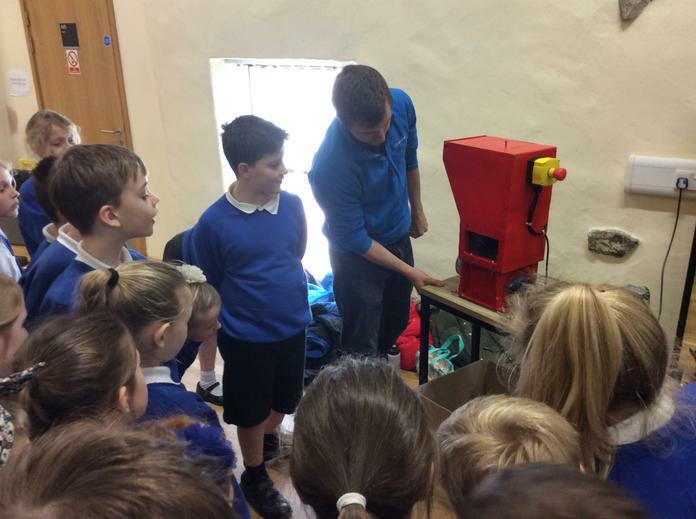 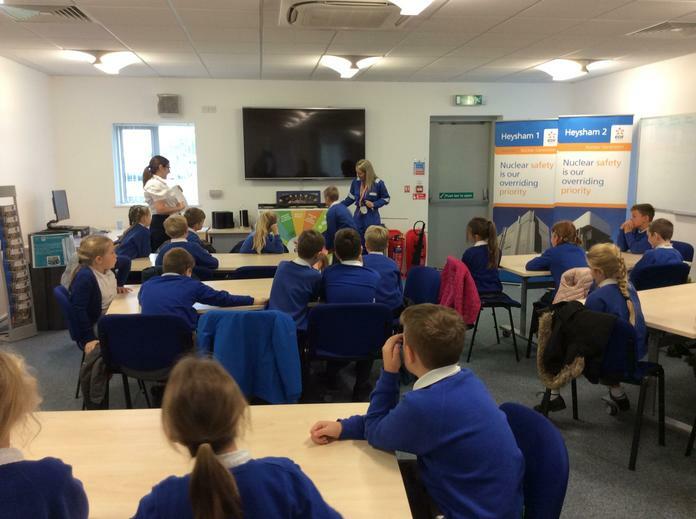 On Monday 11th March 2019, 4H went to Lancaster University to undertake a number of activities to increase their understanding of recycling, where our food comes from and how our food travels to our plate. 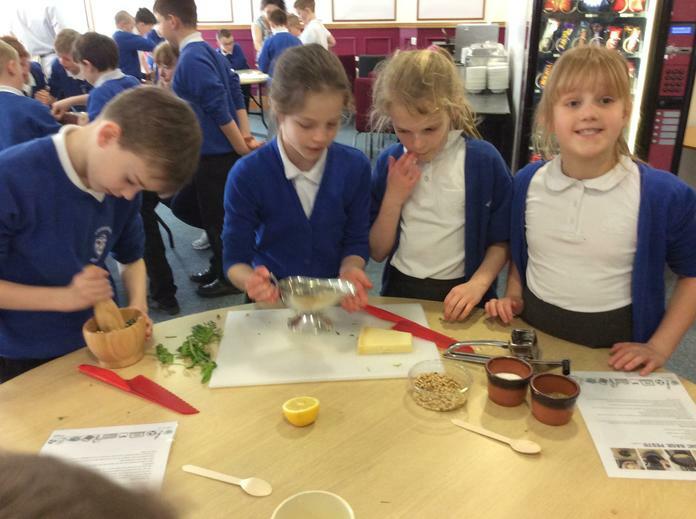 We also had the opportunity to prepare some food by ourselves. 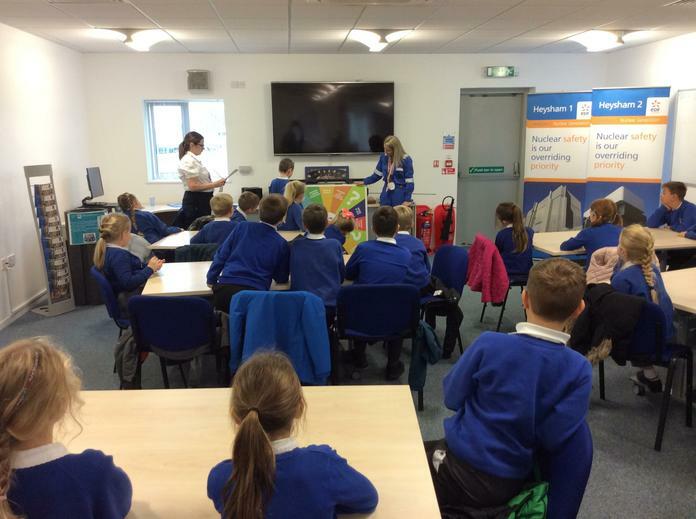 As part of World Book Day, we shared books with some of the Year 6's. 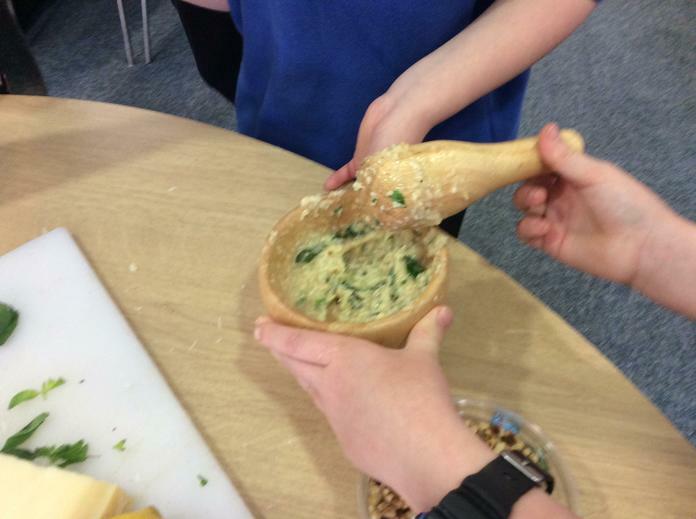 We had great fun making these rolls with our parents and carers. 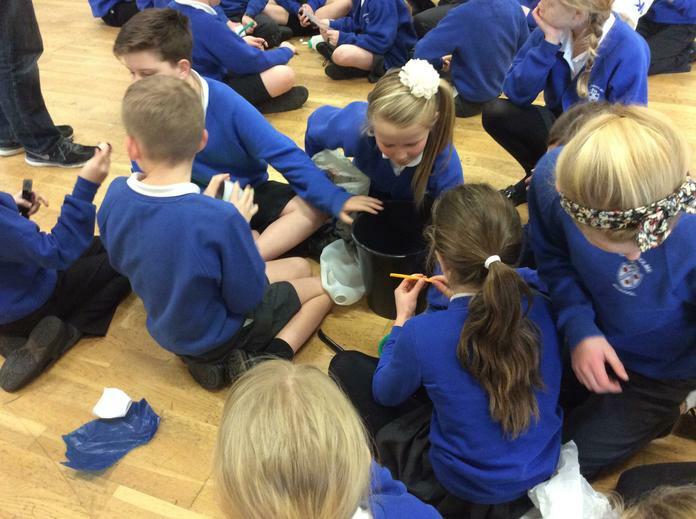 Which material is the best for muffling sound? 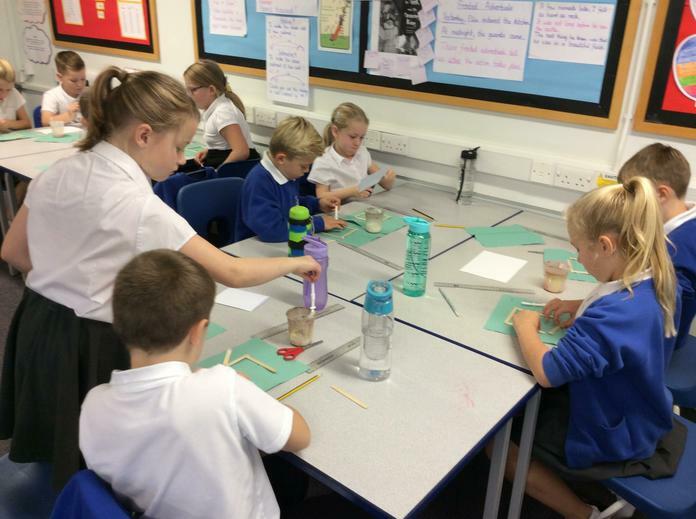 As an introduction to the idea of 'Fractions', the children investigated the idea that as the denominator increases, the amount of chocolate one may receive decreases. 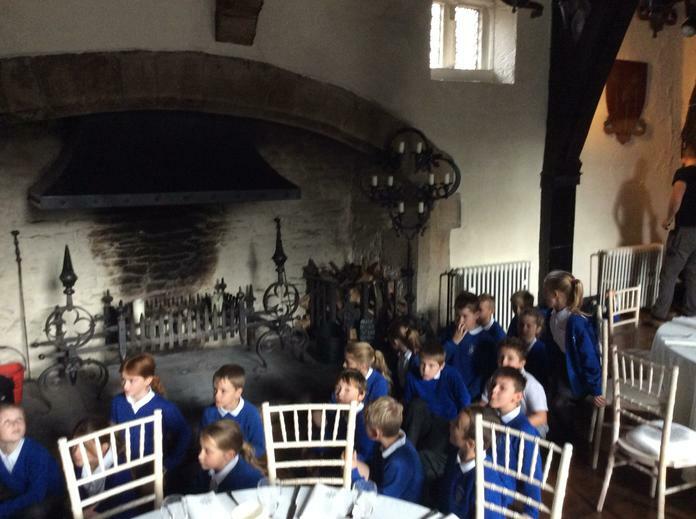 They had to decide on which table to sit. 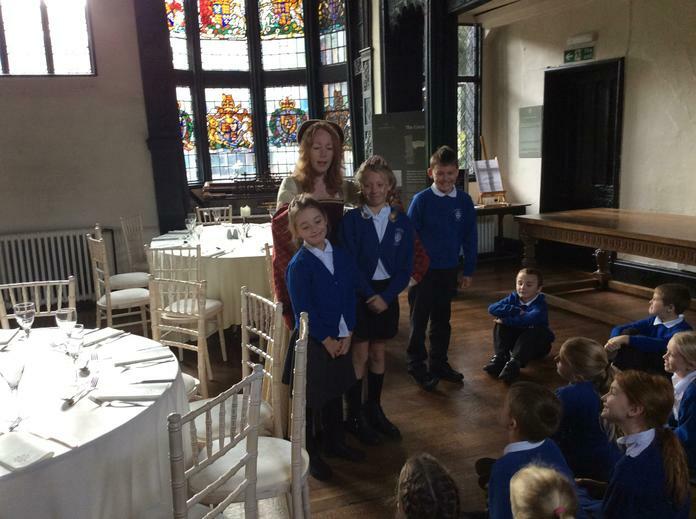 Was it the table with one bar of chocolate, the table with two bars of chocolate or the table with three bars of chocolate? 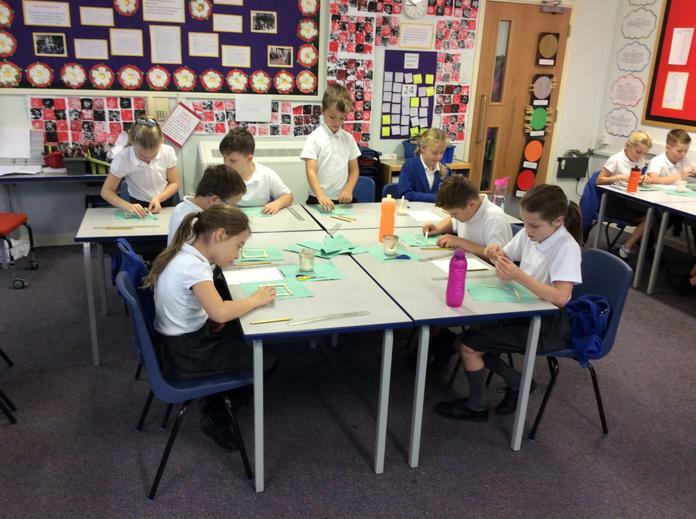 We have been looking at different techniques of printing and looking at different works of art from Japan. 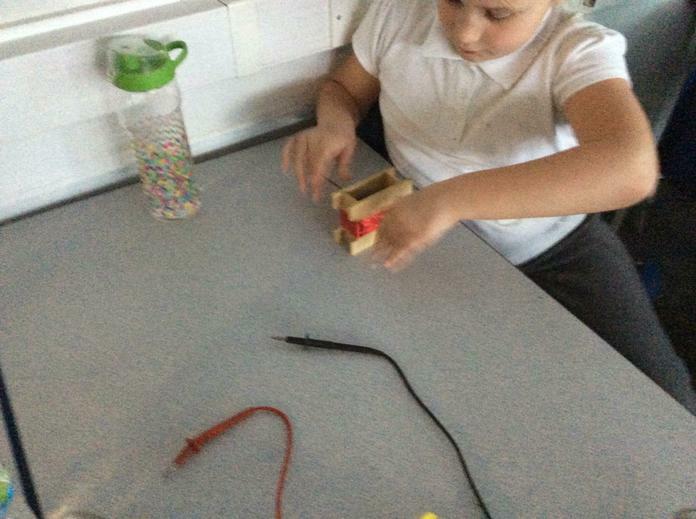 We created our own print blocks. 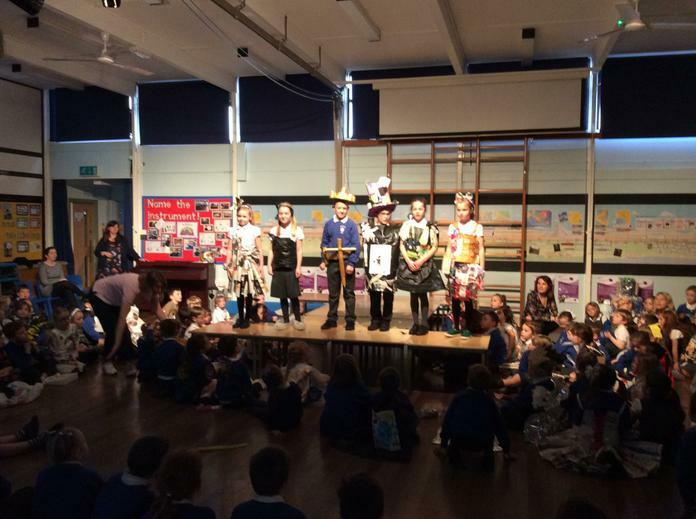 On Thursday 20th December, we presented our Christmas trees from around the world. 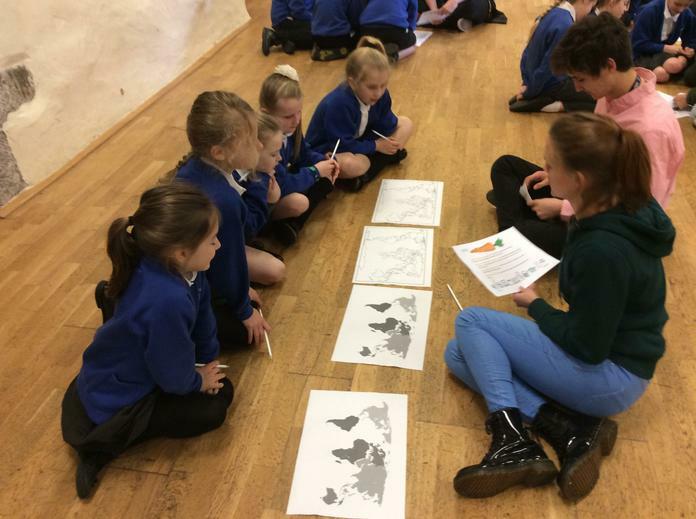 We had been researching how Christians celebrate Christmas in different countries from around the world. 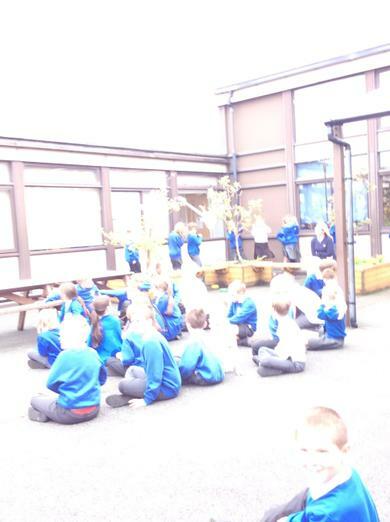 To finish off our scary stories, we read them in the near-dark by torch light. 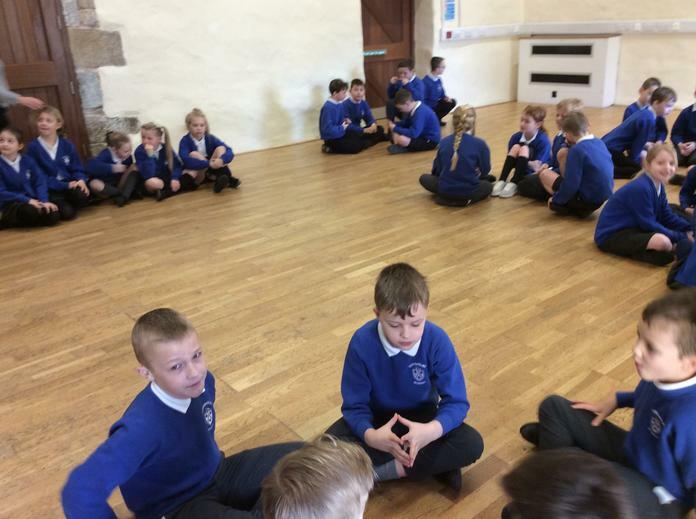 Because Year 4 have been working on the idea of 'light' in Christianity, we wanted to know what this idea means to a Christian in today's society. 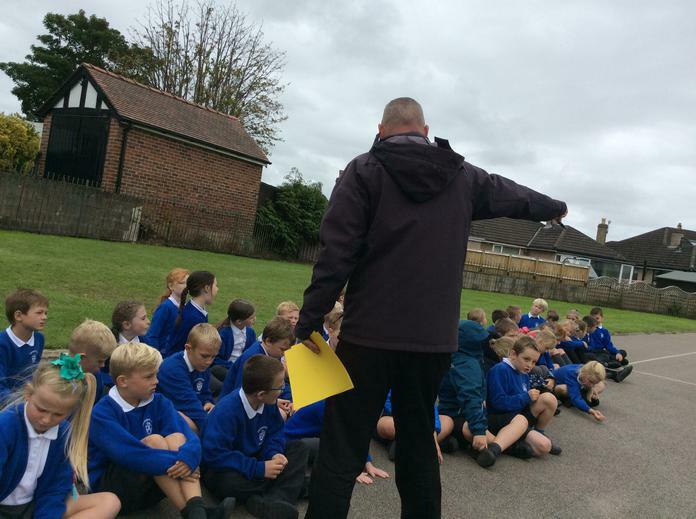 Father Damian Porter, from Church of the Ascension, came to talk to the children about what the idea of 'light' means to him. 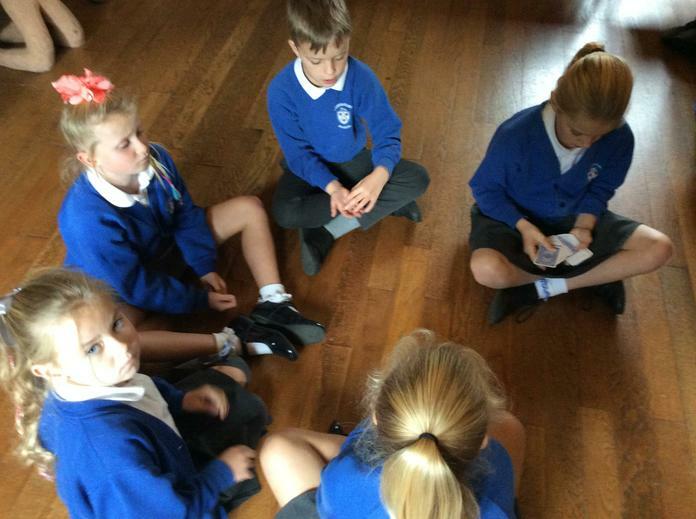 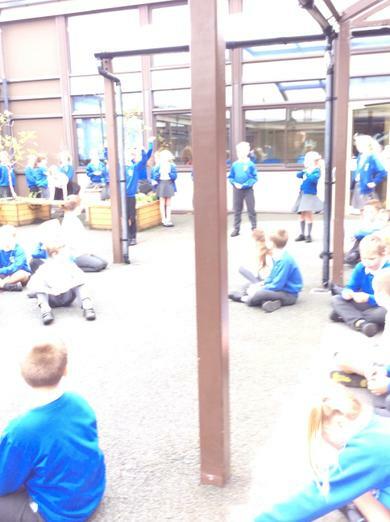 We learned about choices that Christians make to try to make the world a 'lighter' place. 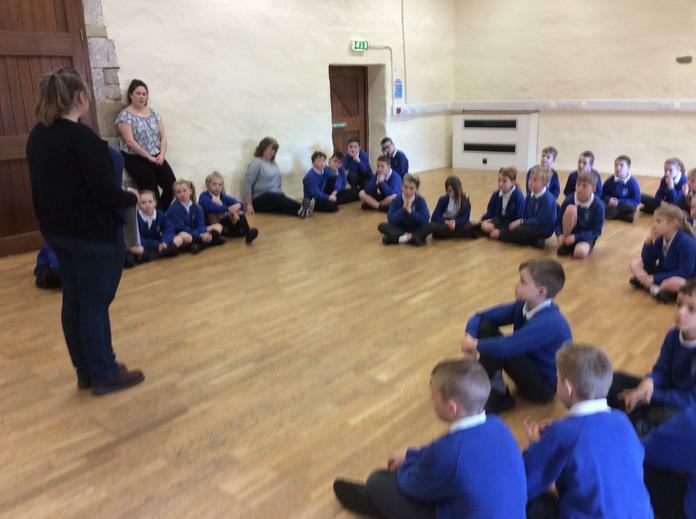 On Tuesday 20th November, we had a visit from Debbie Green (NISCU) to talk to us about the importance and relevance of the idea of light in religion. 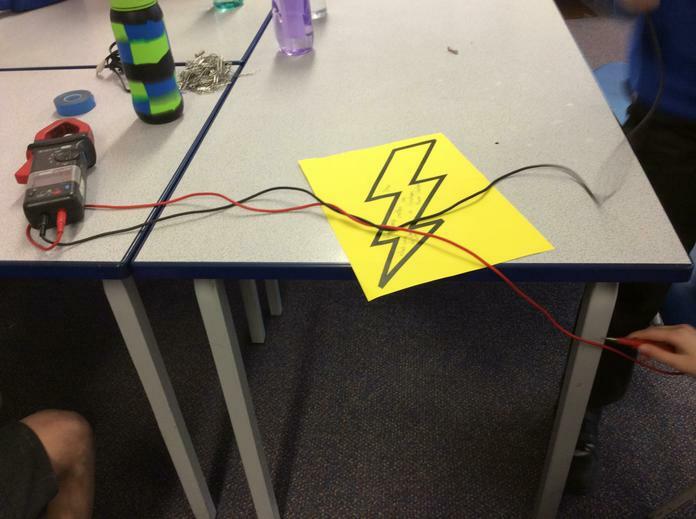 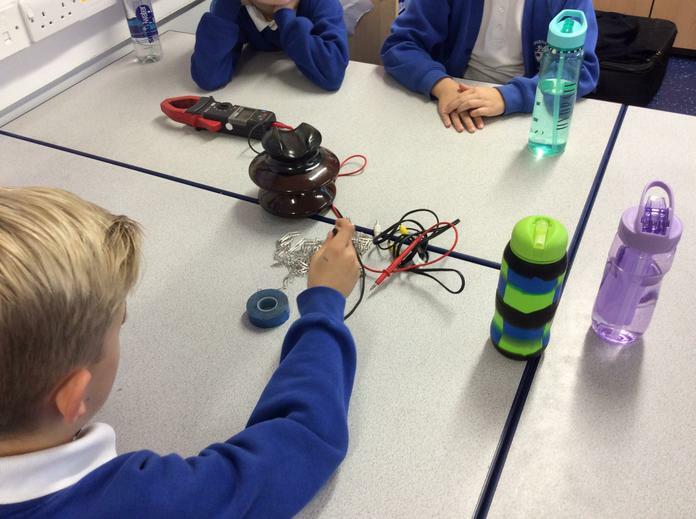 Using our previous knowledge of circuits, we have been looking at which materials are conductors or insulators. 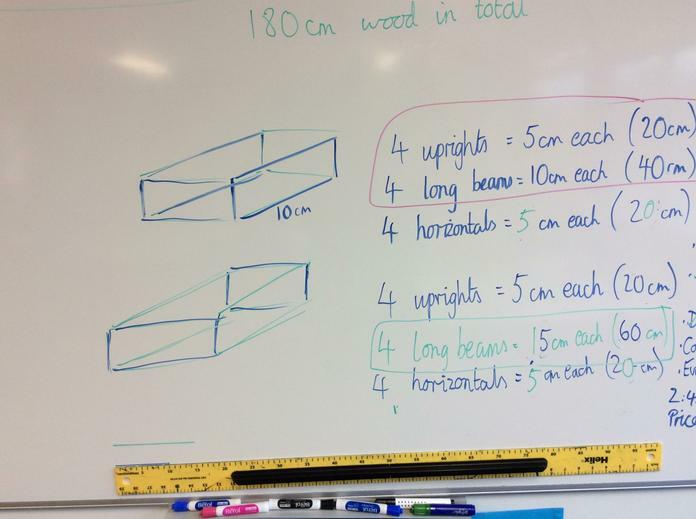 We found some surprising results and discussed as to why these did not fit with our predictions. 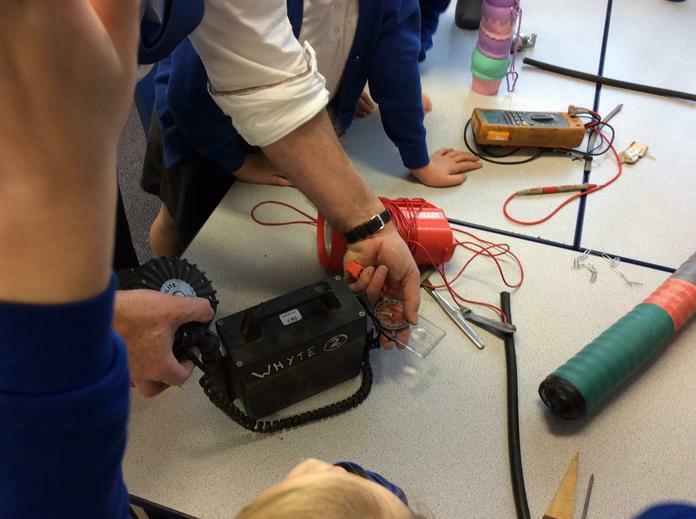 We discovered that Mr. Harding's jacket is an insulator!! 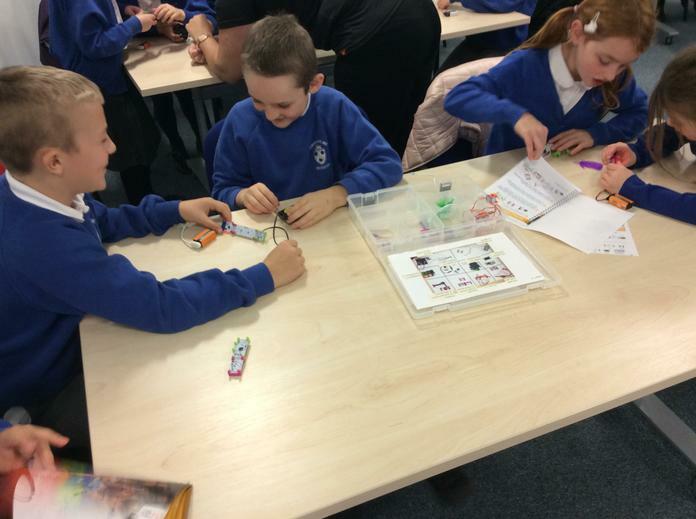 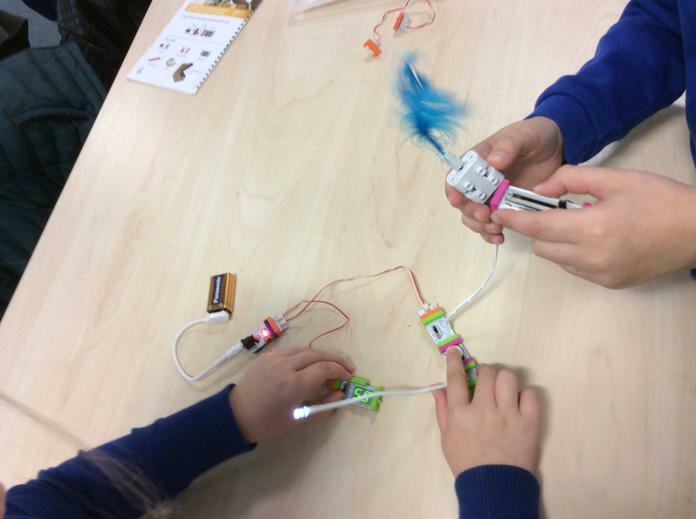 We have been making bulbs light and creating different types of circuits. 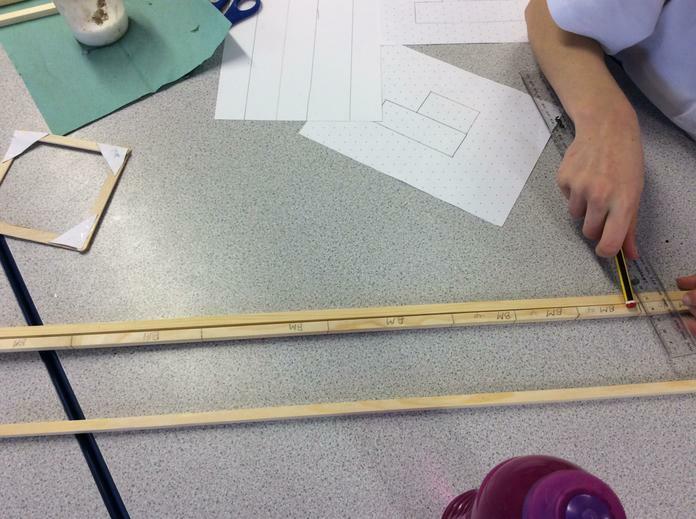 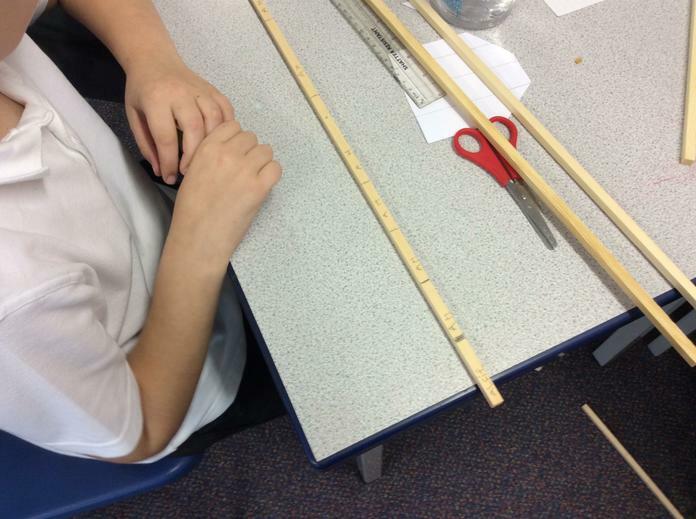 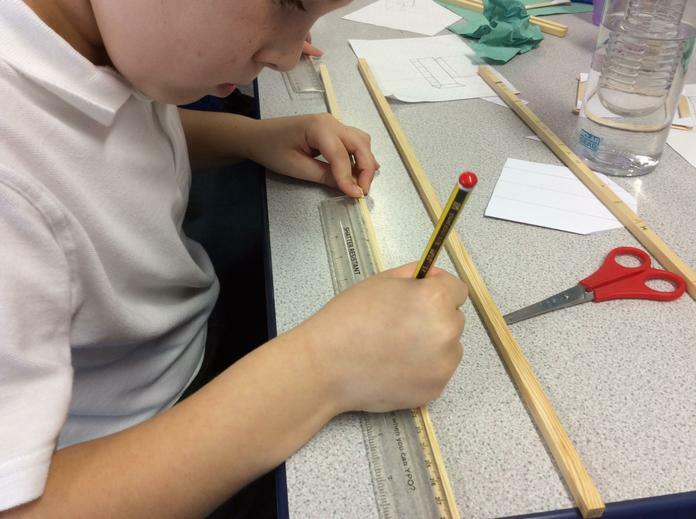 4H are doing some work on perimeter and converting units of measure this week. 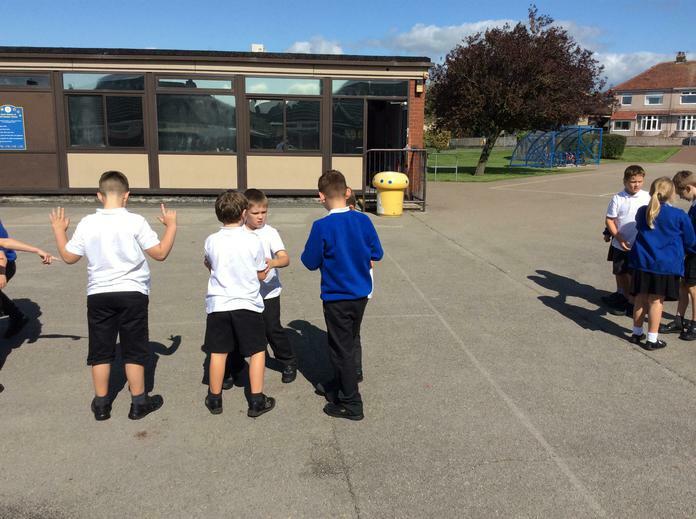 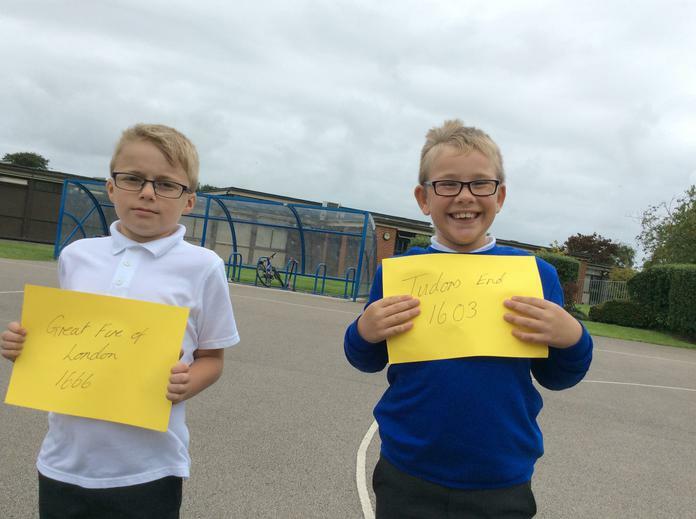 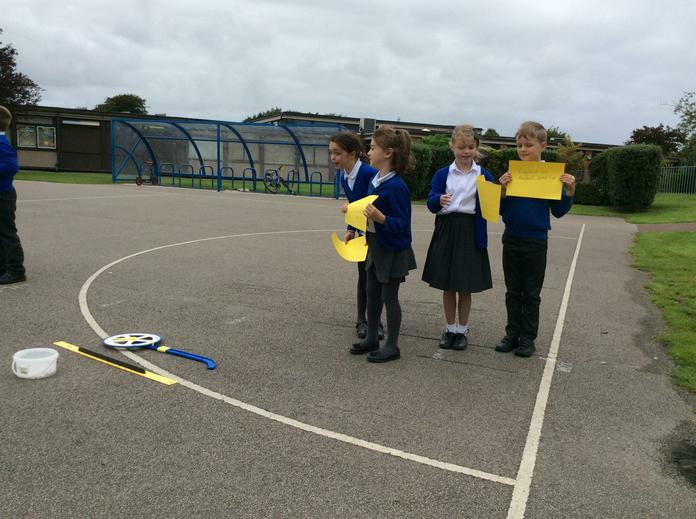 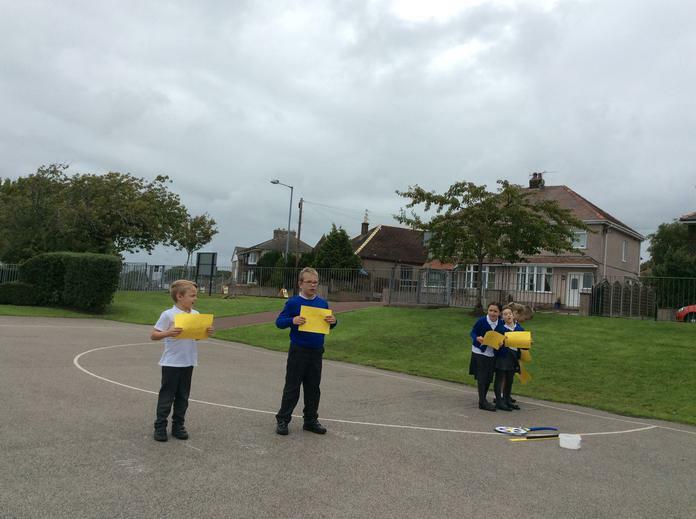 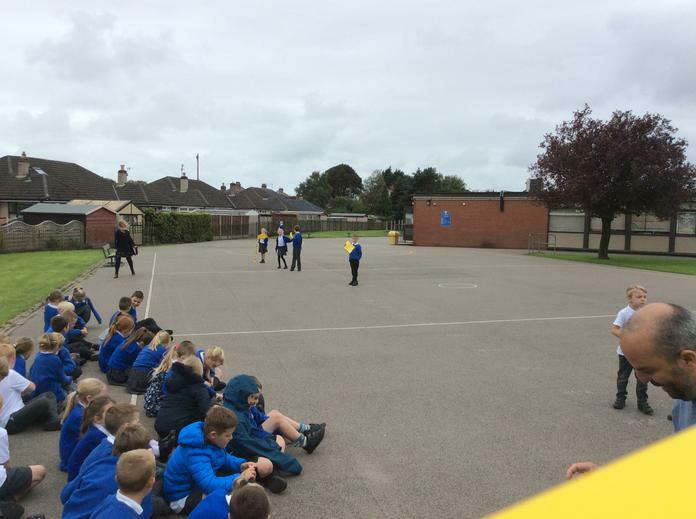 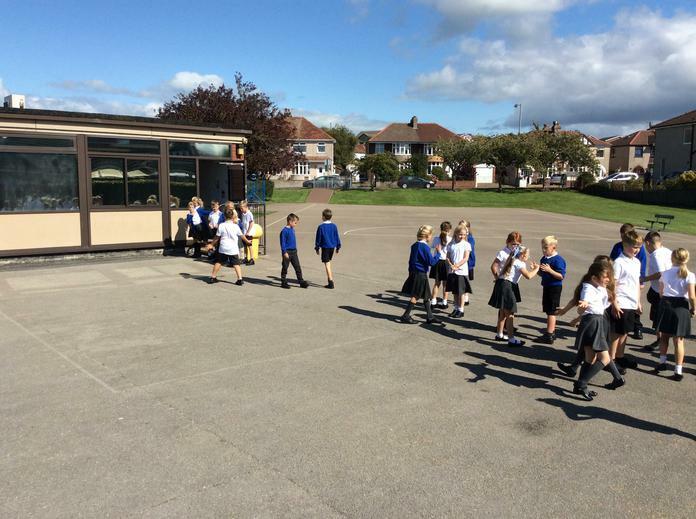 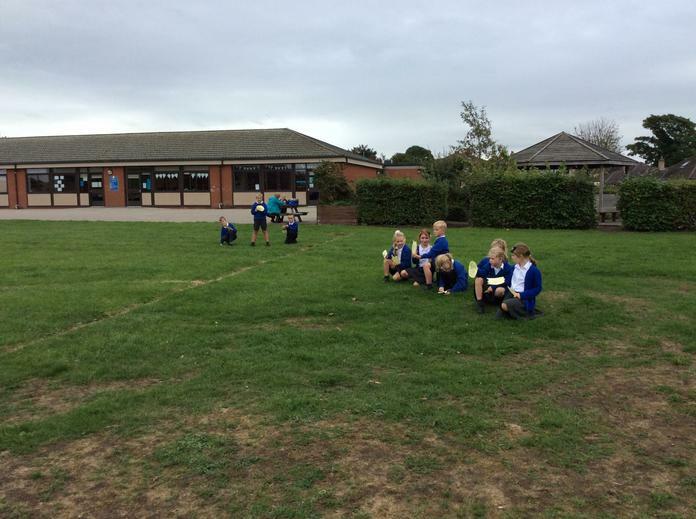 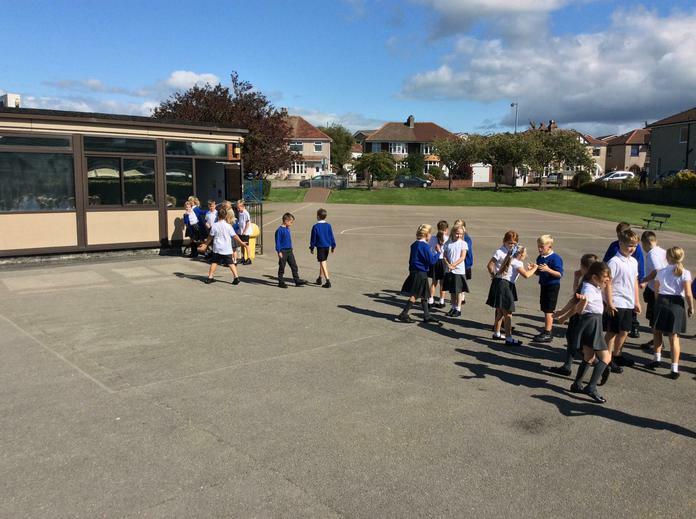 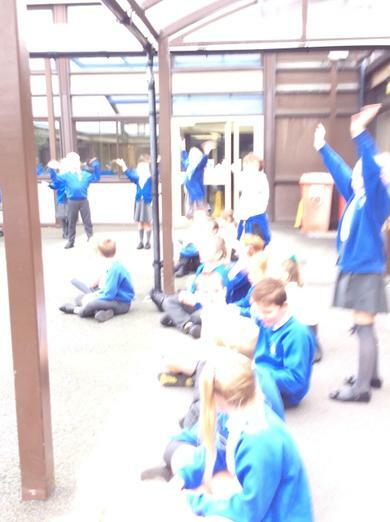 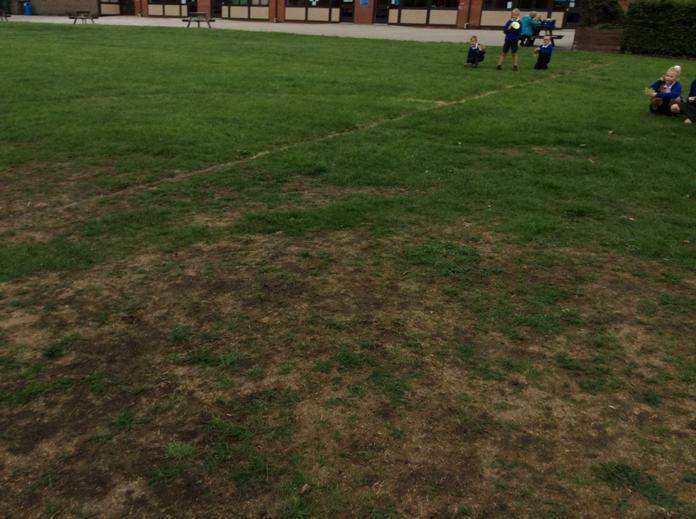 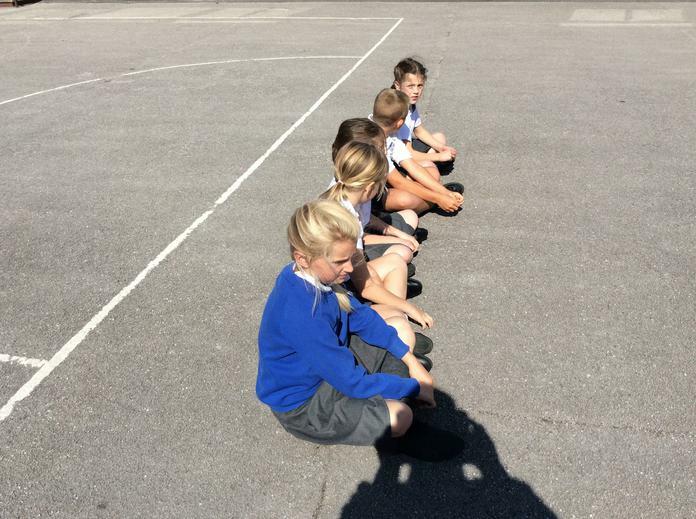 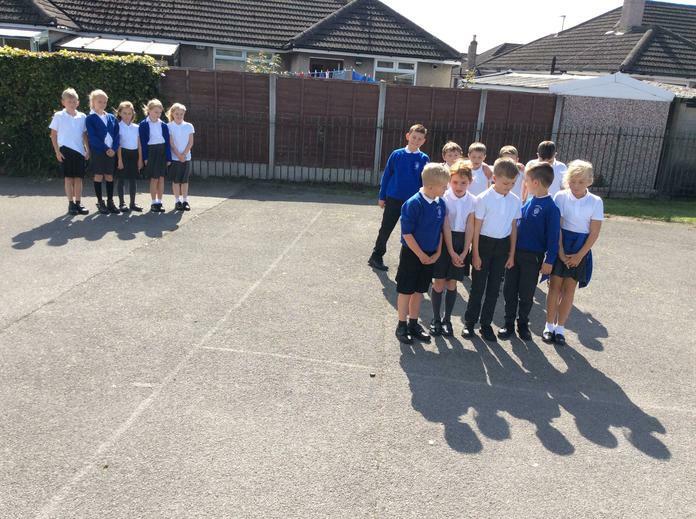 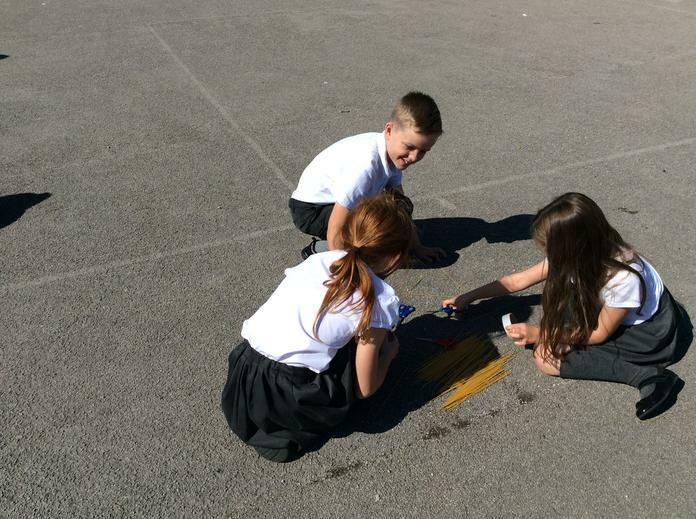 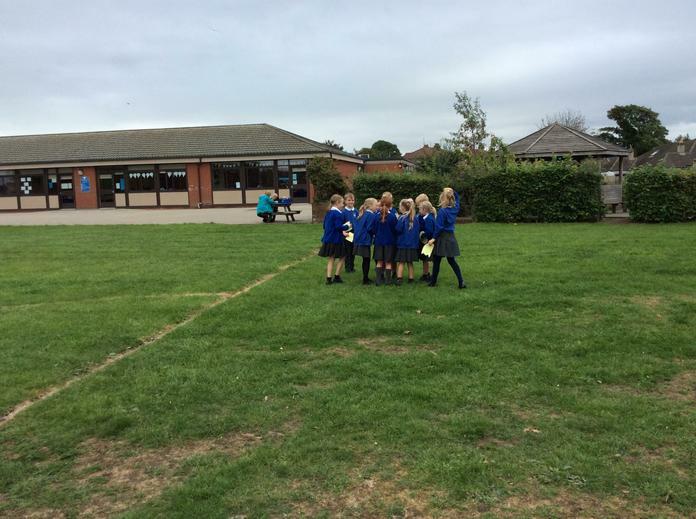 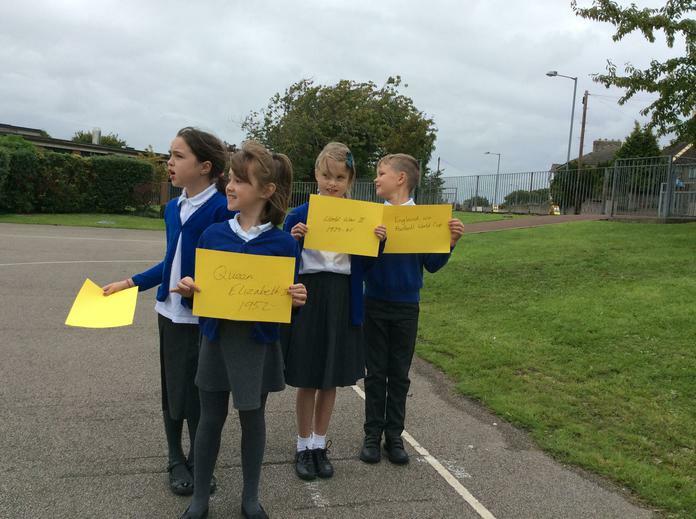 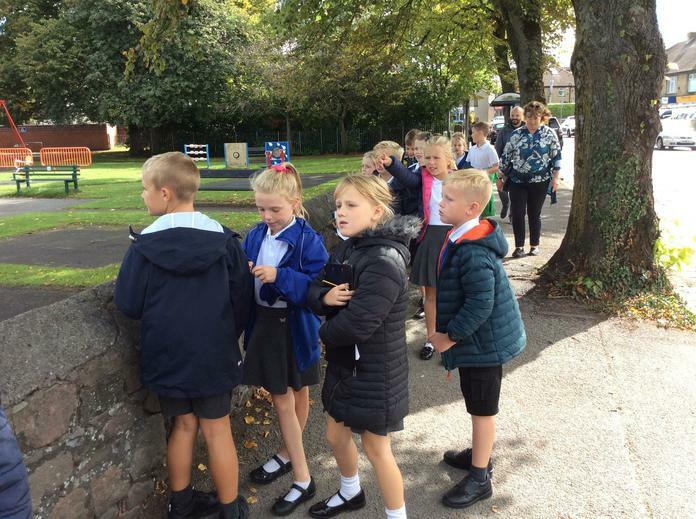 We thought that it would be useful to look at the perimeter of the school grounds and how far one kilometre actually is. 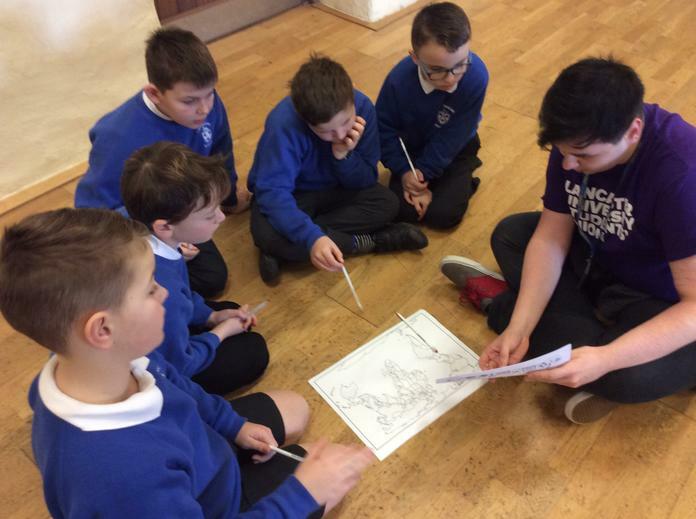 Ex - Torrisholme pupil, Lucas Heaton, came in earlier this week to talk about the different sizes of saxophones and the sounds that they produce. 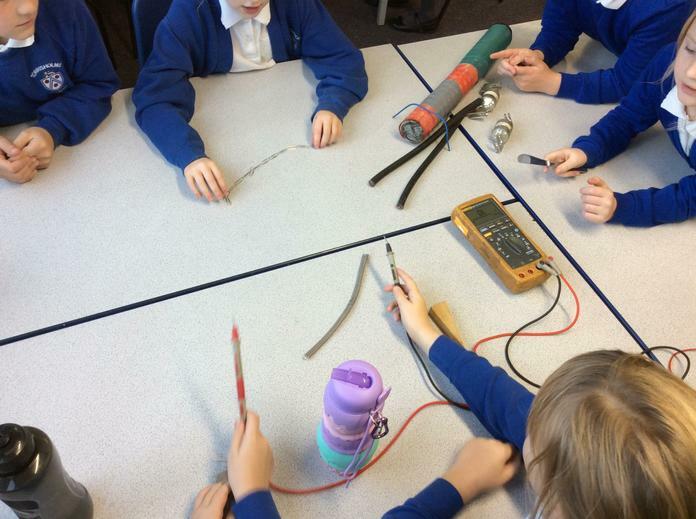 We were amazed at the cost of these instruments! 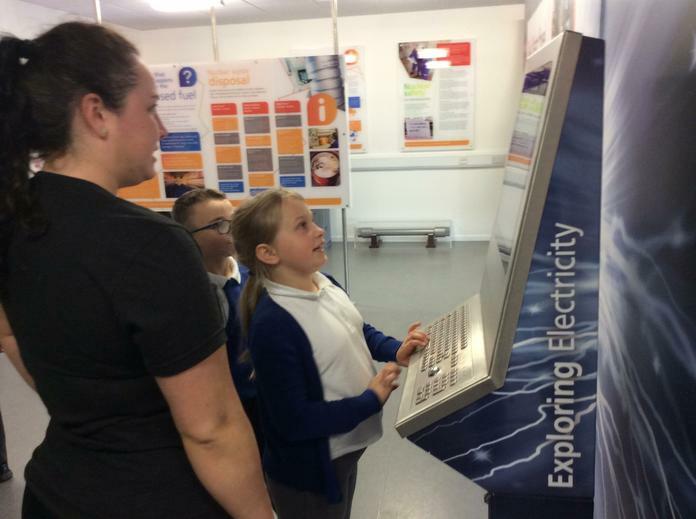 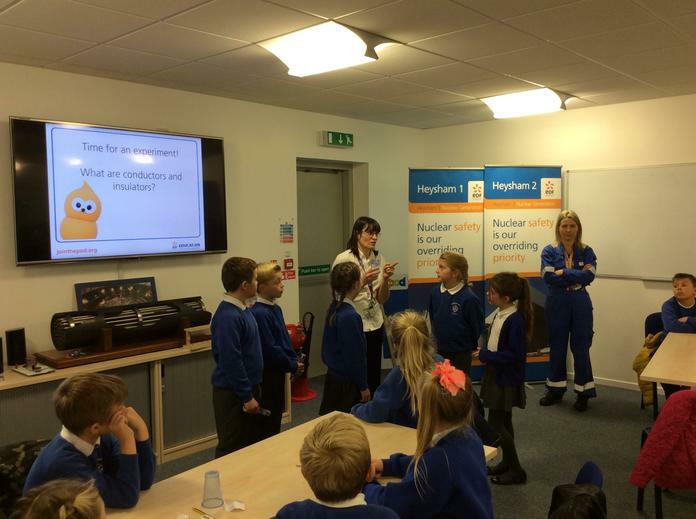 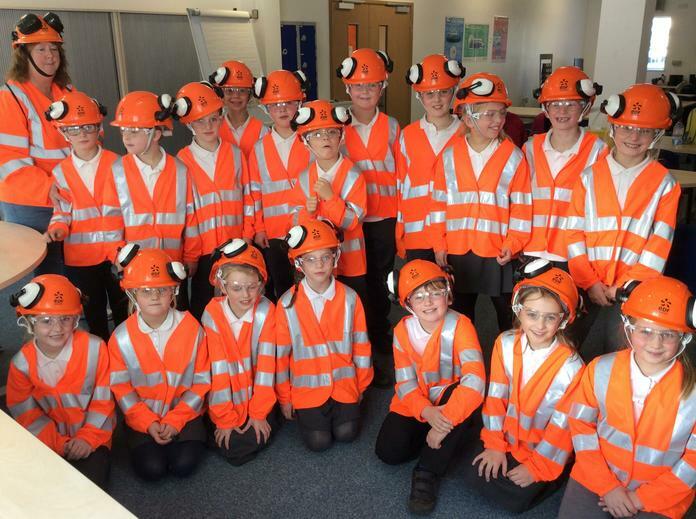 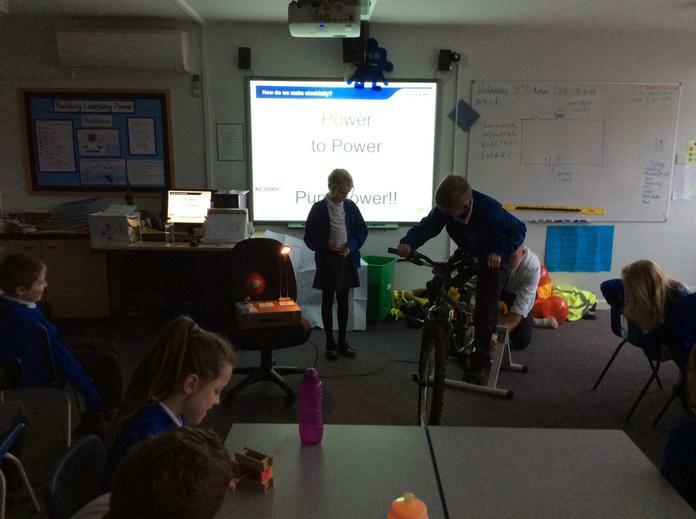 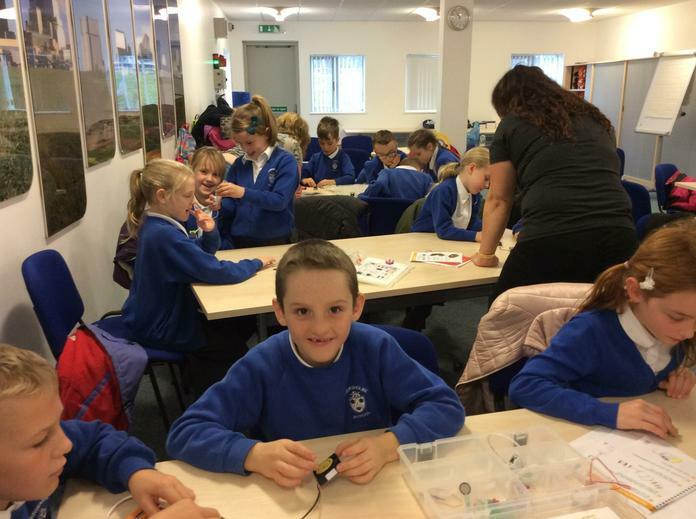 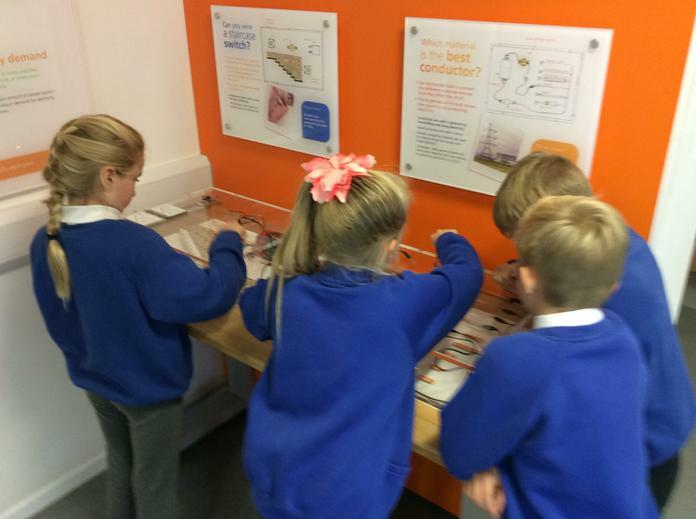 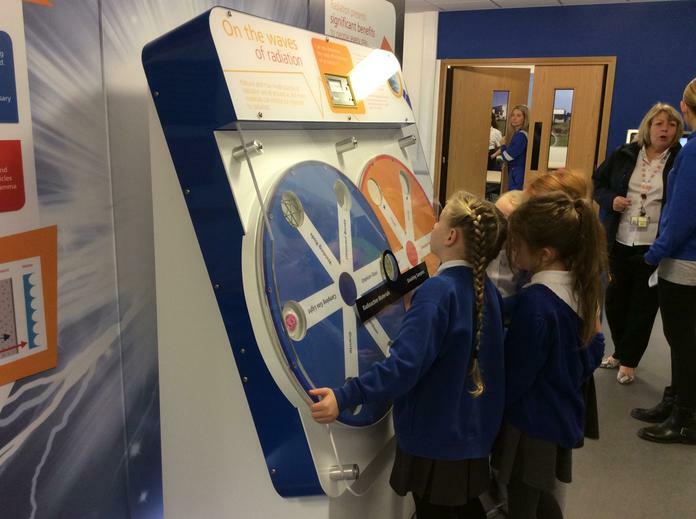 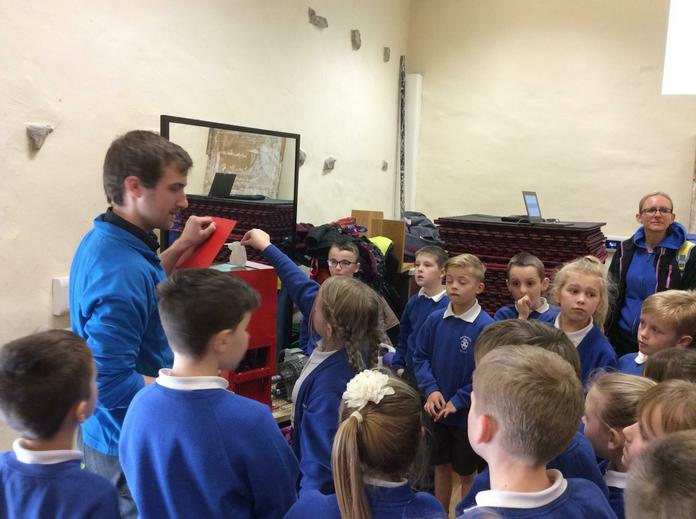 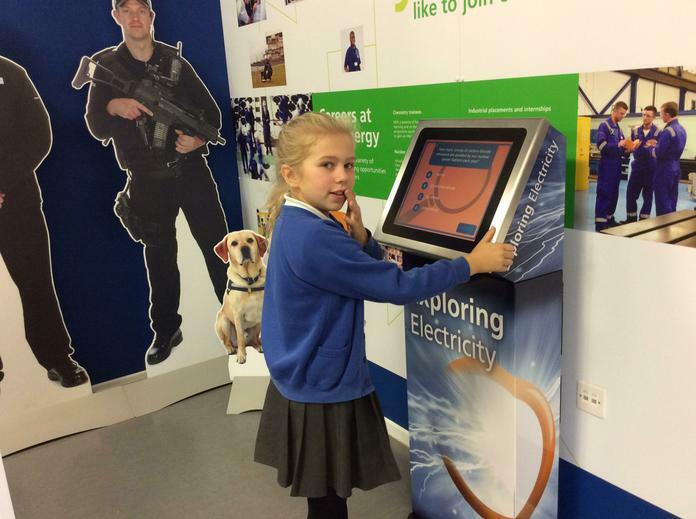 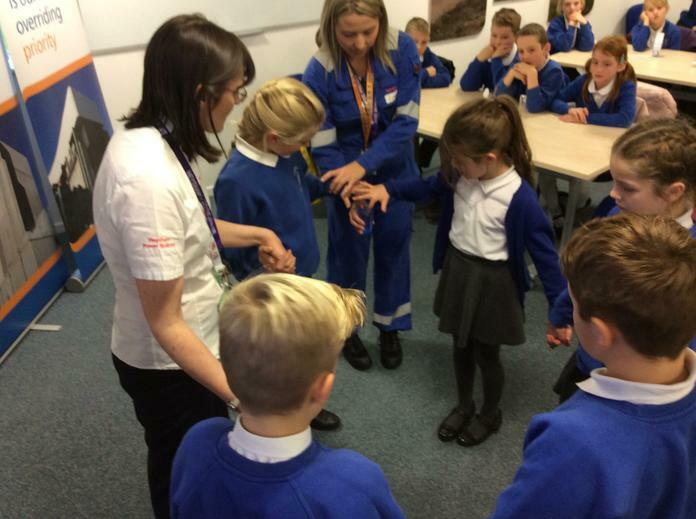 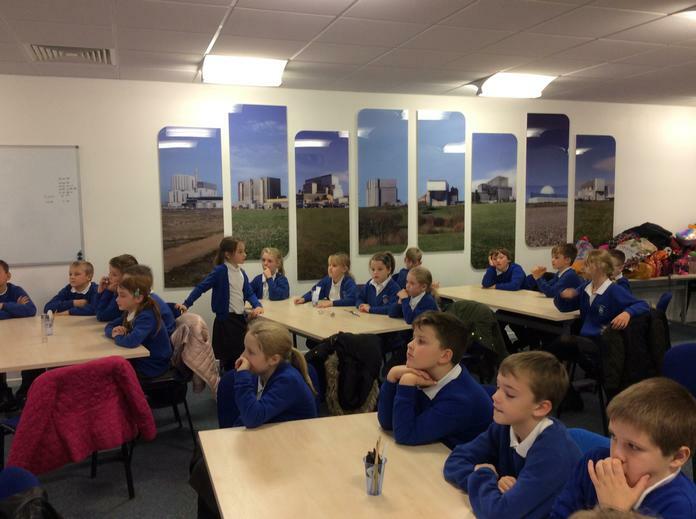 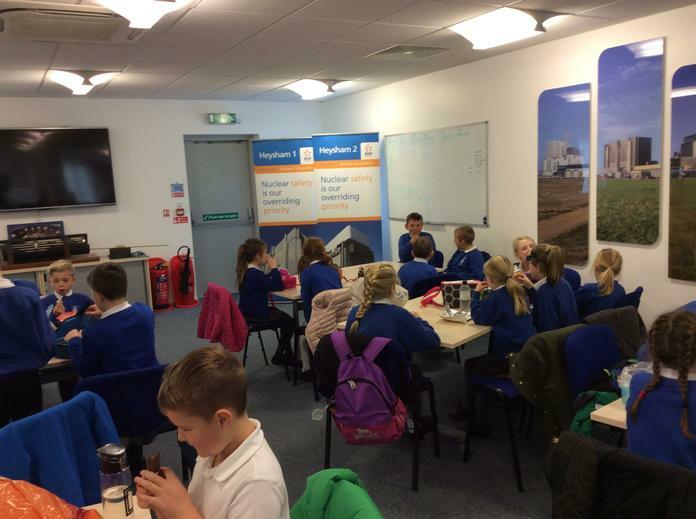 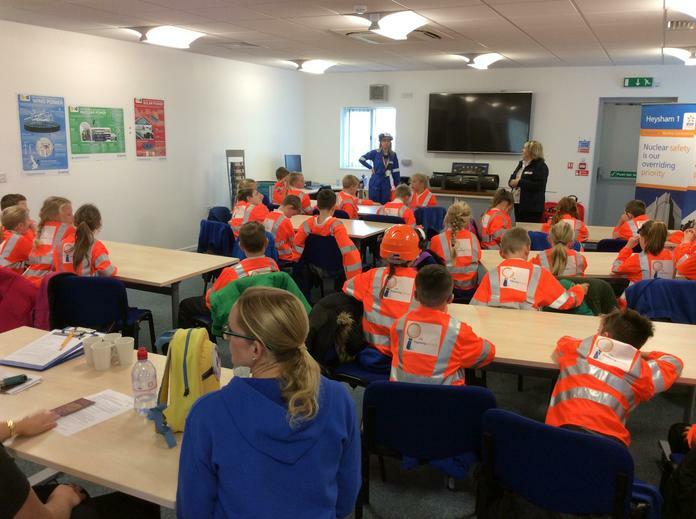 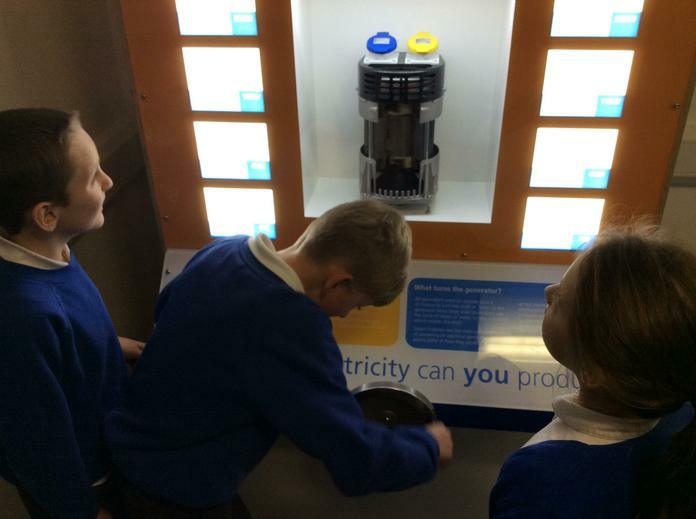 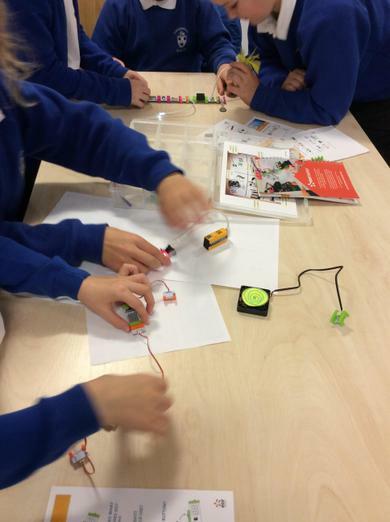 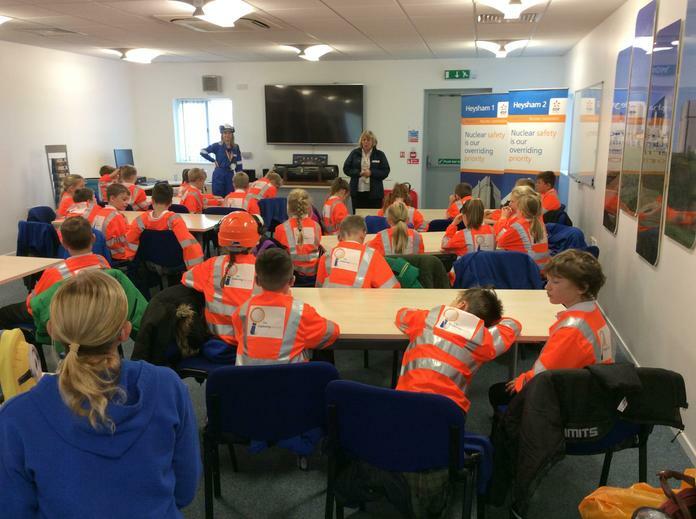 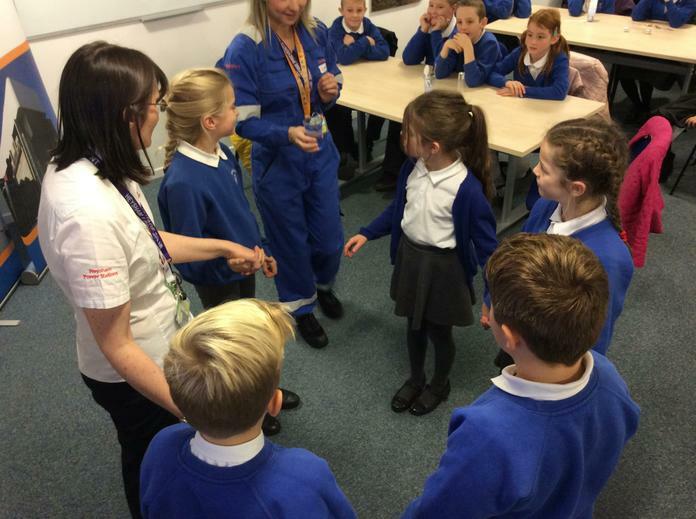 On Tuesday 6th November 2018, 4H went on a trip to Heysham Power Station to learn how electricity is generated on a large scale and to undertake some experiments. 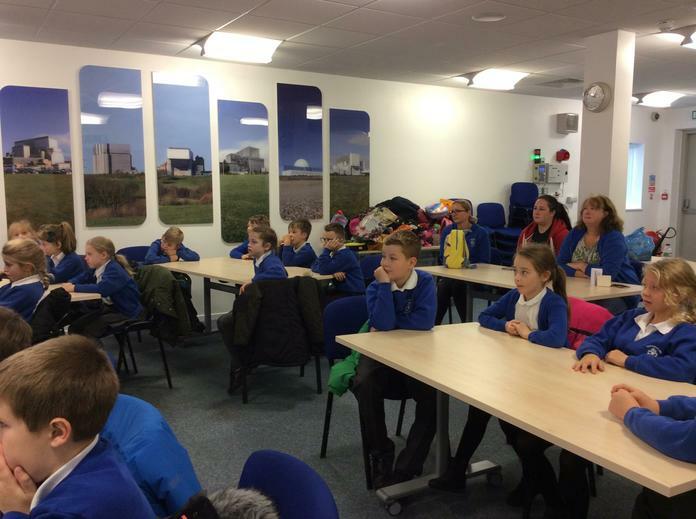 In the morning, we did the experiments and in the afternoon, we went on a tour of Heysham 2 Power Station. 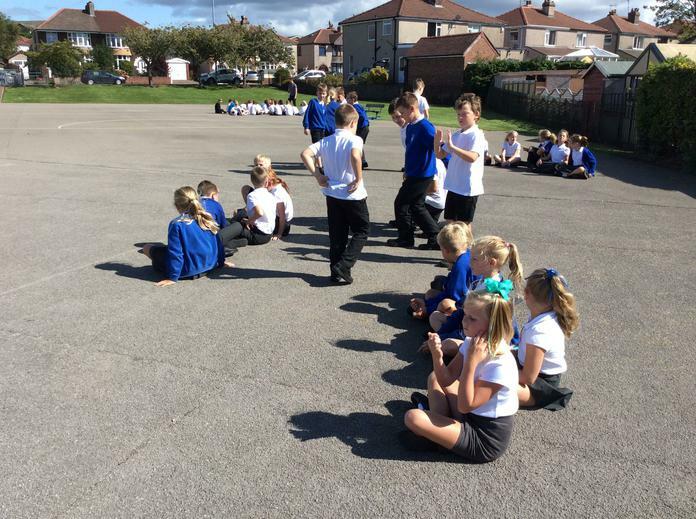 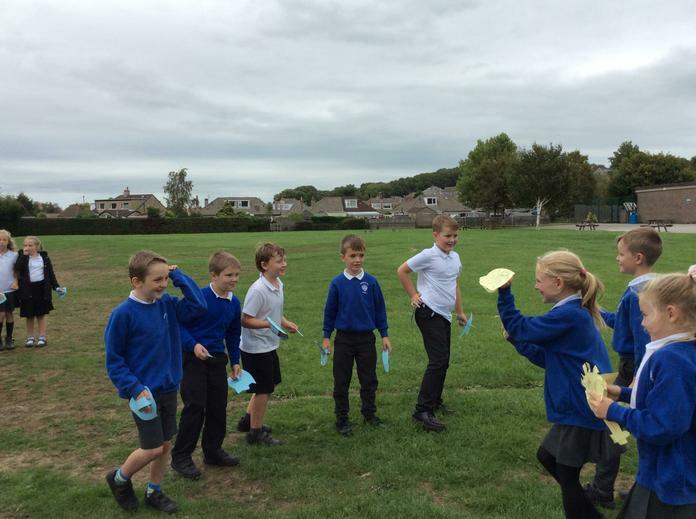 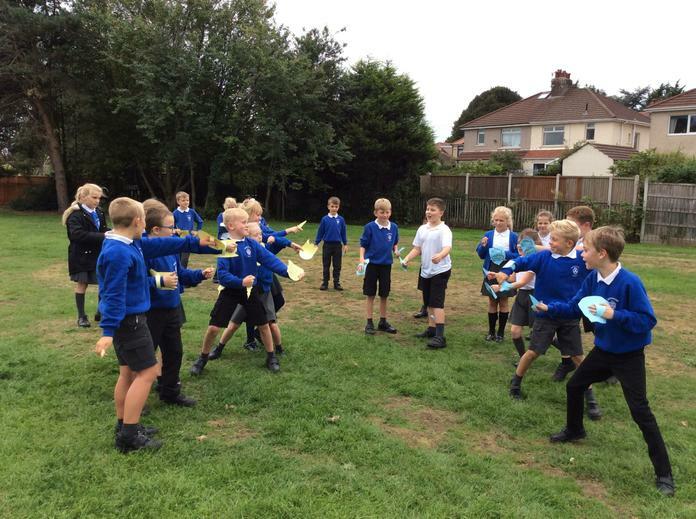 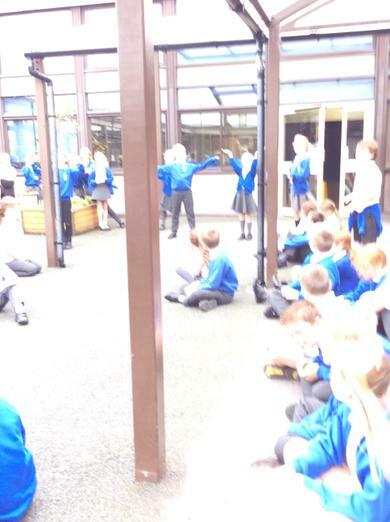 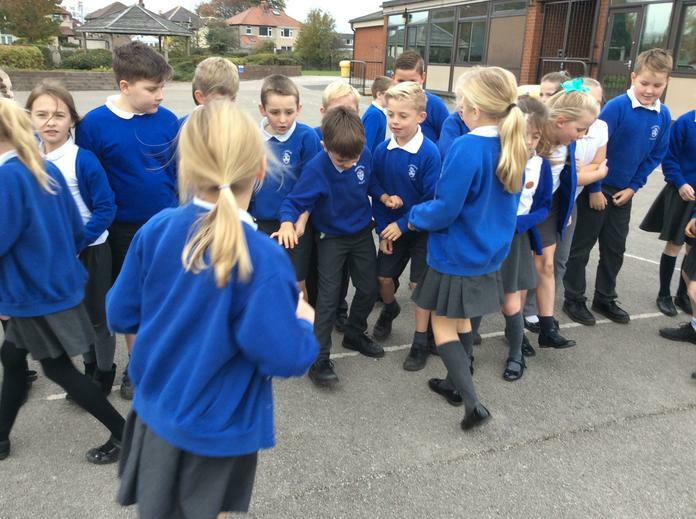 To enhance our understanding of the Greek myth of Prometheus stealing fire and giving it to humanity, we have been acting out the story. 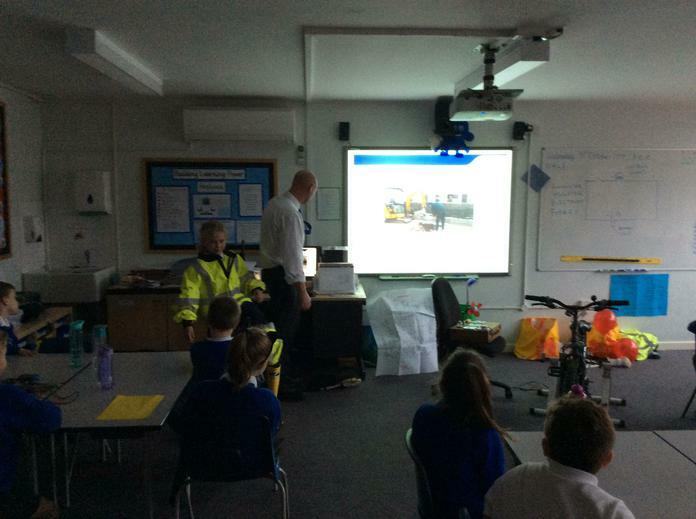 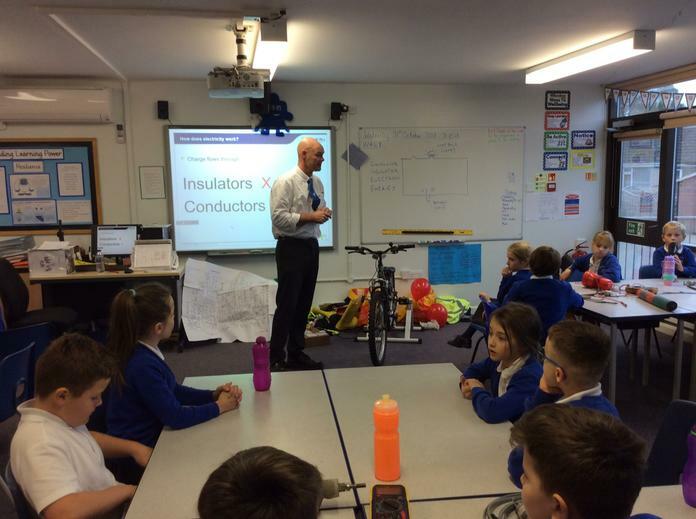 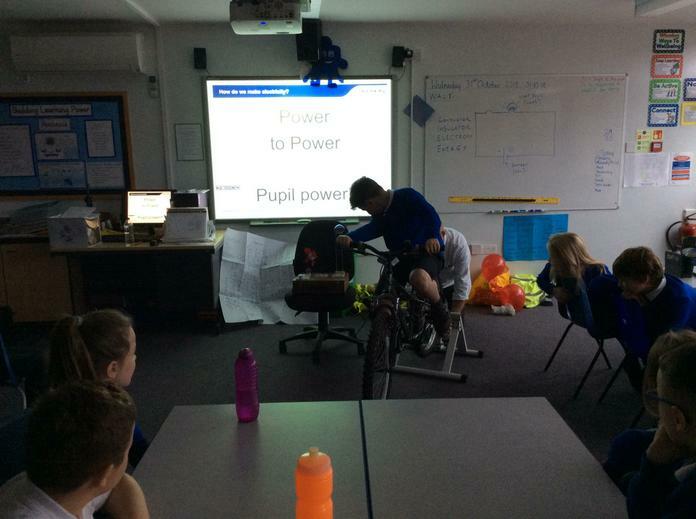 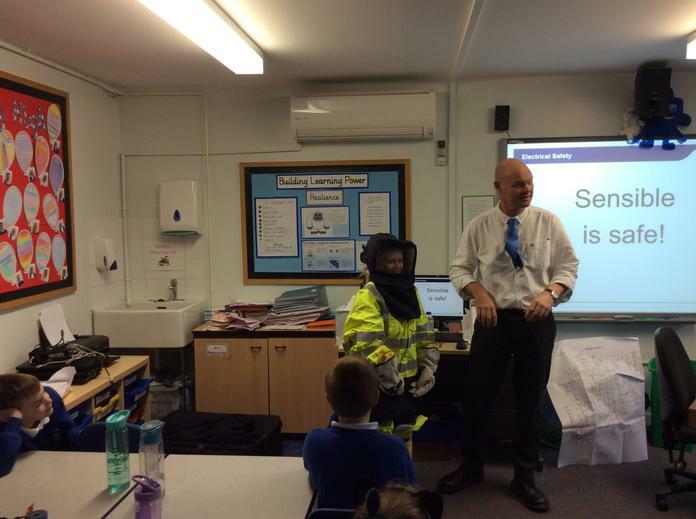 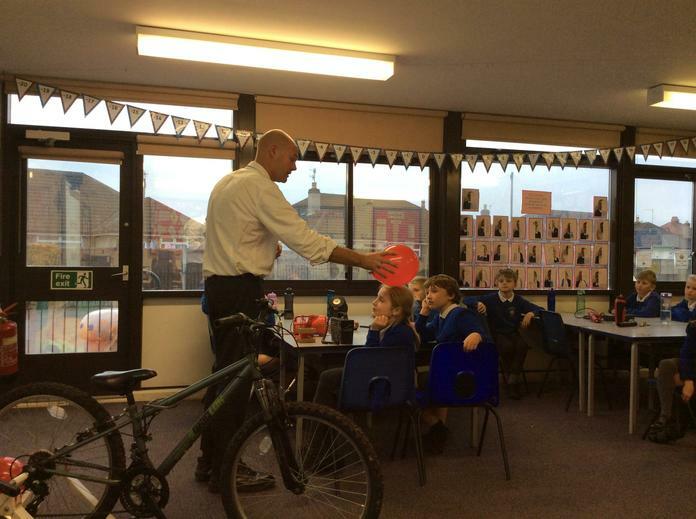 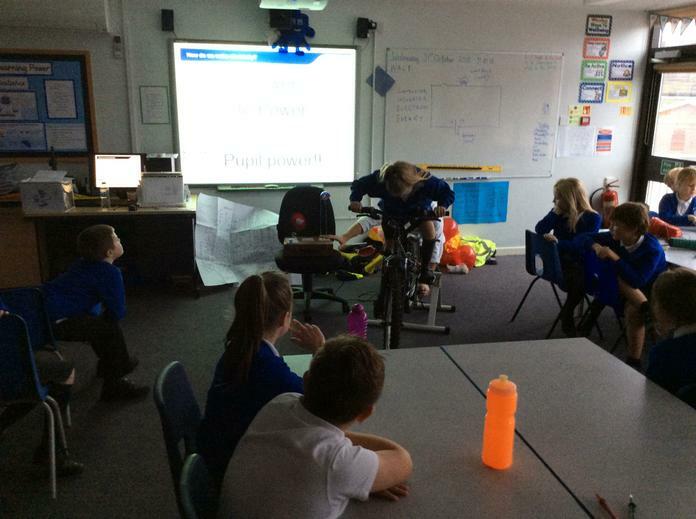 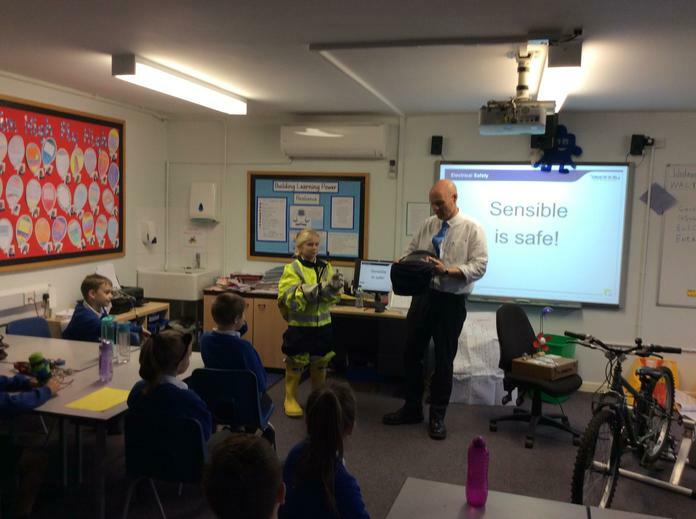 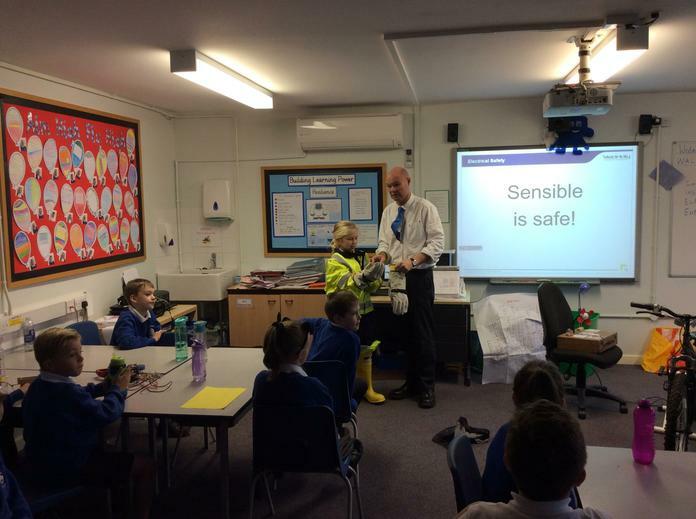 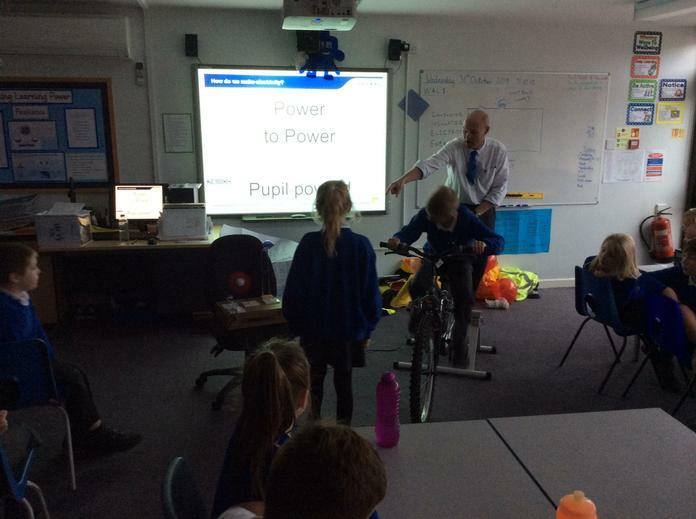 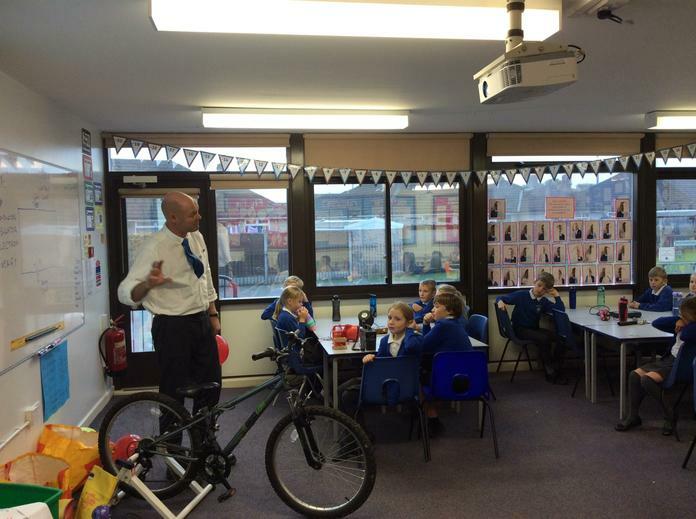 To start our new topic of 'Electrifying', we had Mr. Whyte from North West electricity come in and talk to the children about a number of topics linked to electricity. 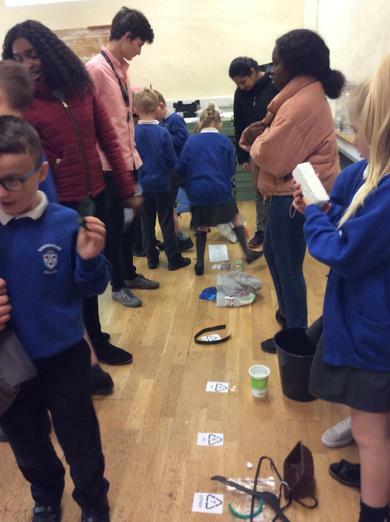 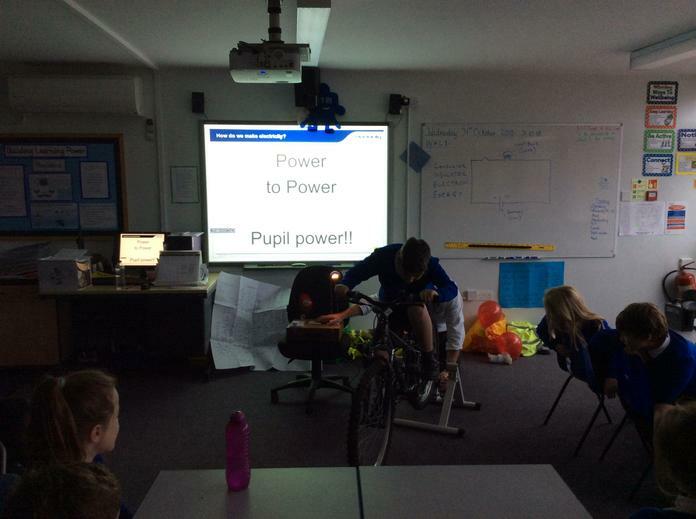 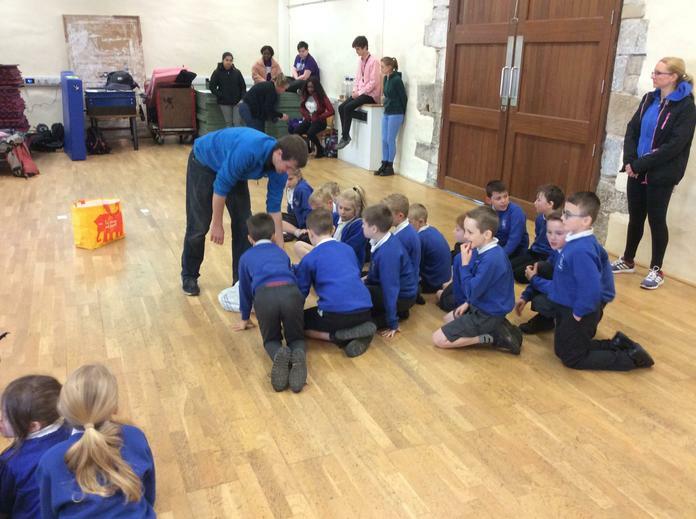 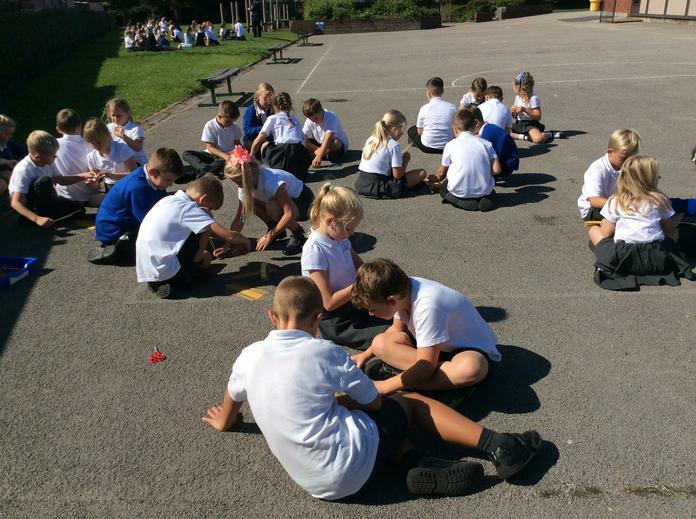 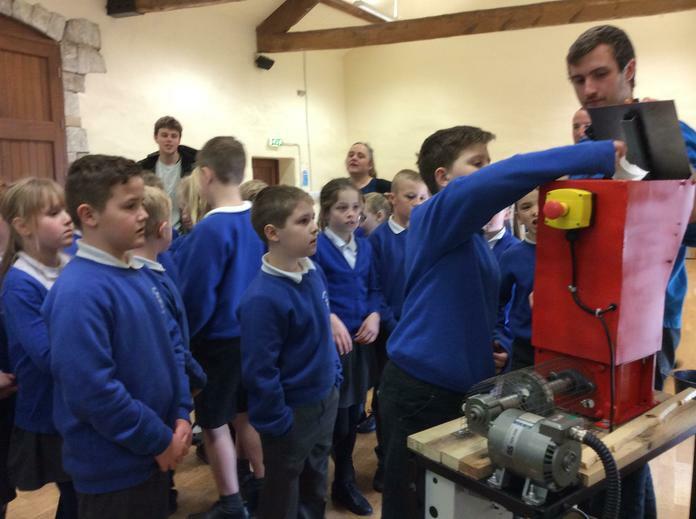 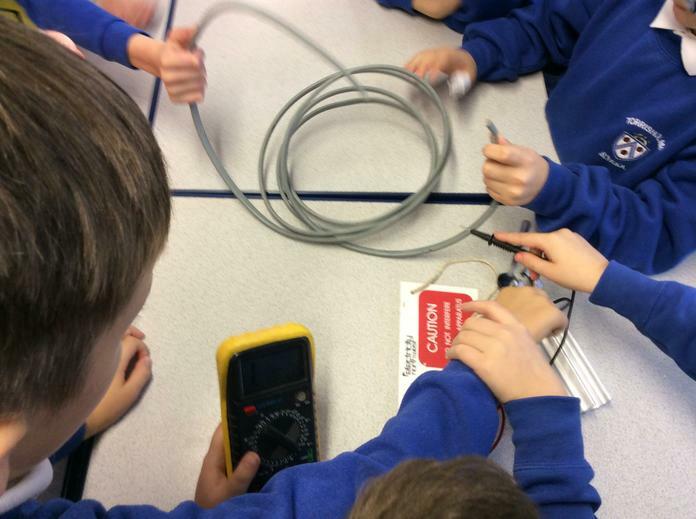 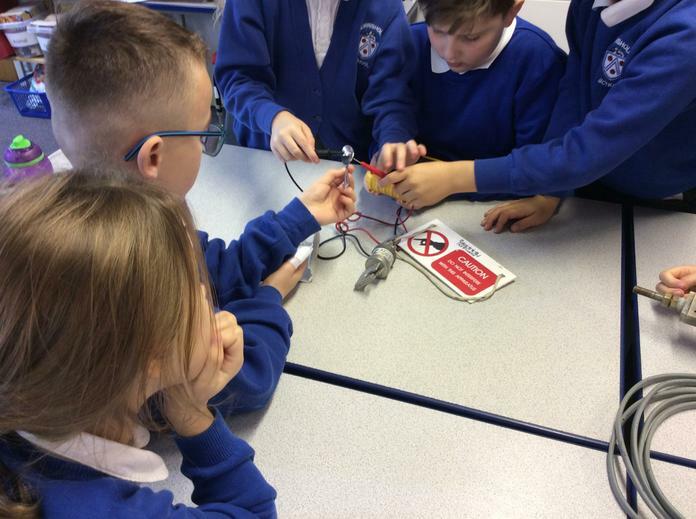 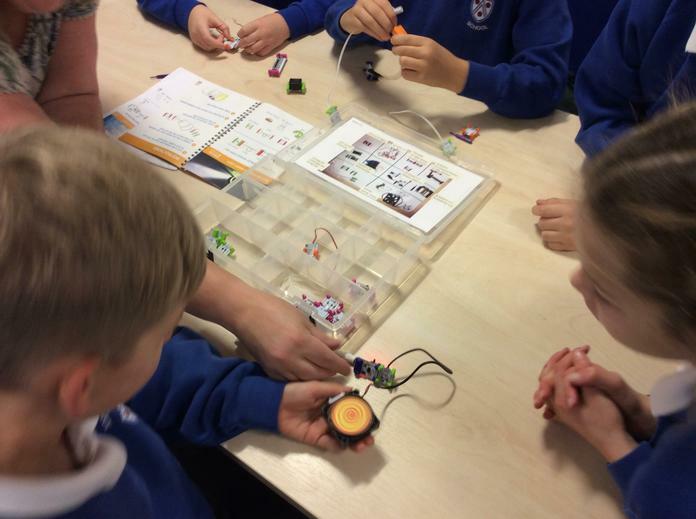 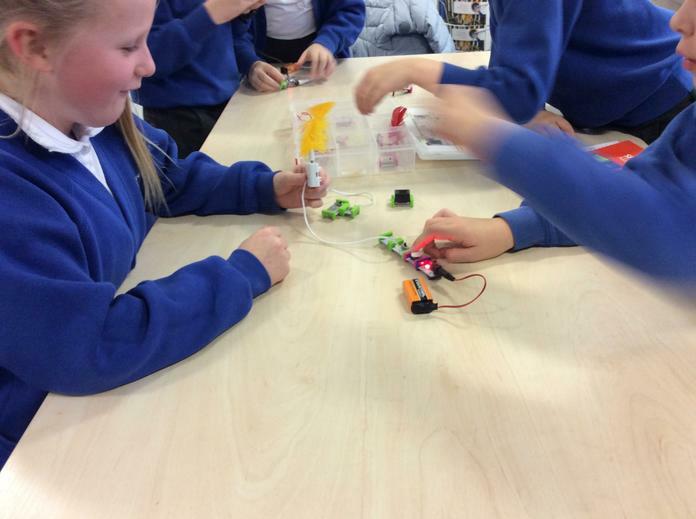 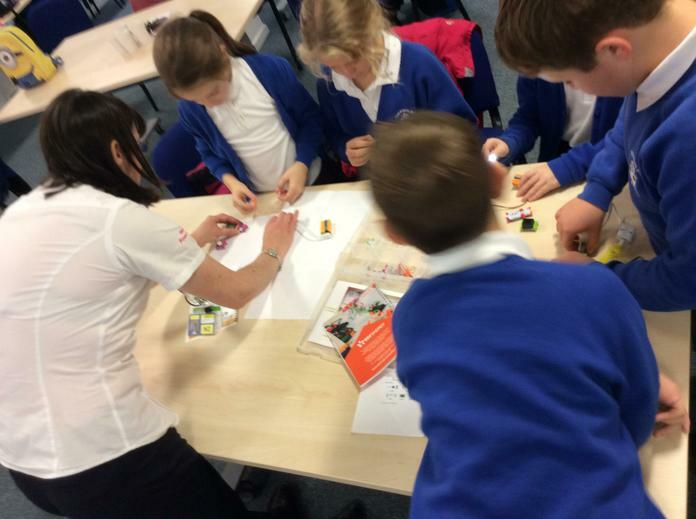 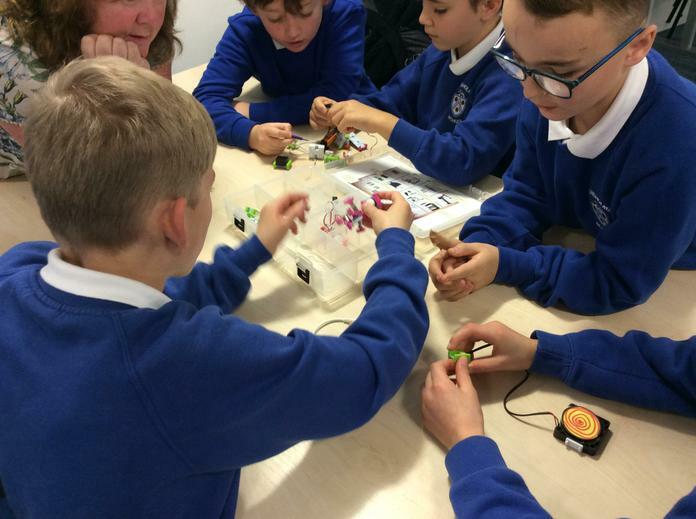 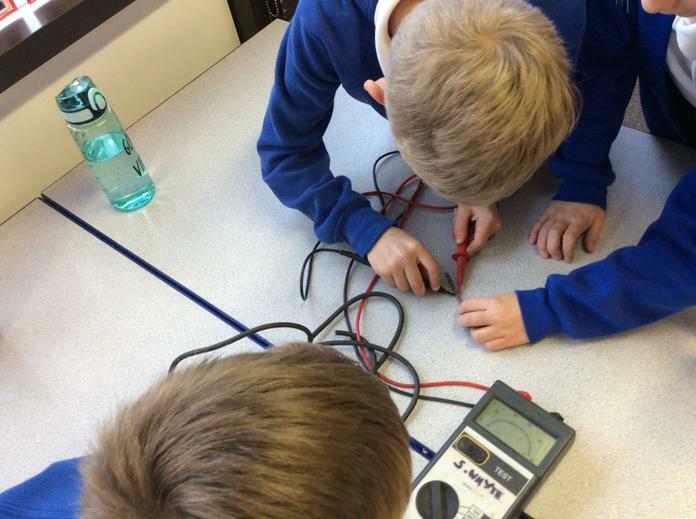 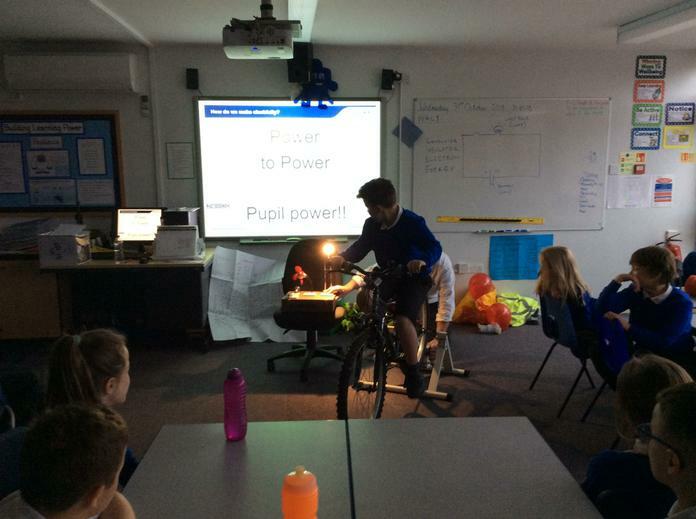 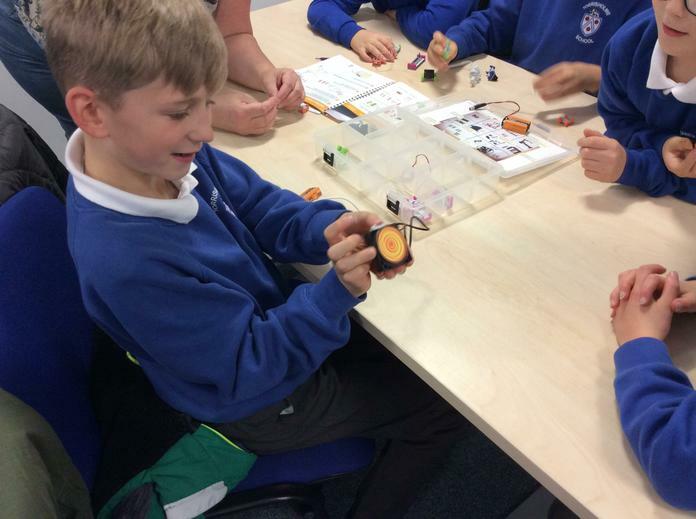 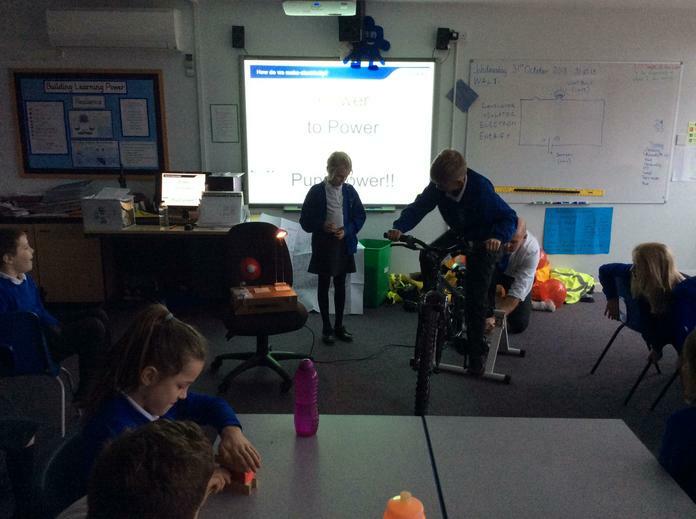 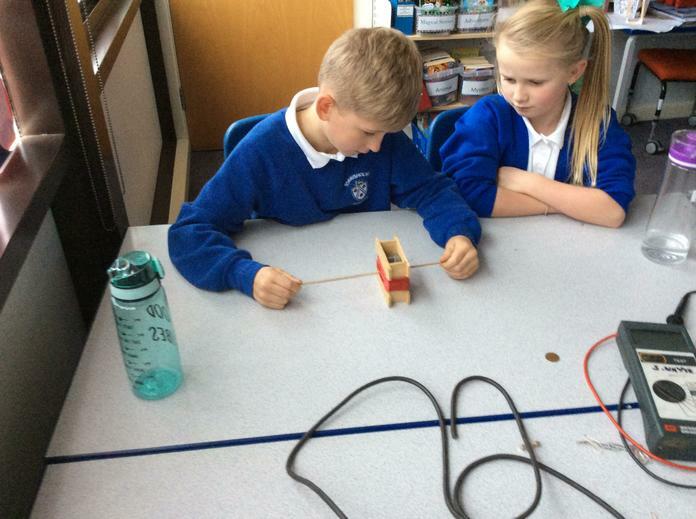 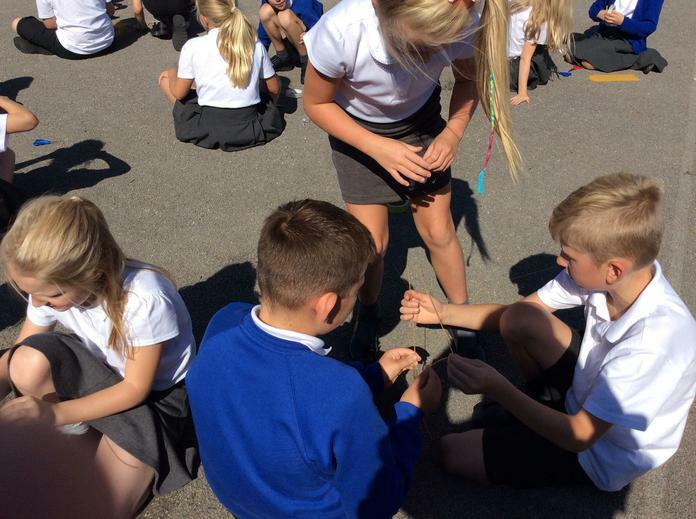 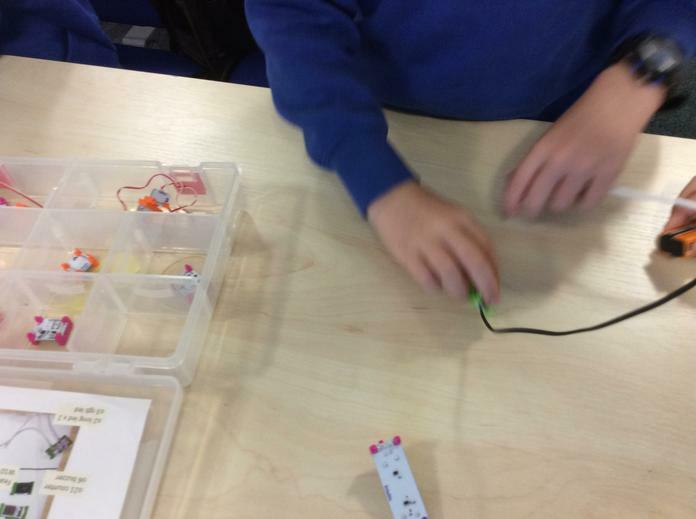 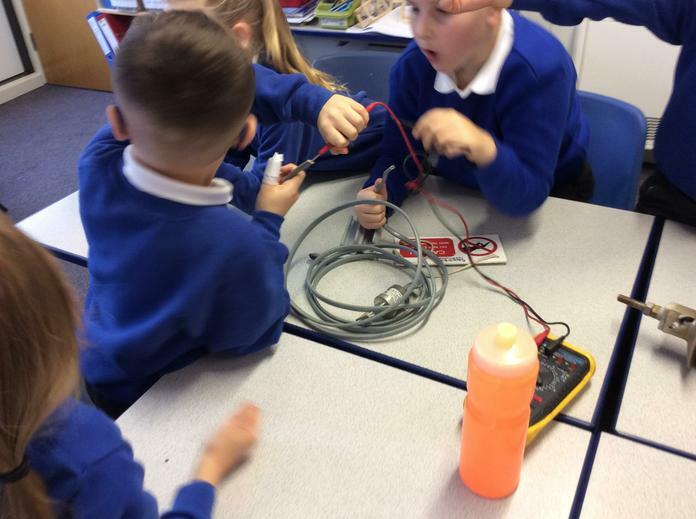 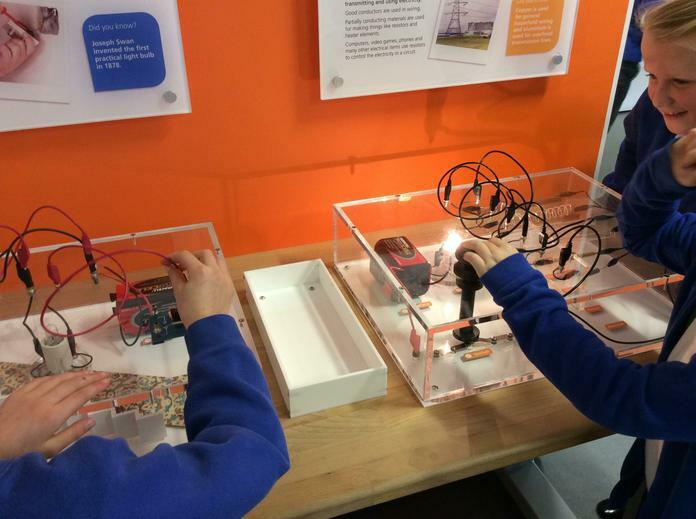 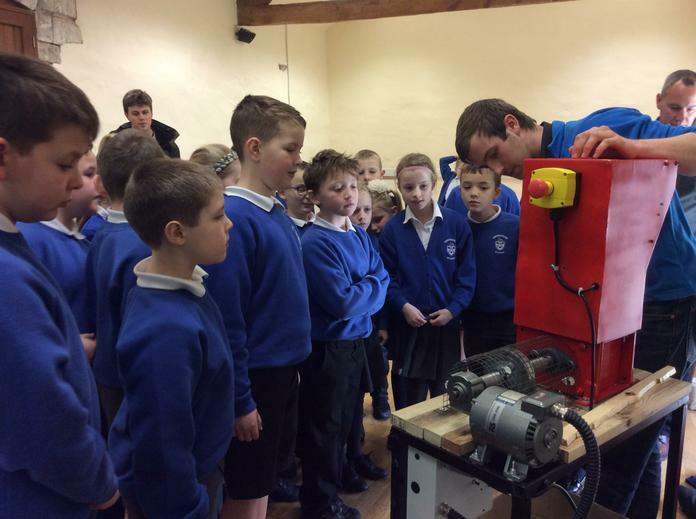 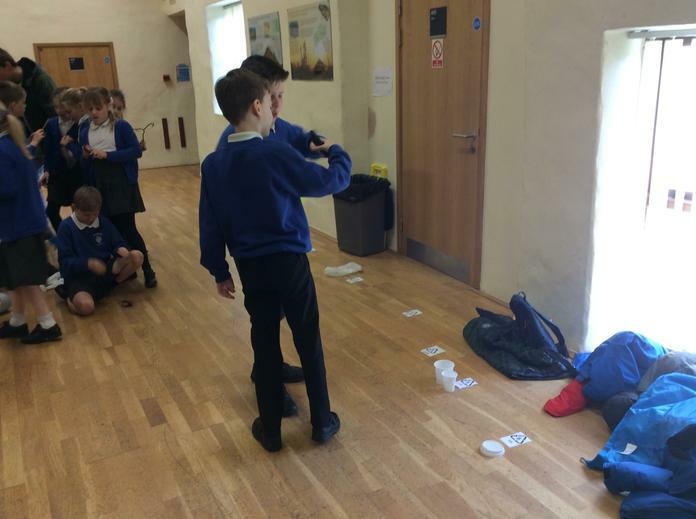 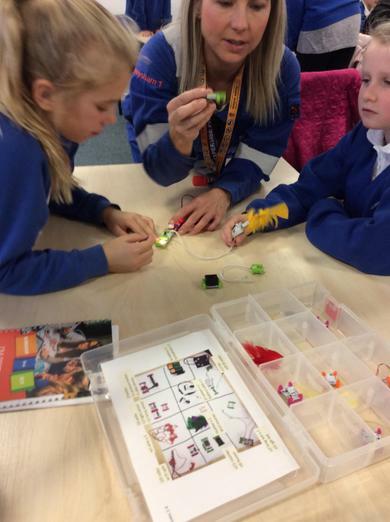 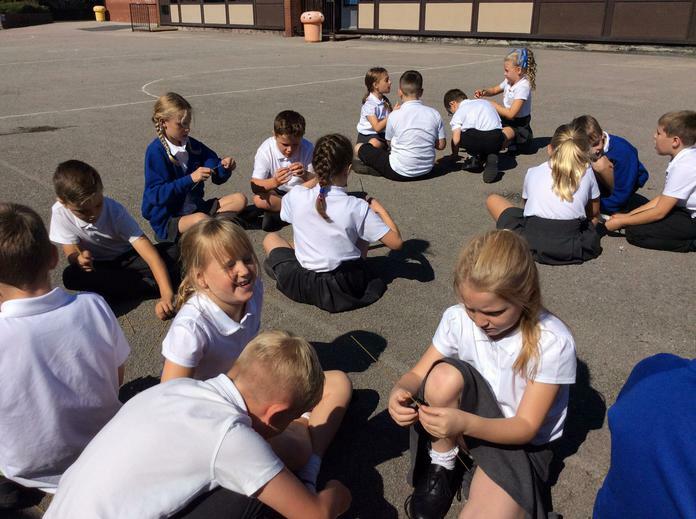 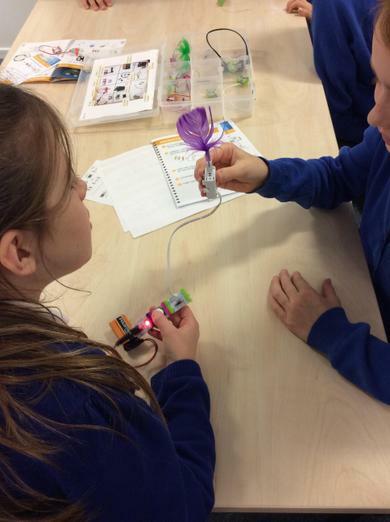 The children learned about what exactly is electricity, conductors and insulators, how electricity is generated and even 'made' their own electricity. 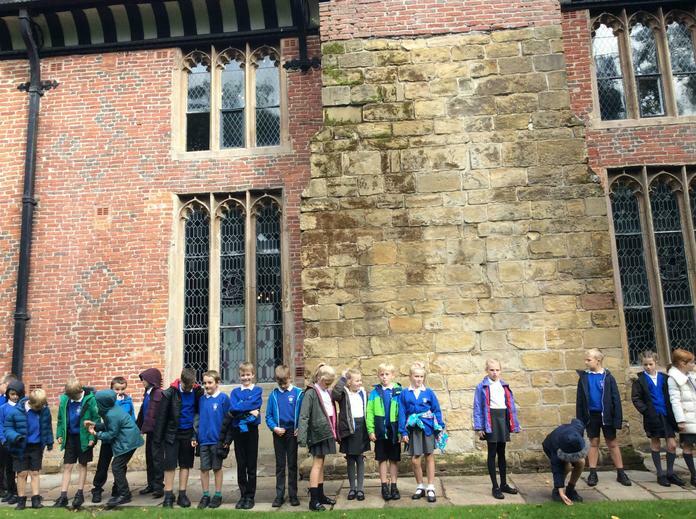 We have been looking at Tudor buildings and how these have been constructed. 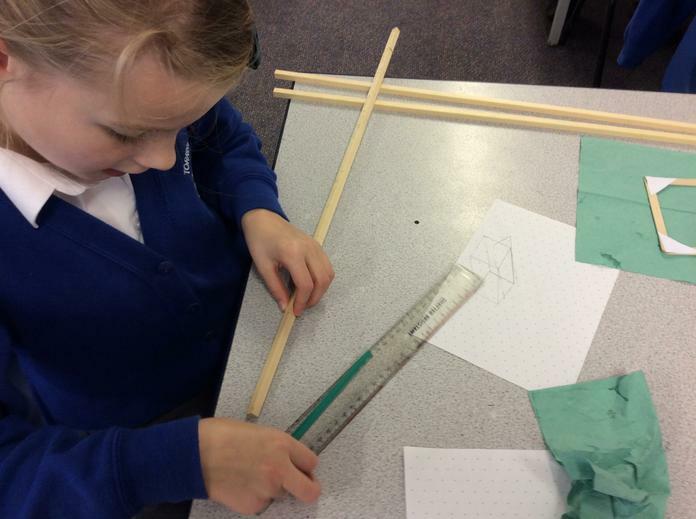 Using these ideas, we have designed and are constructing our own buildings. 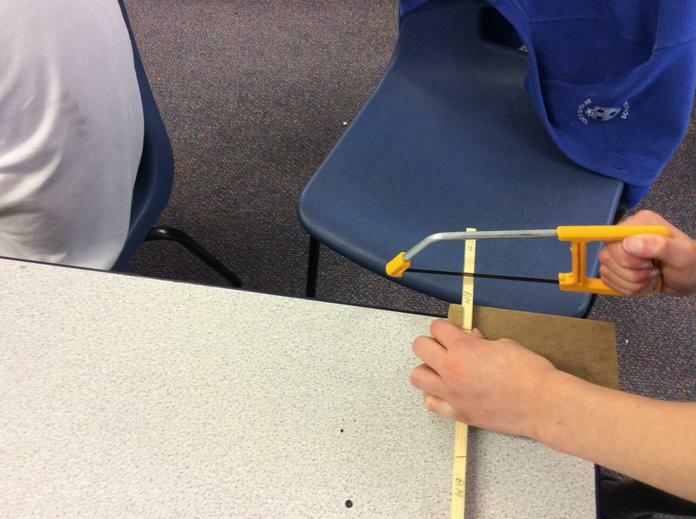 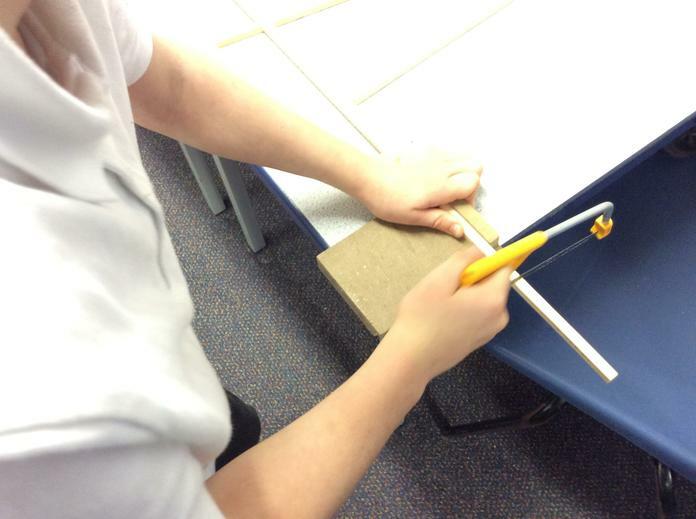 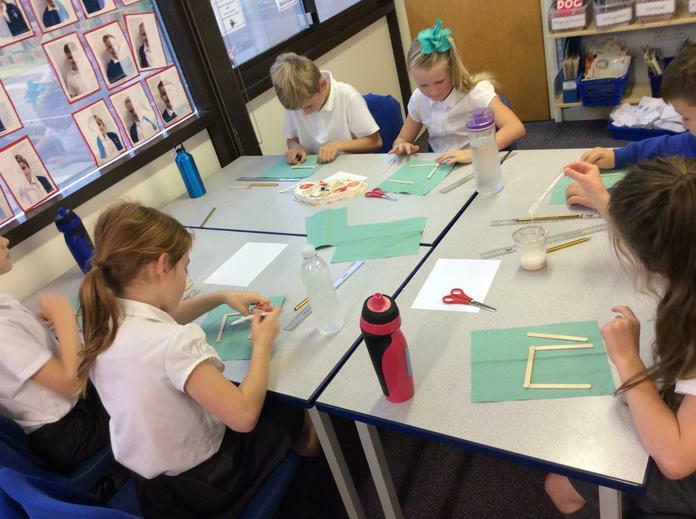 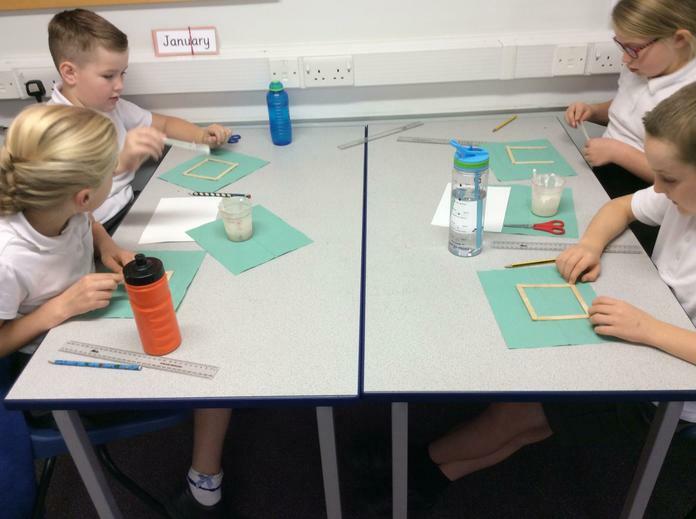 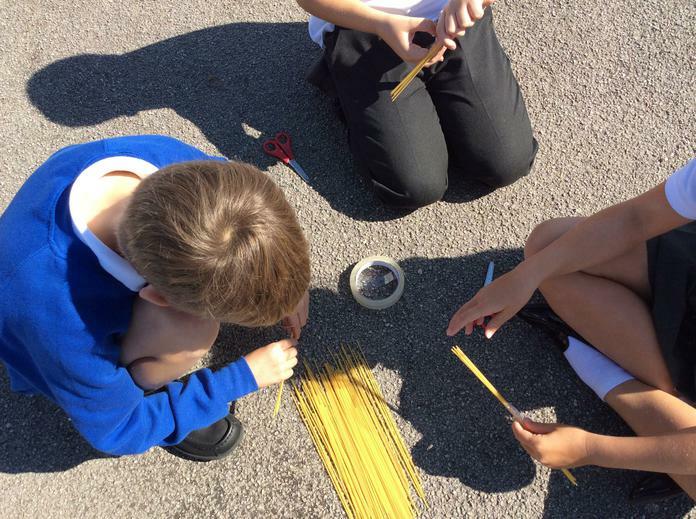 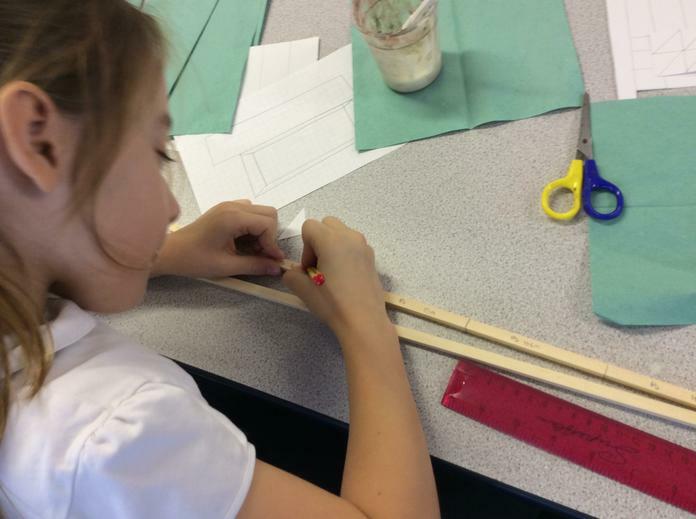 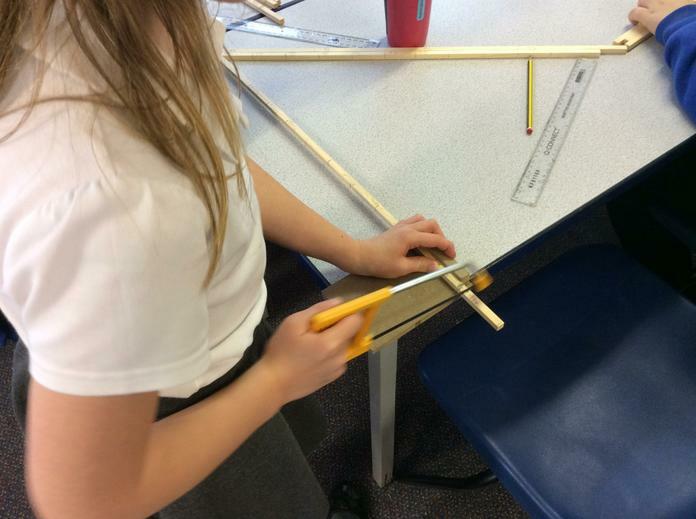 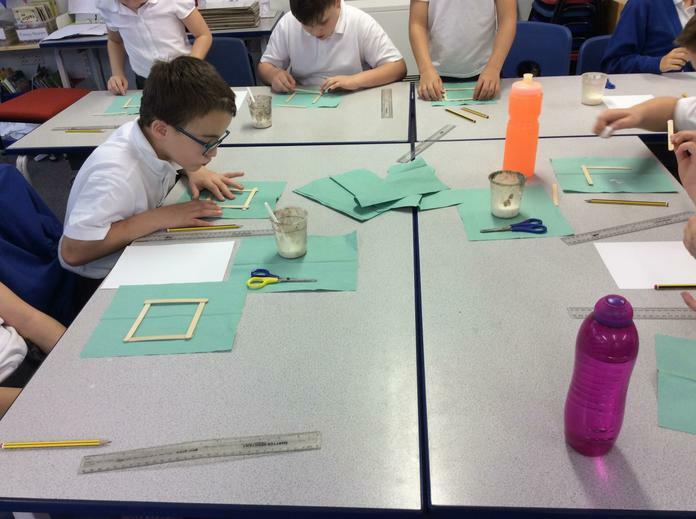 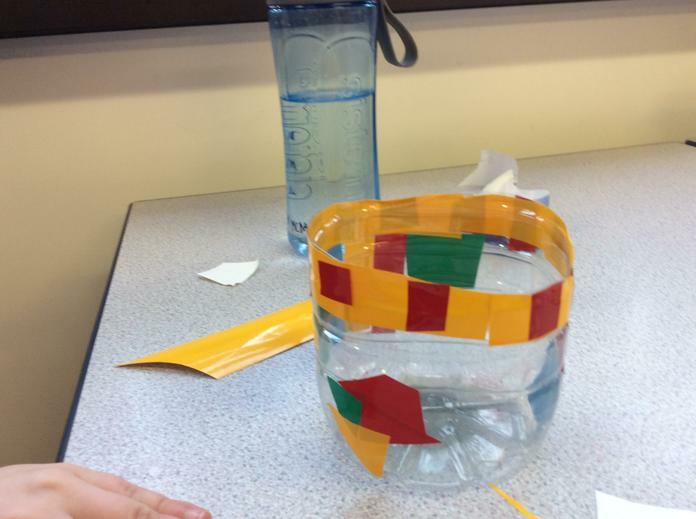 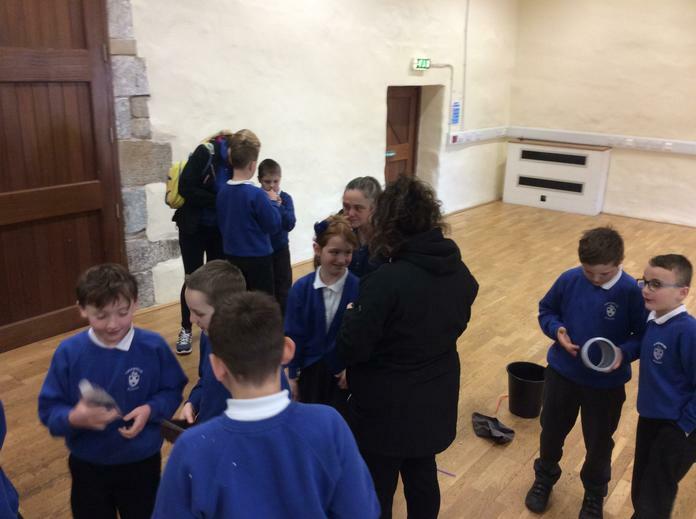 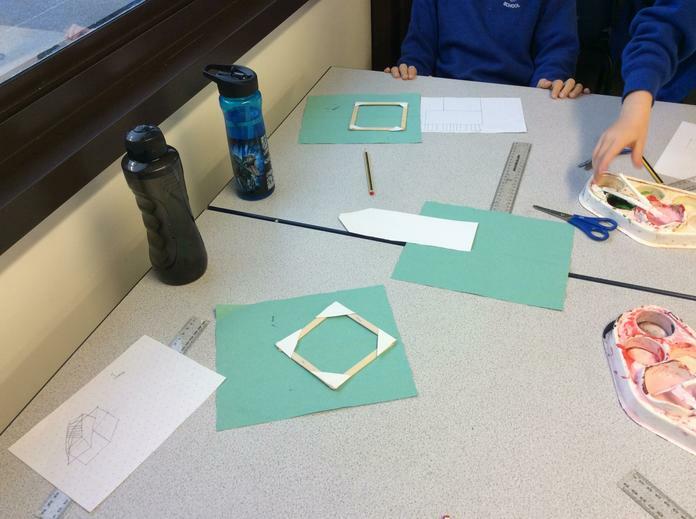 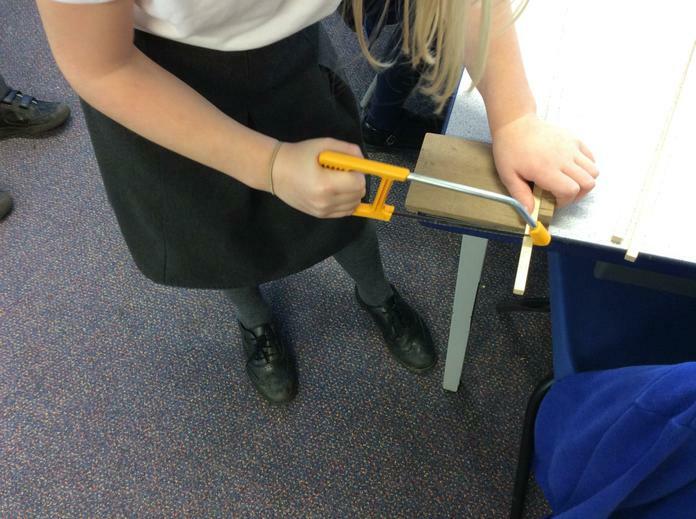 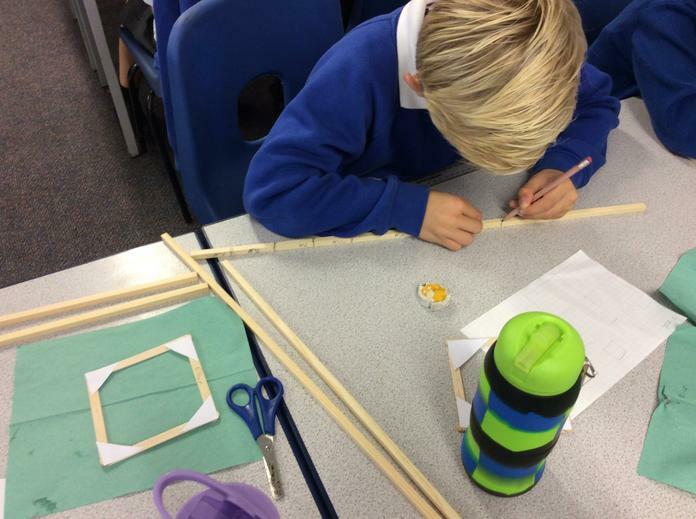 We have looked at existing buildings, investigated joining and strengthening techniques, looked at how to get the maximum number of 'parts' from a limited amount of materials and begun to construct our dwellings. 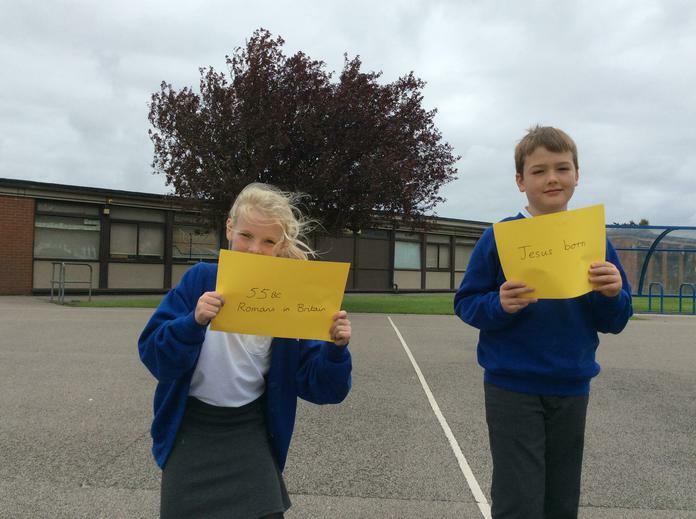 A huge well done to all of the children who entered into Mrs. Price's story competition. 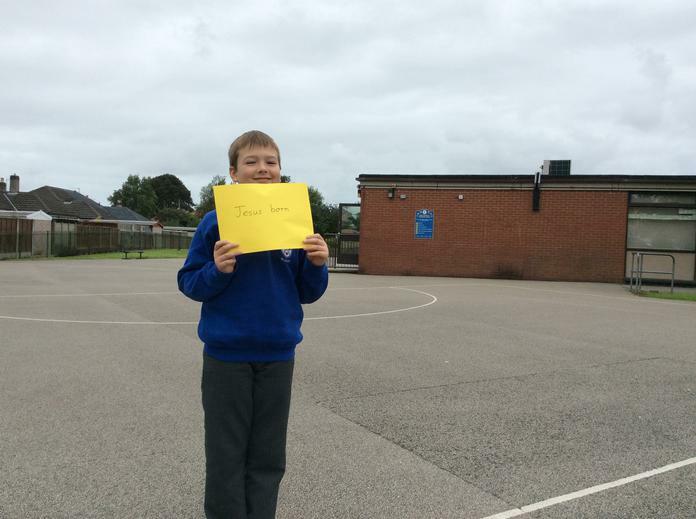 We had a large number of entries from this class. 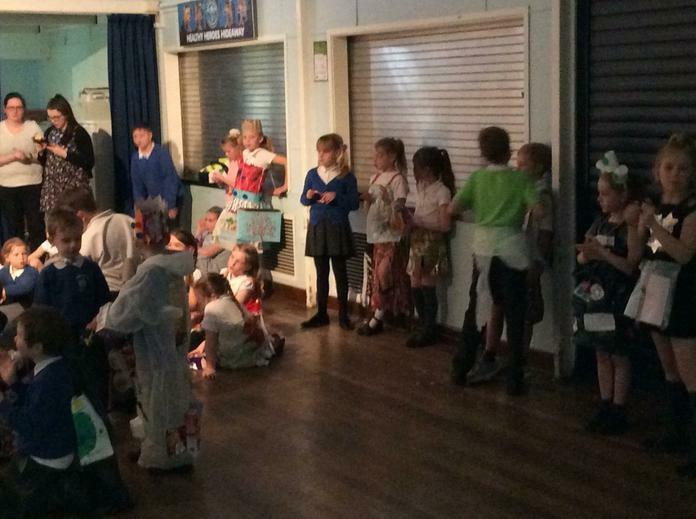 The judging was not an easy task. 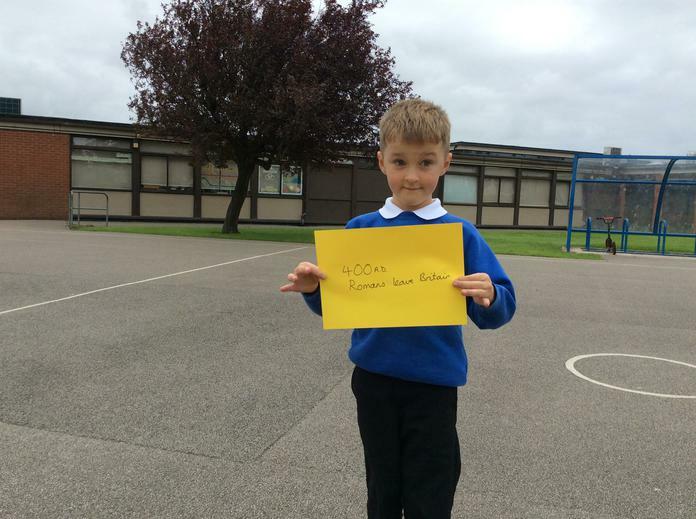 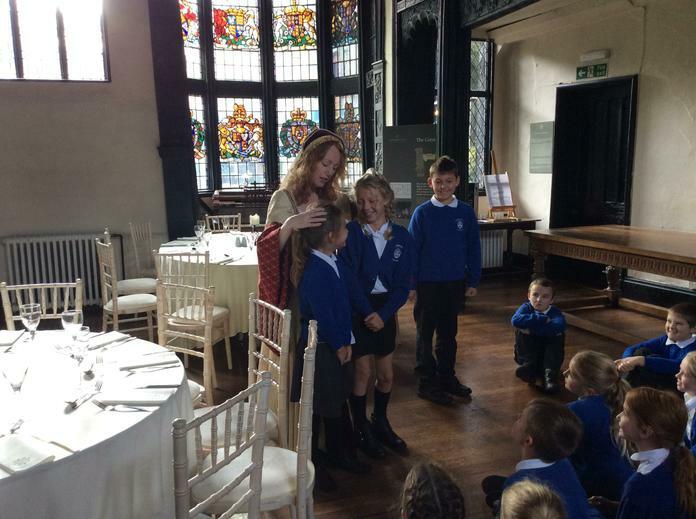 However, congratulations to the winner, Eve Pearson, with a great story entitled - The Not So Scary Ghost. 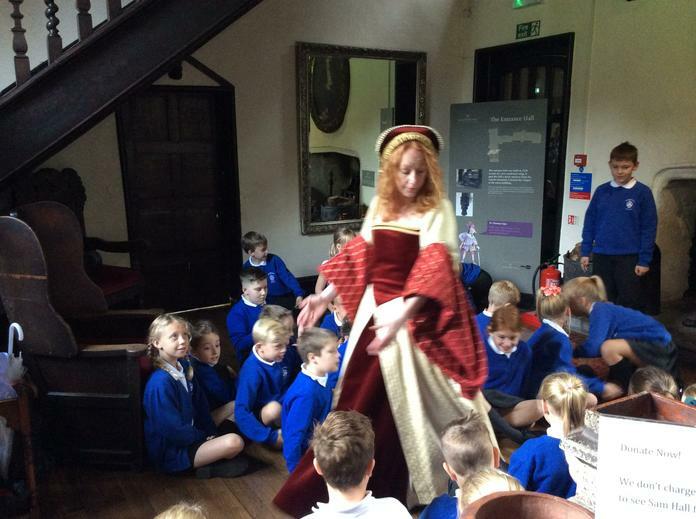 In 1588, the Spanish sent their Armada (navy) in an attempt to invade England. 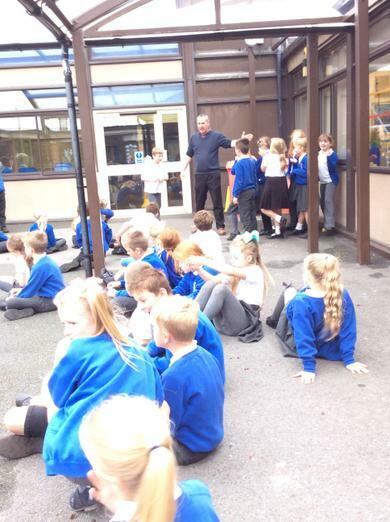 We looked at: causes of this event, what happened during the Armada itself and consequences of this event. 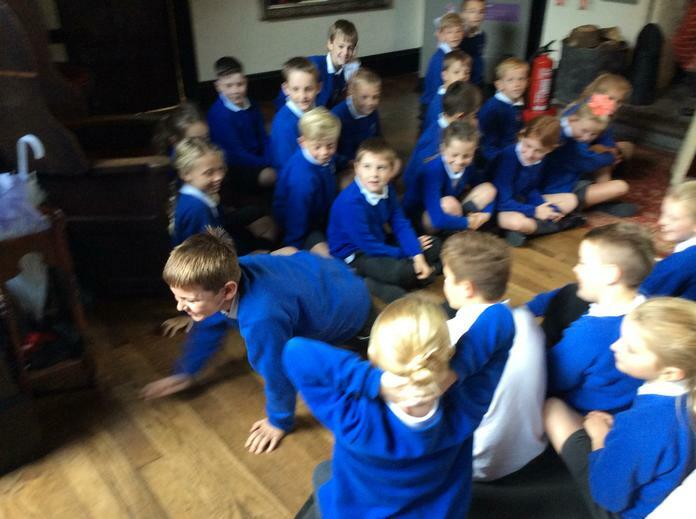 We enjoyed acting it out! 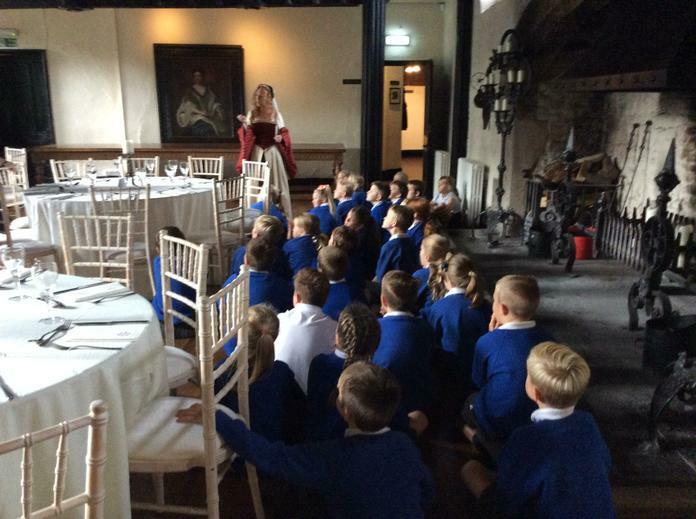 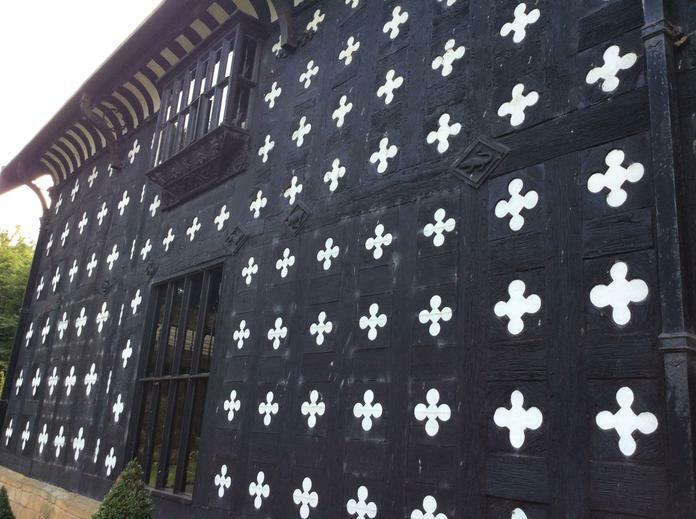 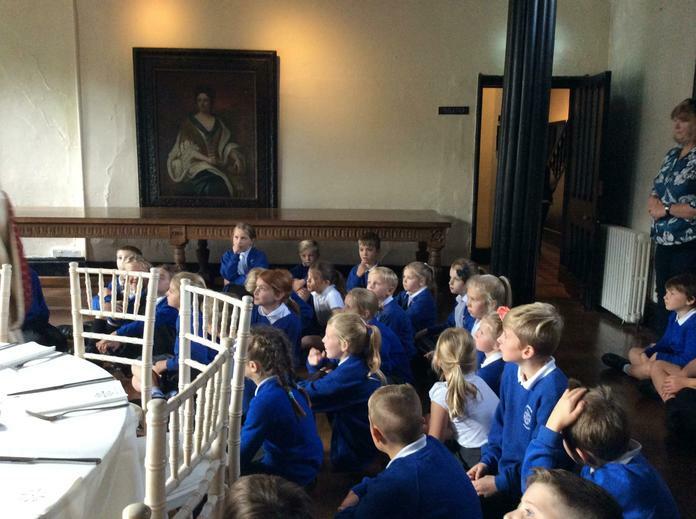 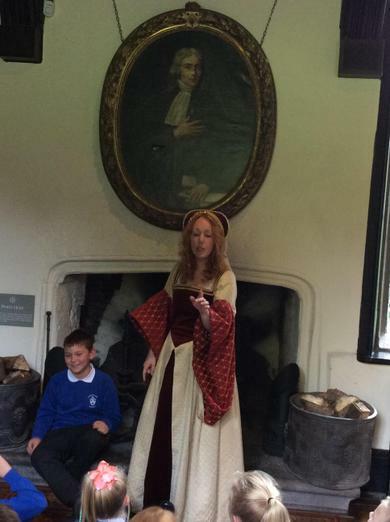 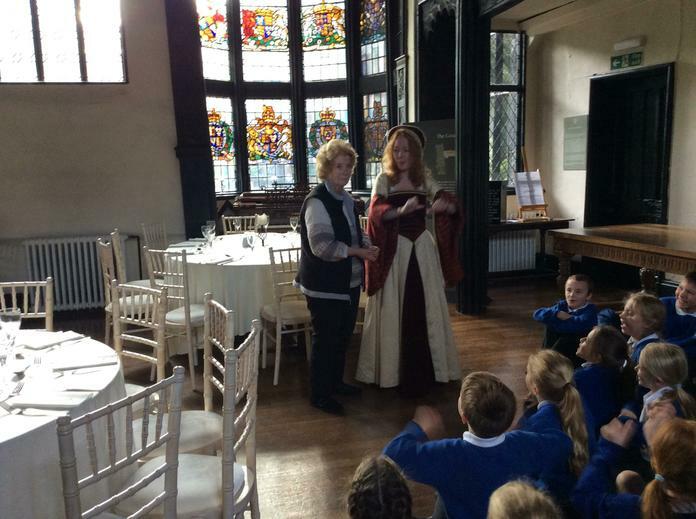 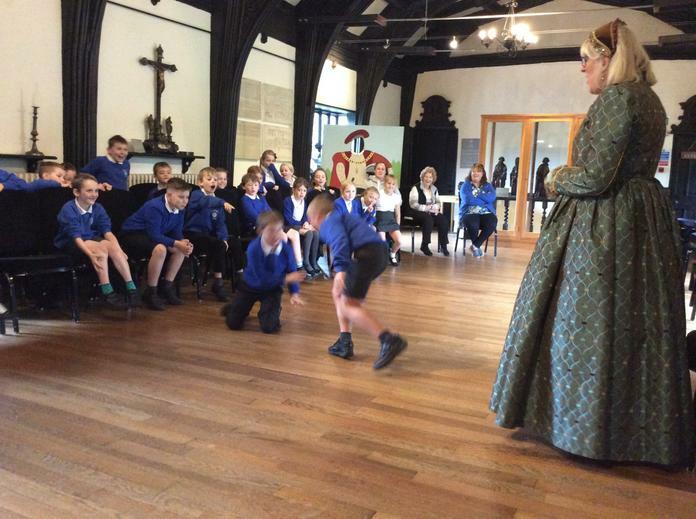 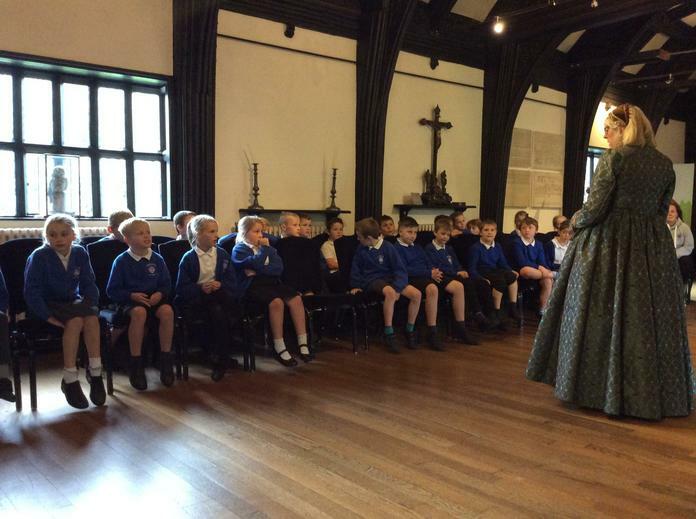 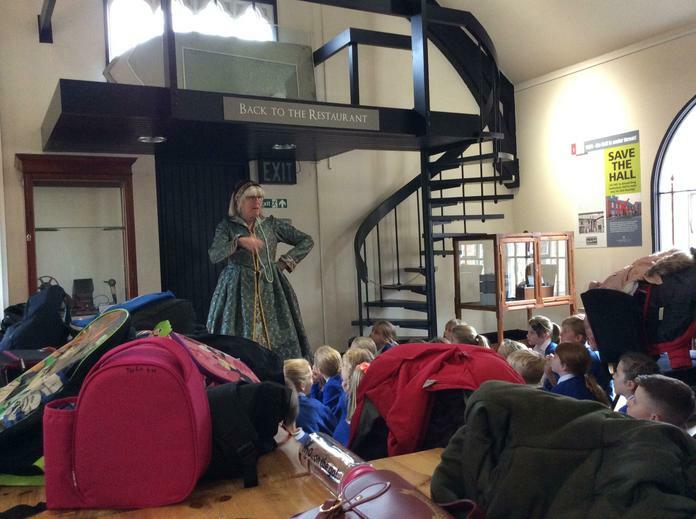 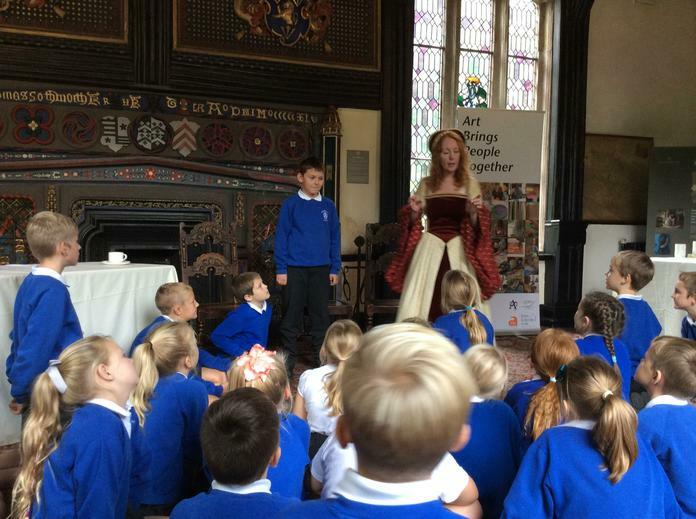 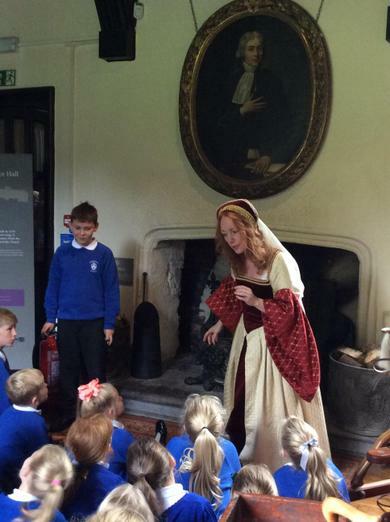 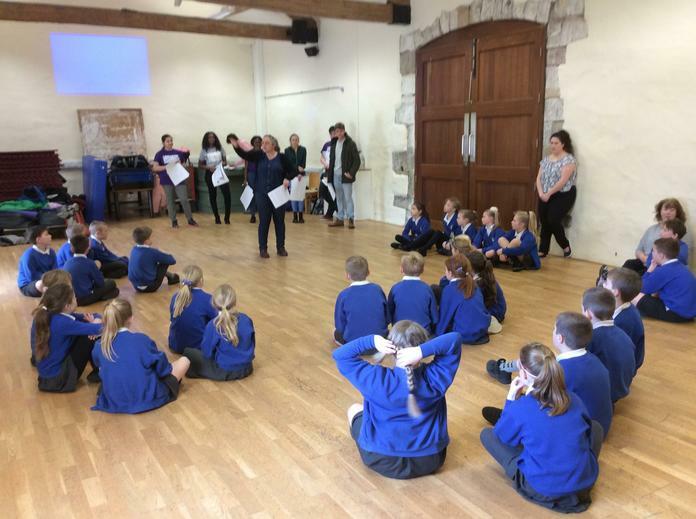 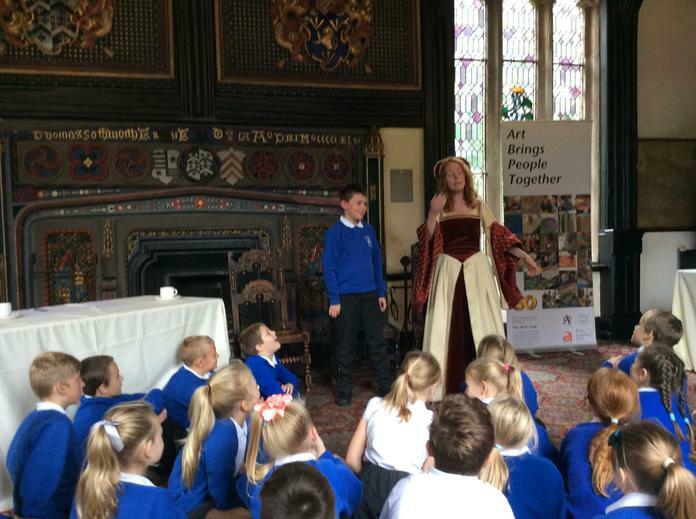 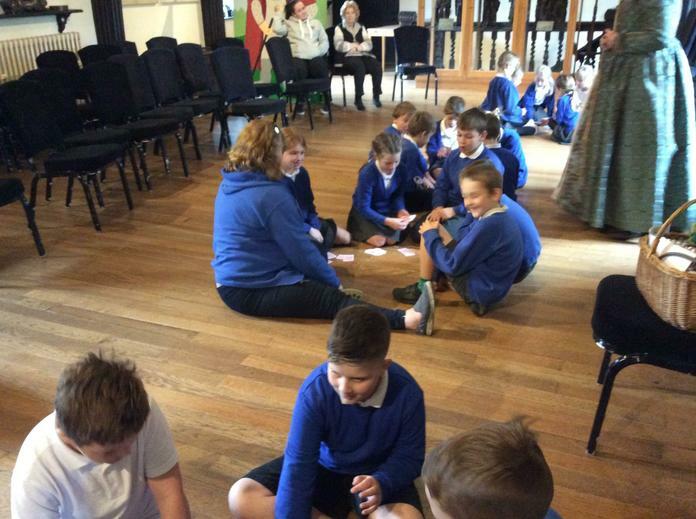 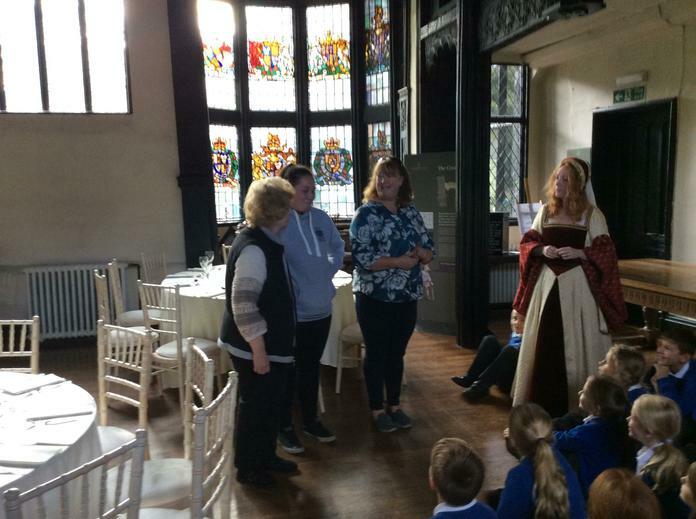 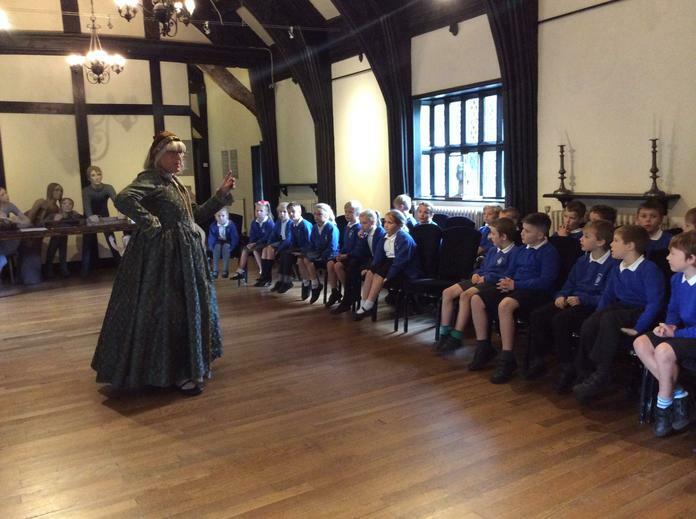 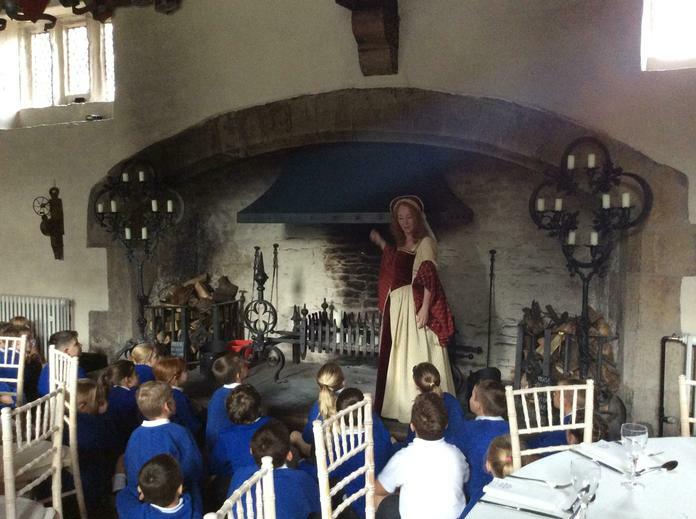 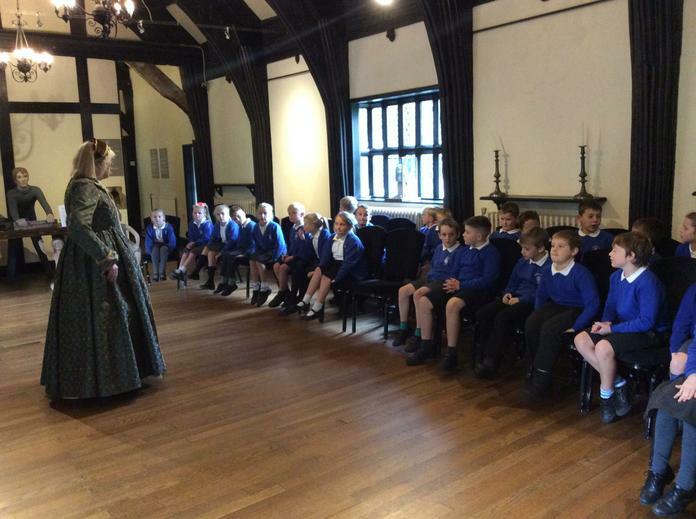 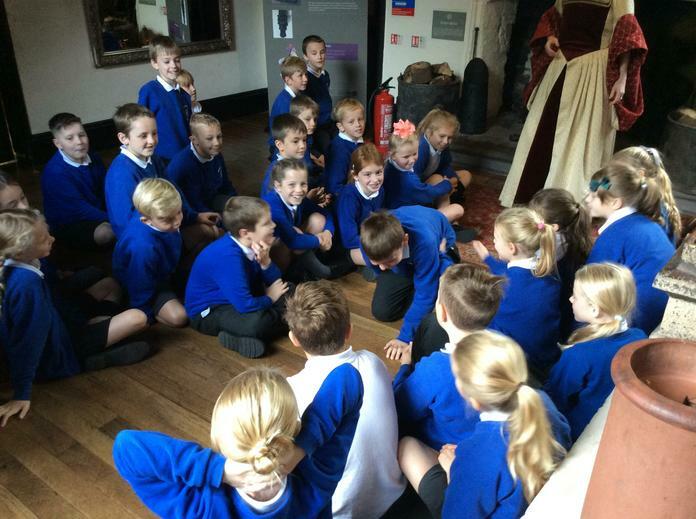 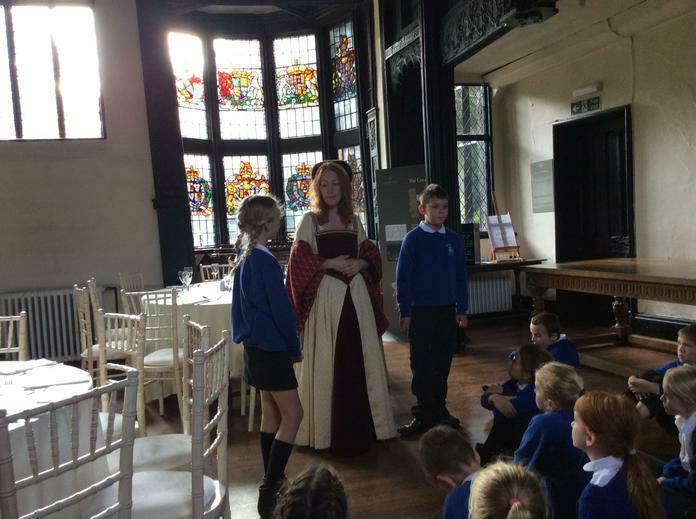 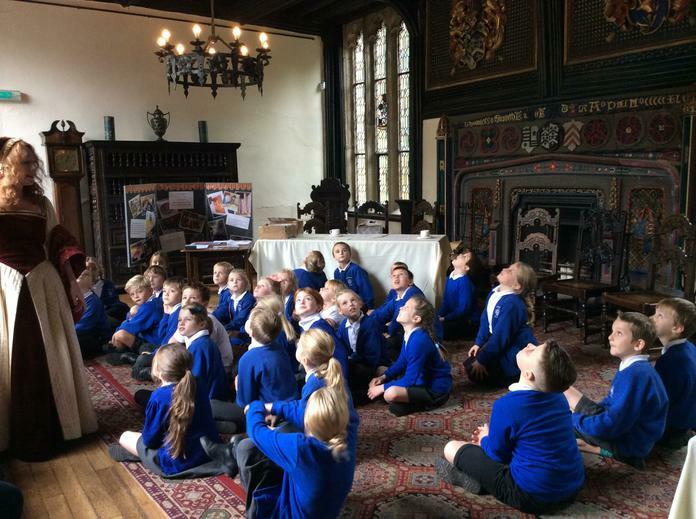 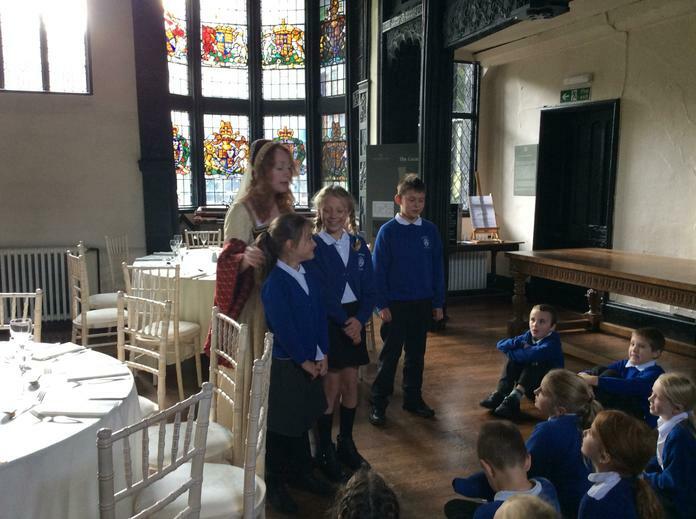 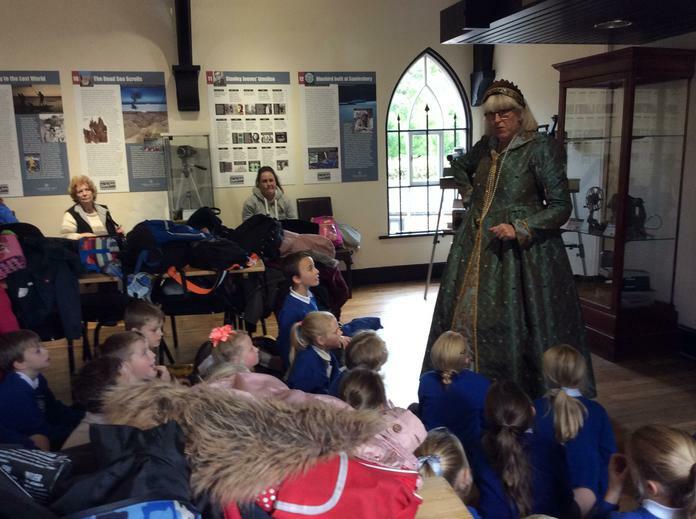 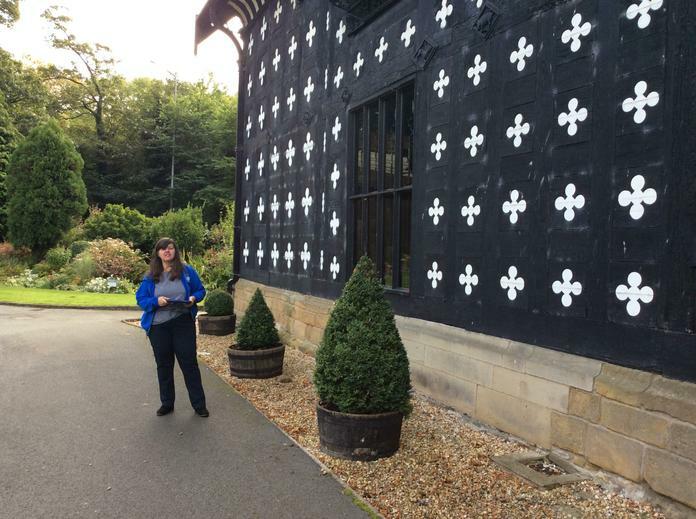 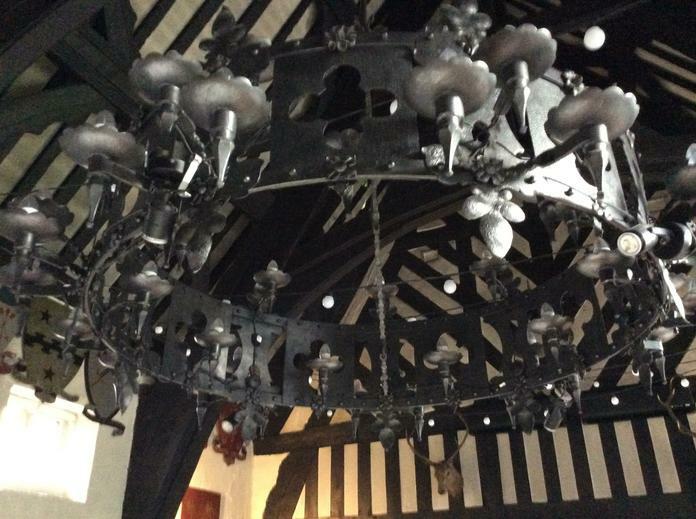 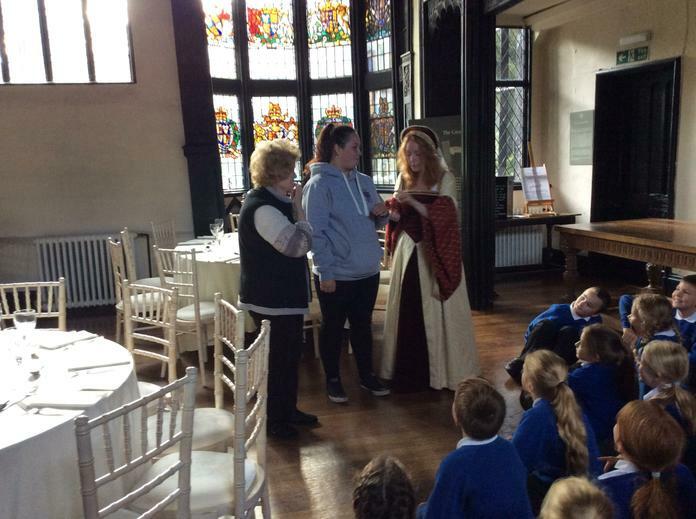 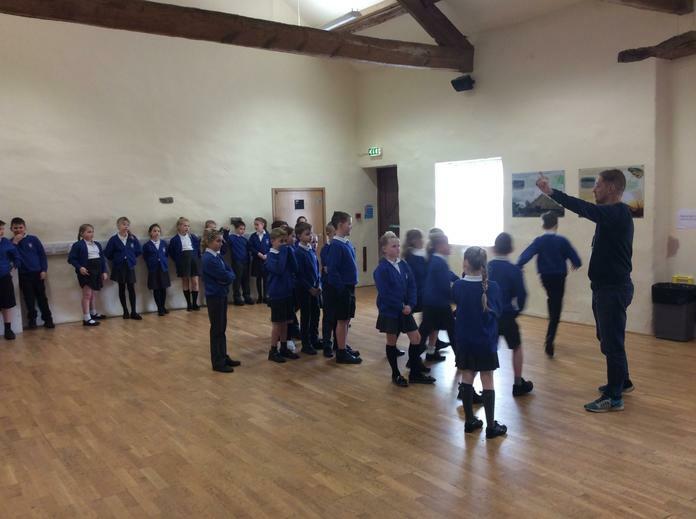 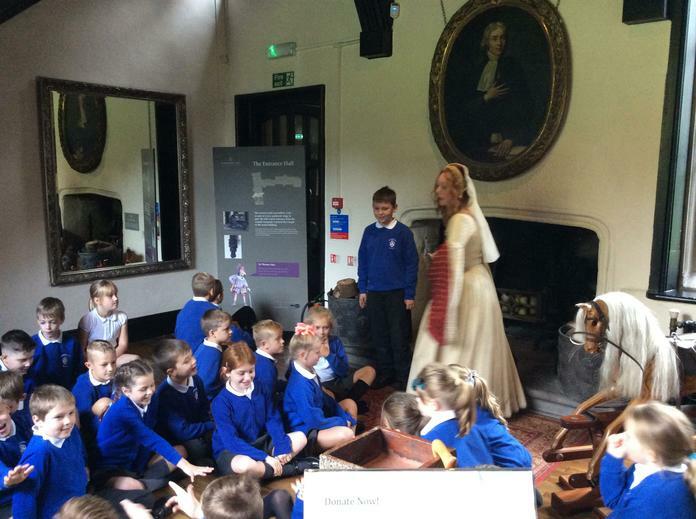 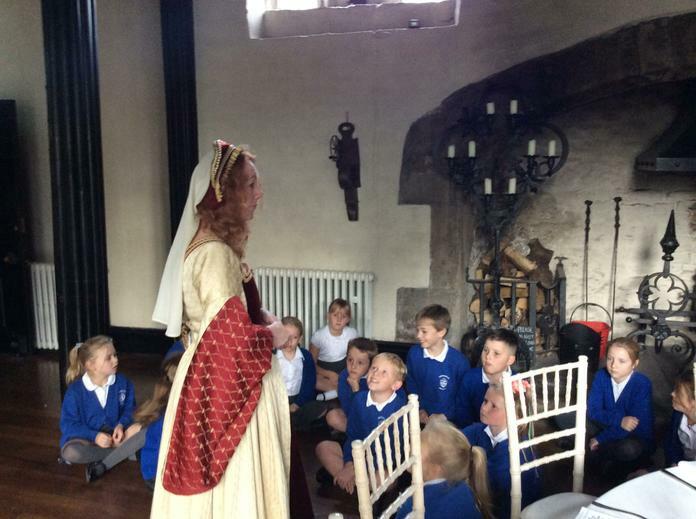 As part of our topic on The Tudors, Monday 1st October 2018 saw us go on a trip to the Tudor mansion of Samlesbury Hall. 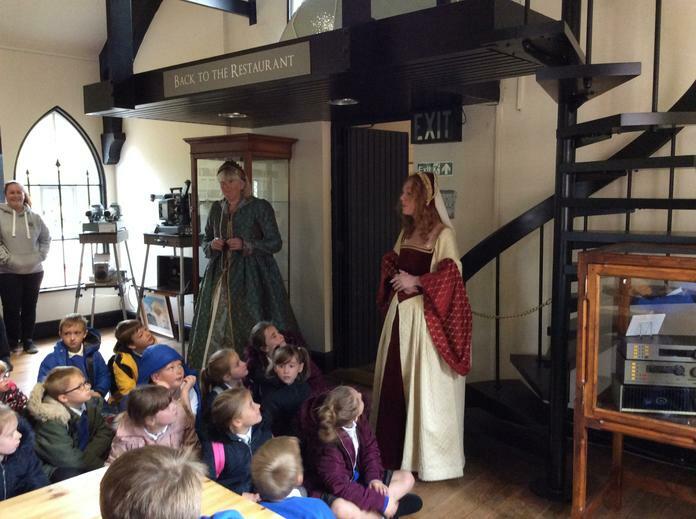 We were met by Mistress Marjorie Southwell and Goodwife Agnes who were our tour guides for the day. 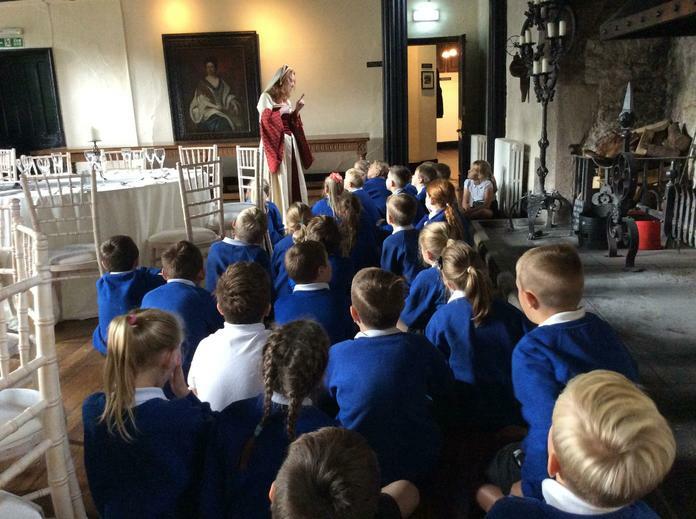 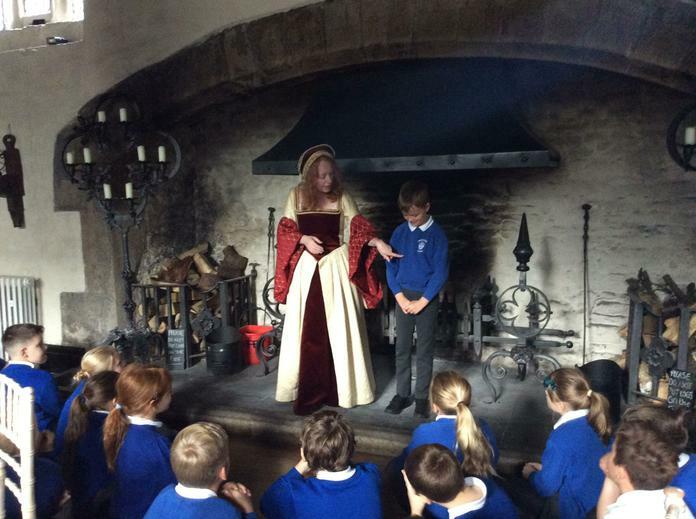 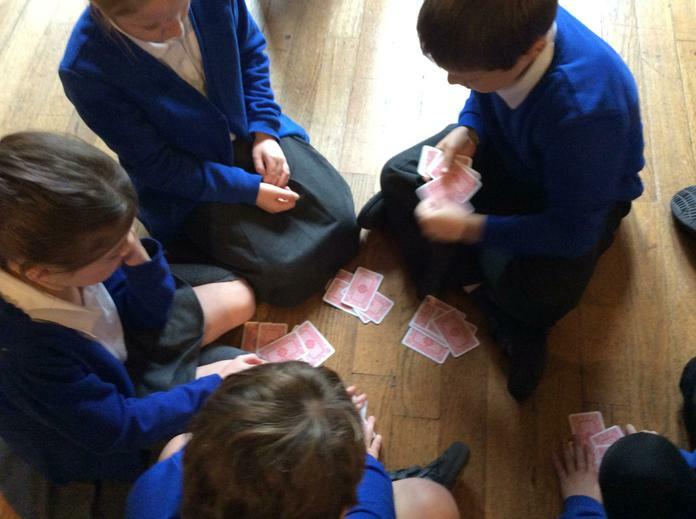 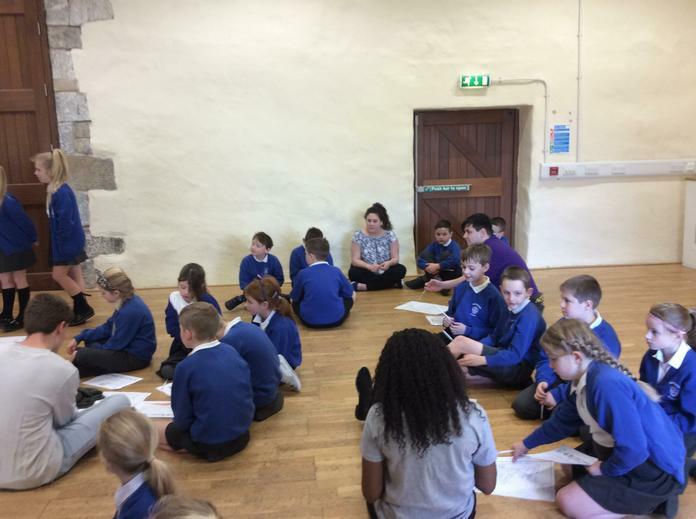 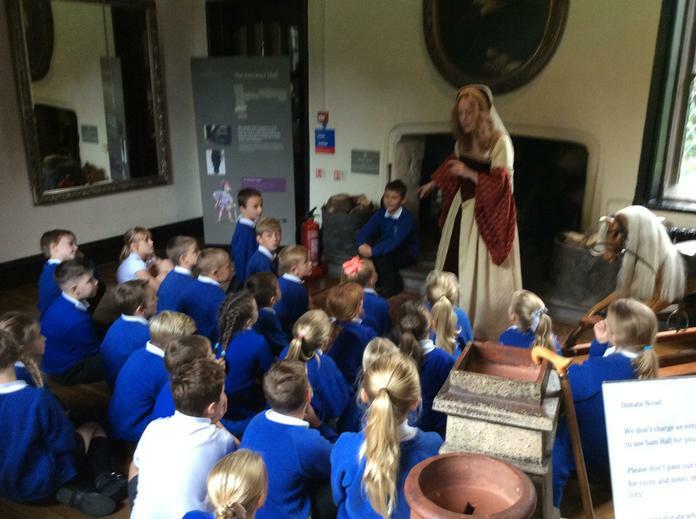 We learned how it must have been like living in Tudor Times for both the wealthy and the peasant classes as well as how difficult it must have been to suddenly change religion. 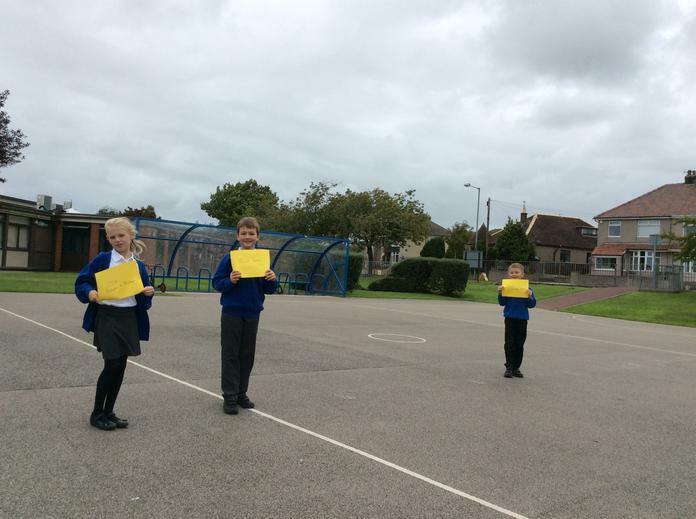 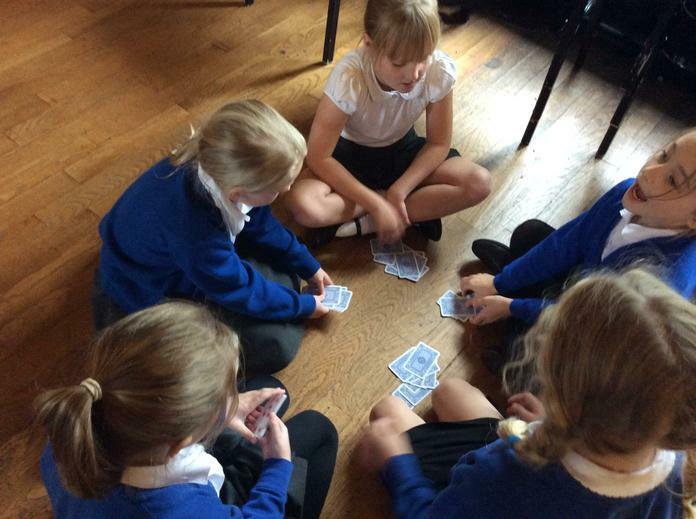 To reinforce our learning and understanding of the concept of rounding, we spent a short while playing some rounding games. 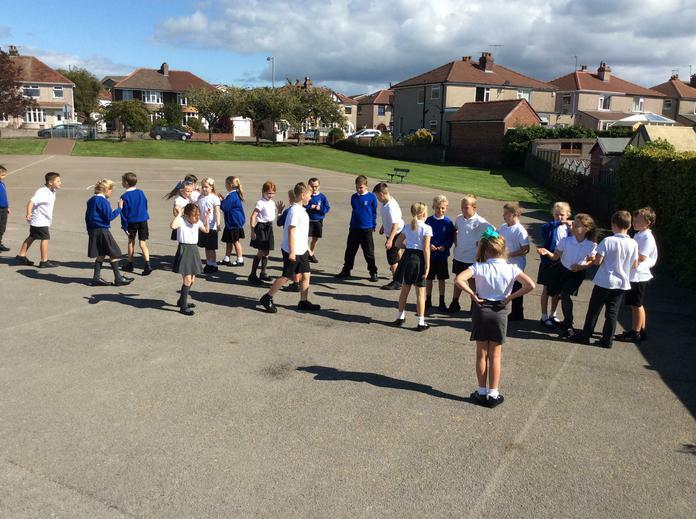 On August 22nd 1485, a battle took place between Richard III and Henry Tudor. 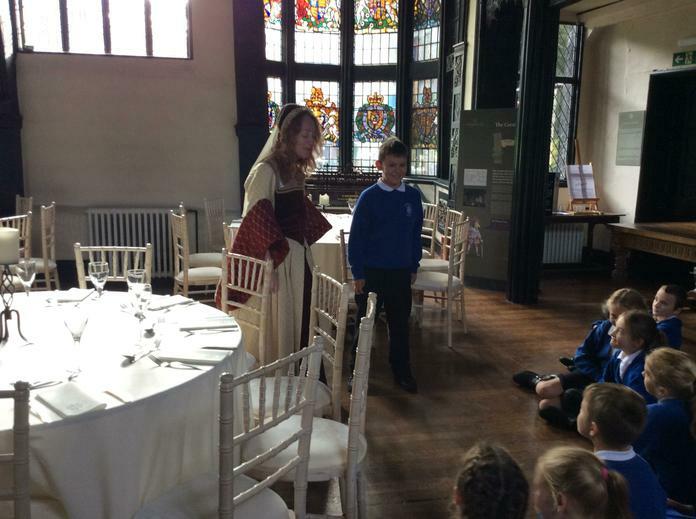 The battle resulted in a victory for Henry Tudor - who then crowned himself King Henry VII. 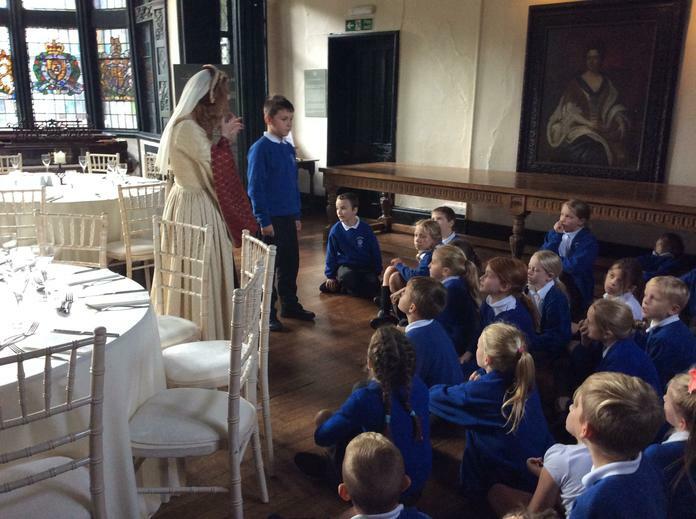 It ended the War of the Roses as Henry went on to marry Elizabeth of York and began a new dynasty in British history. 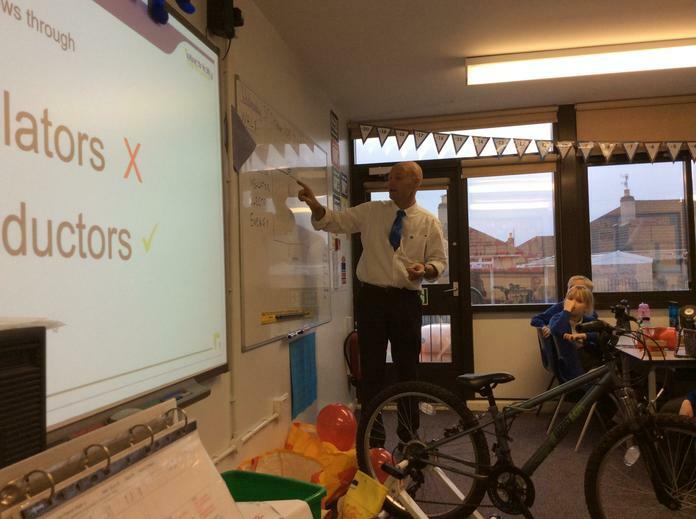 That of.... 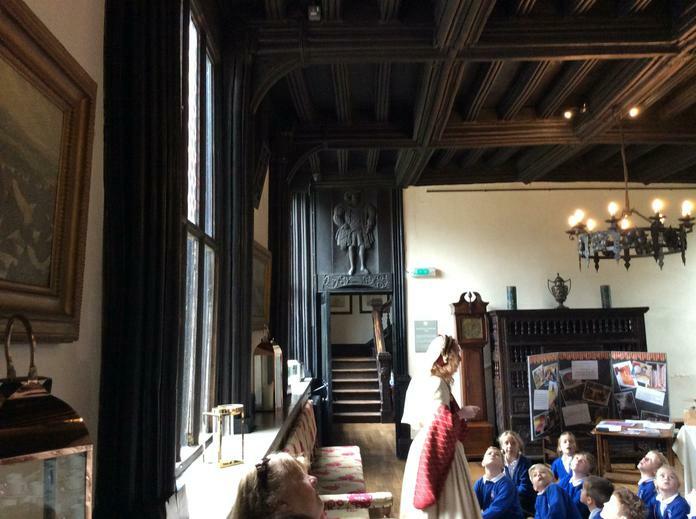 The Tudors!! 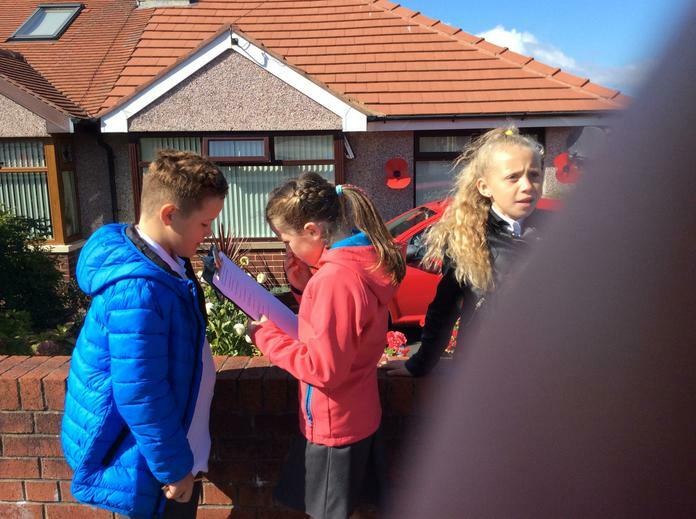 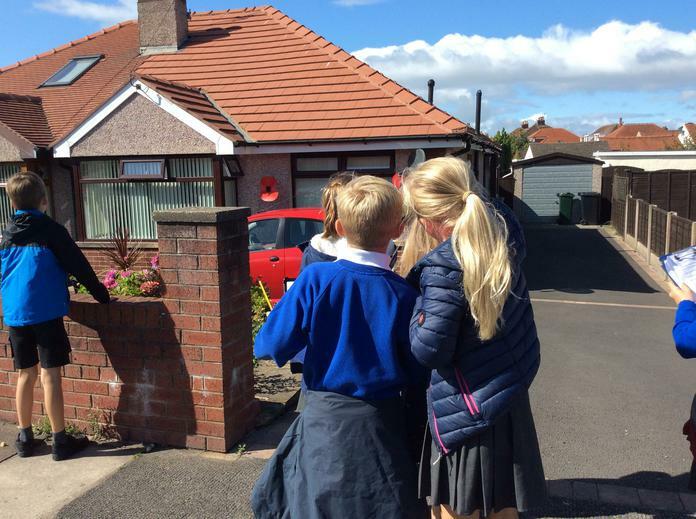 Each week, on a Tuesday, a group of children will be selected to find something that has happened in the news. 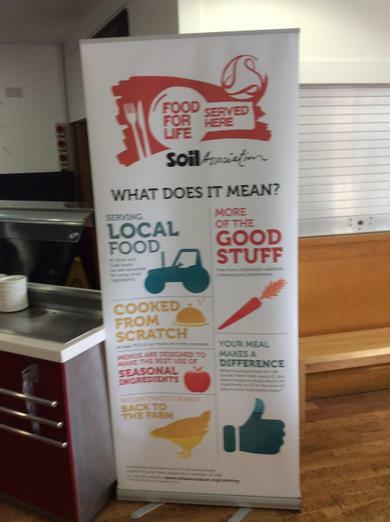 This can be anything from a local to an international level. 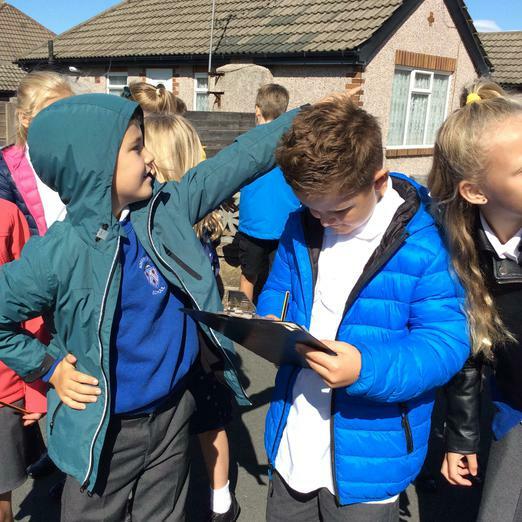 They can find the news from any source. 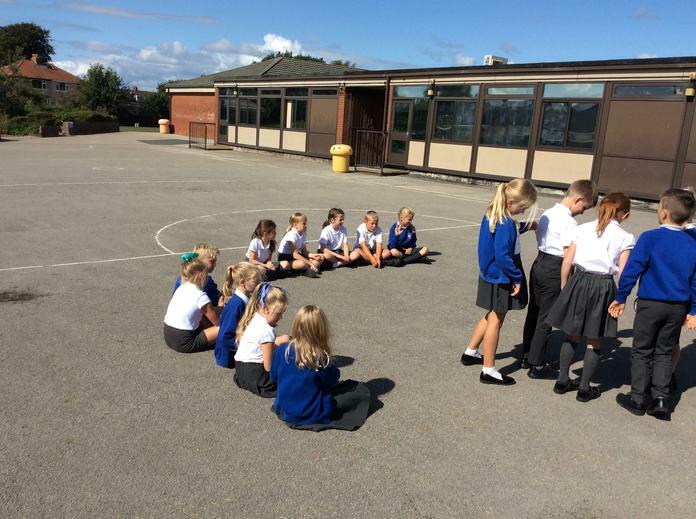 The children will explain their news story to the rest of the class and answer any questions about it. 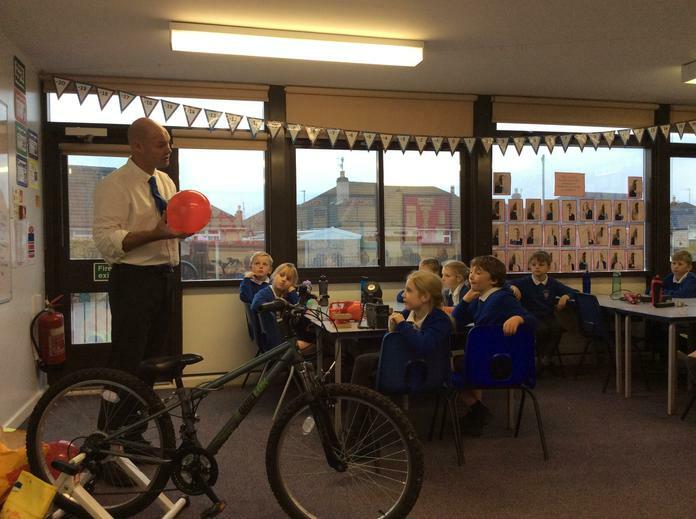 I will have demonstrated this to the children. 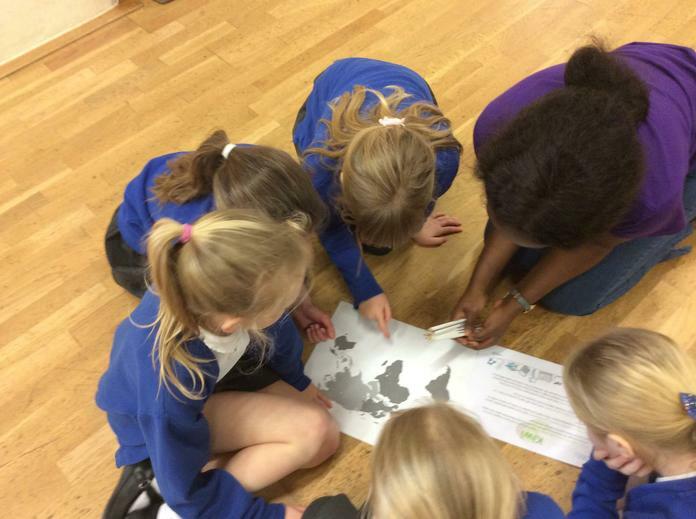 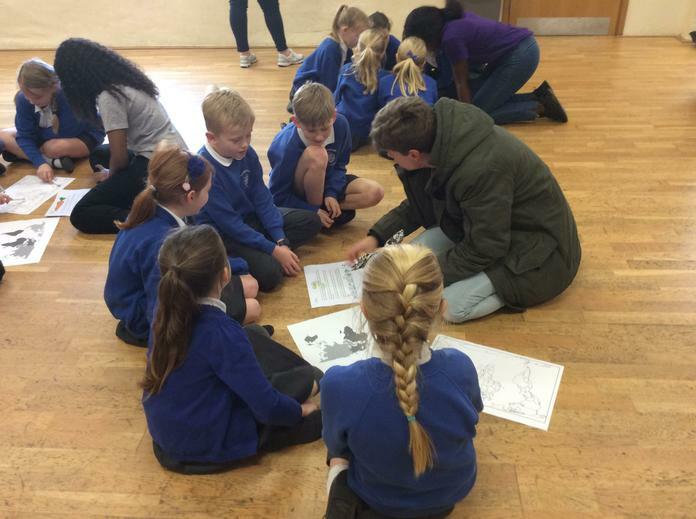 The news can be written down, typed or presented as a powerpoint- the crucial point being the children can talk about it. 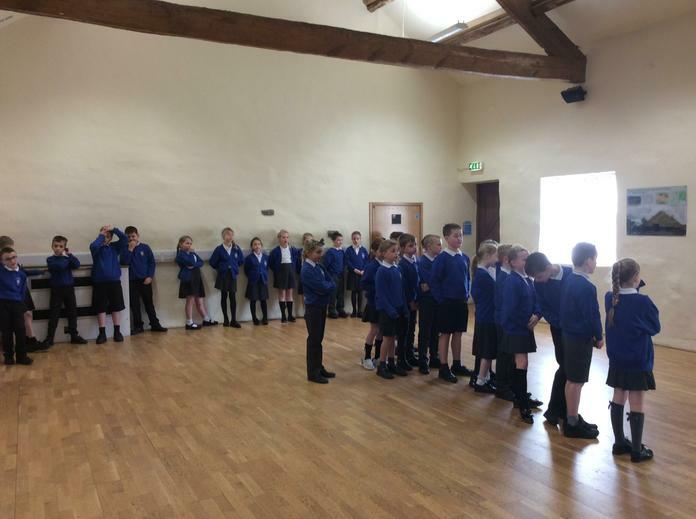 To increase our understanding of chronology, we created a human timeline where each year was represented by a centimetre. 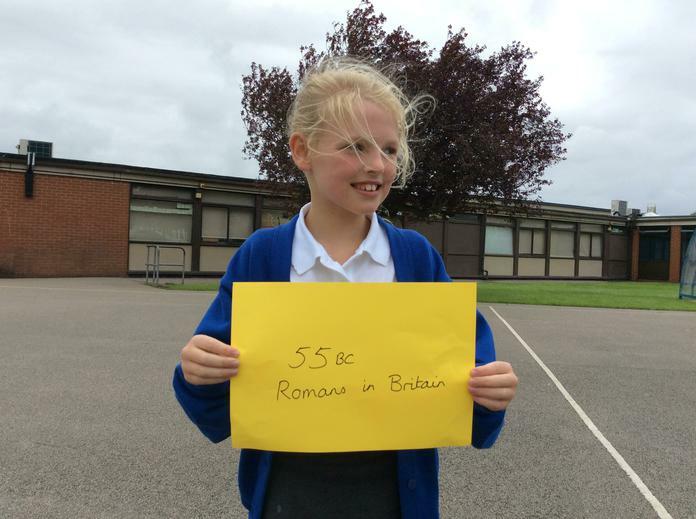 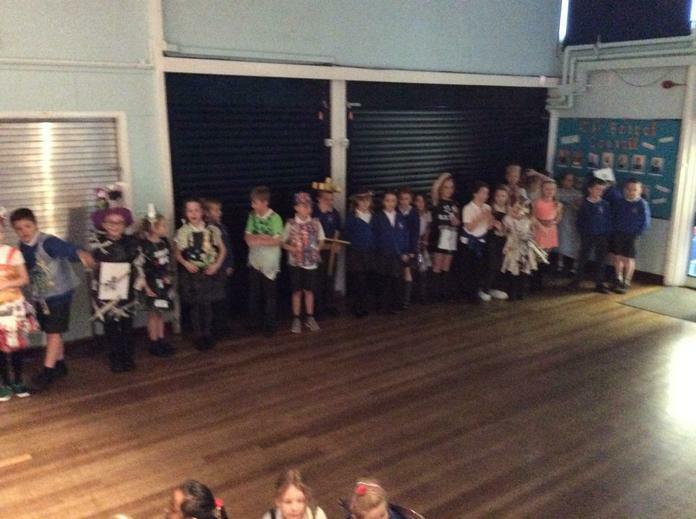 Did you know that the Ancient Egyptians would have started over 50 metres ago on our timeline! 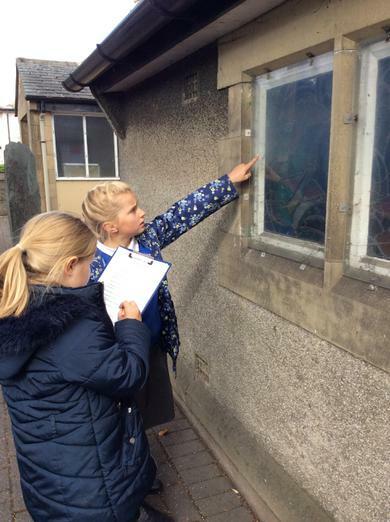 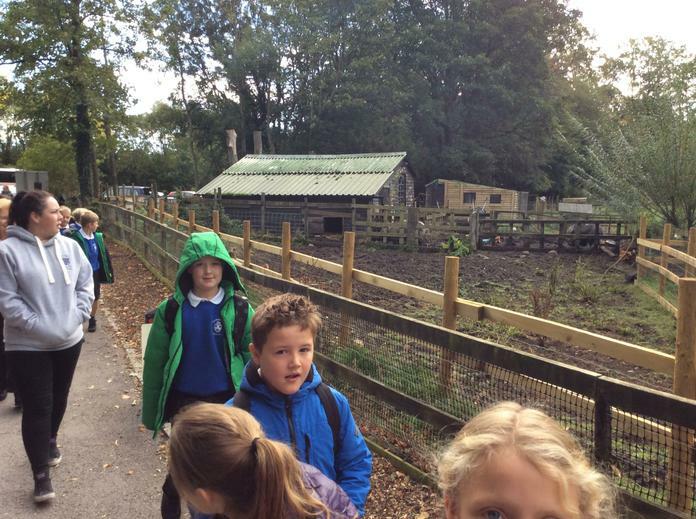 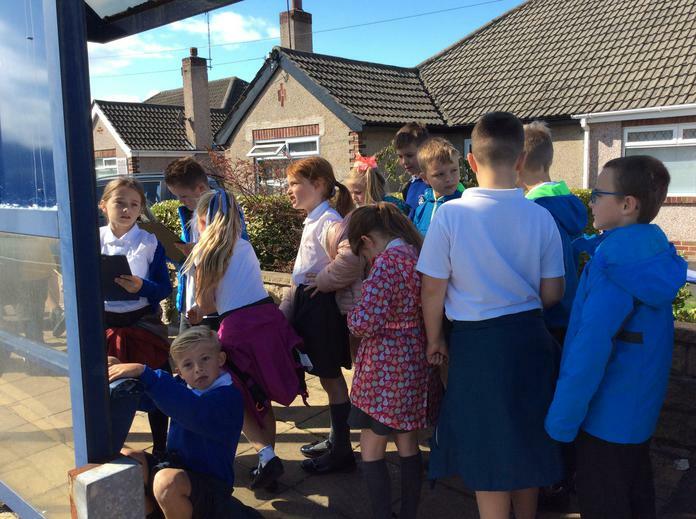 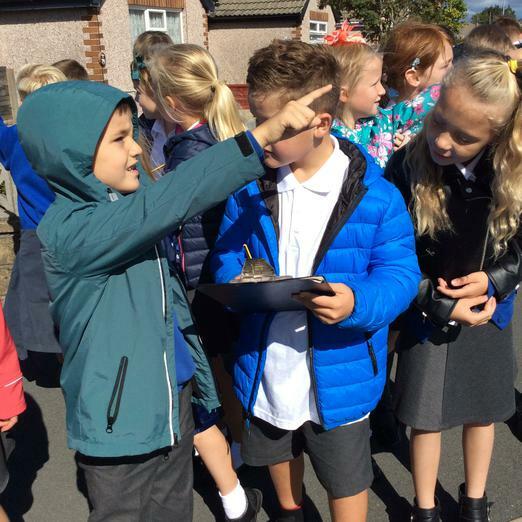 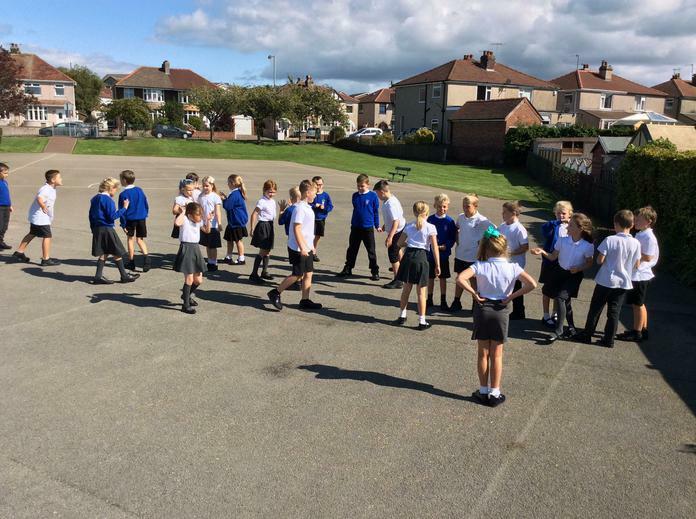 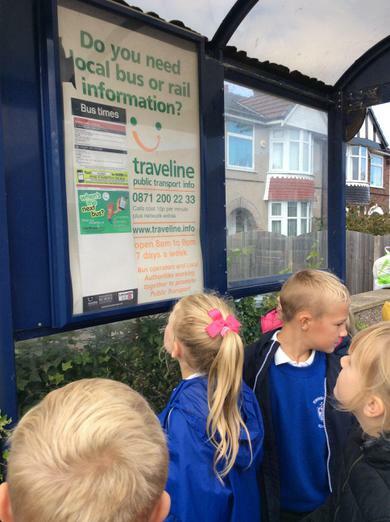 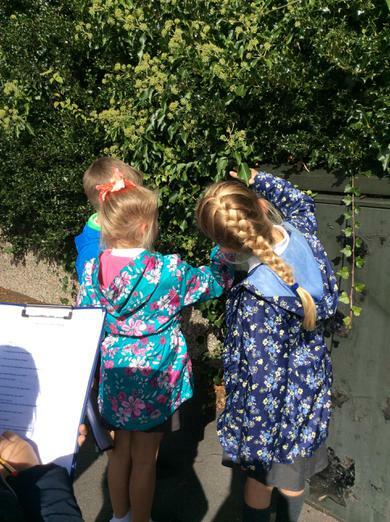 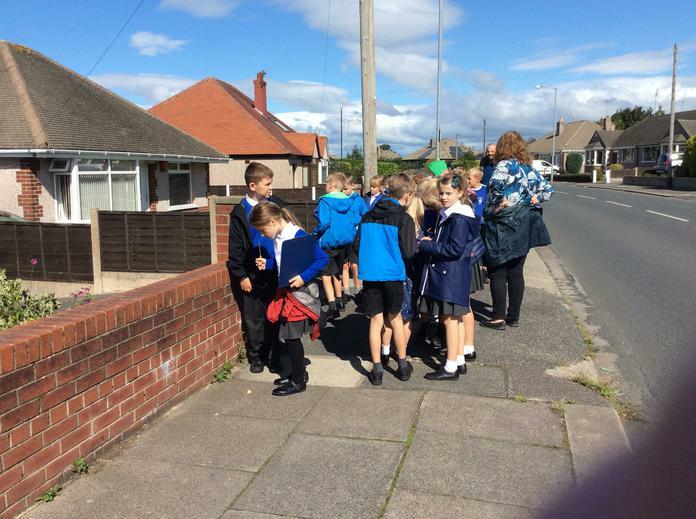 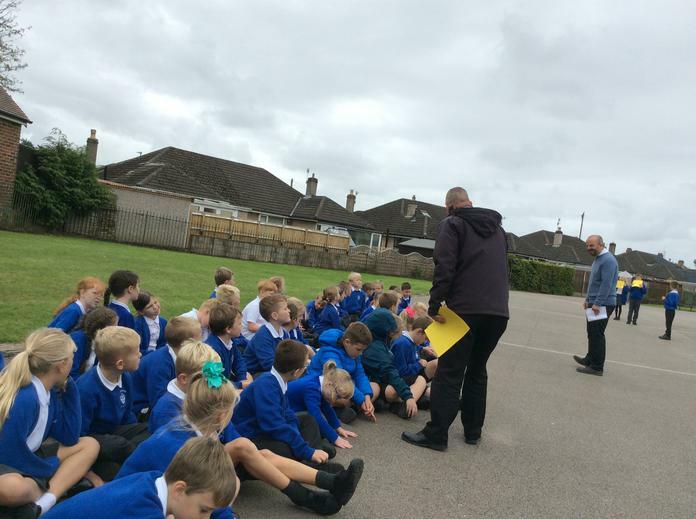 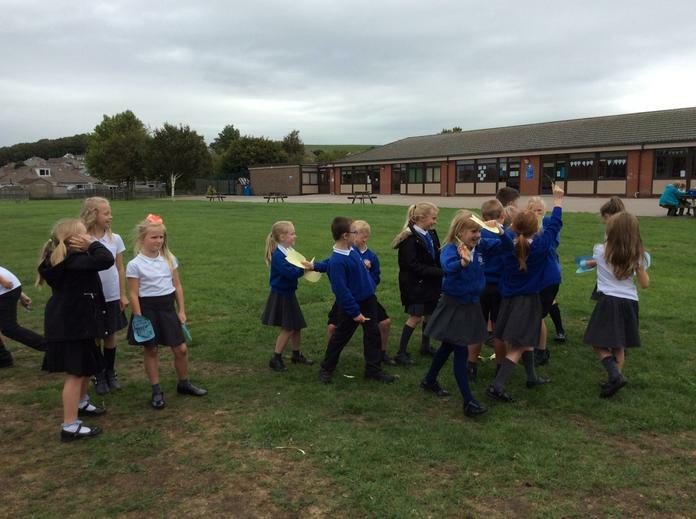 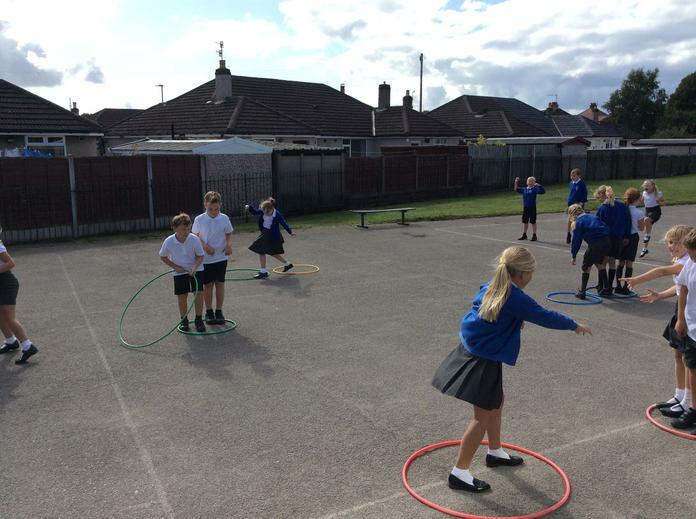 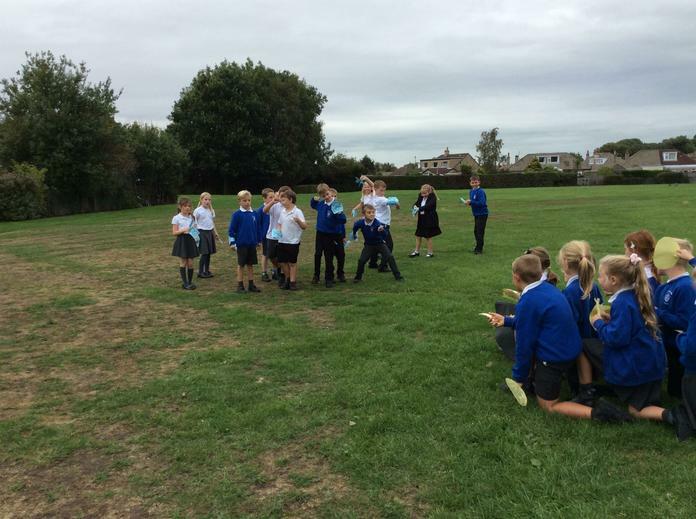 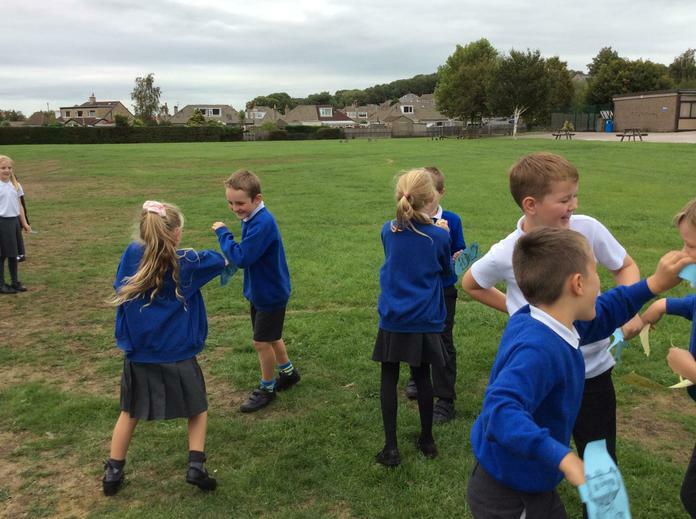 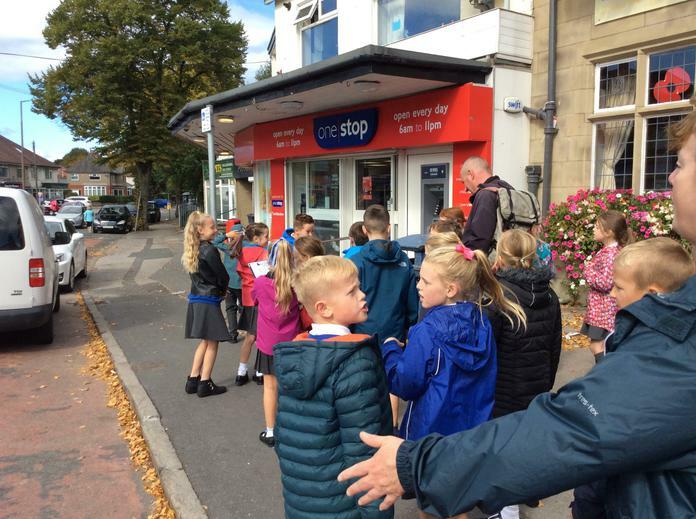 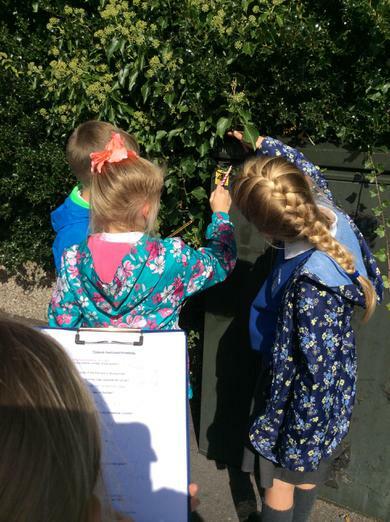 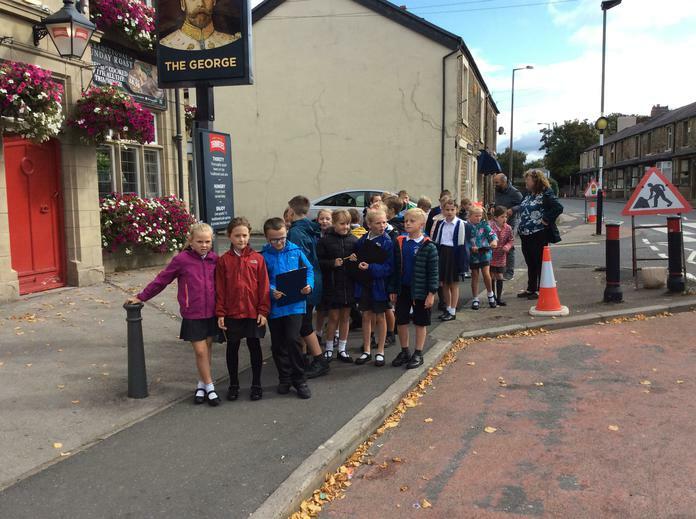 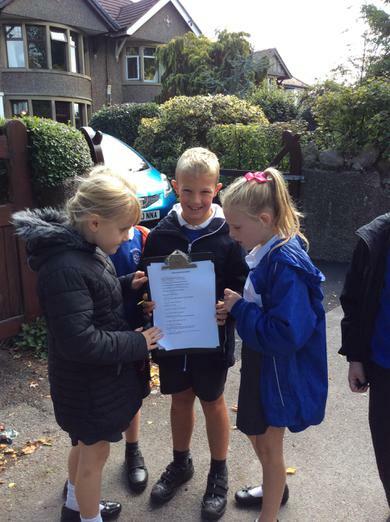 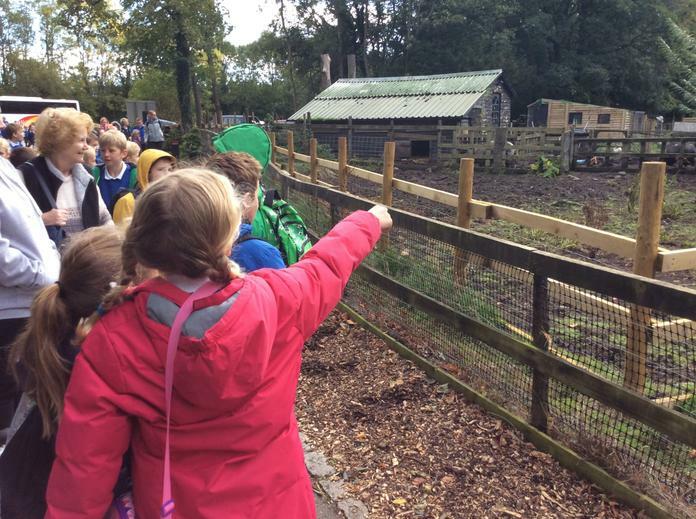 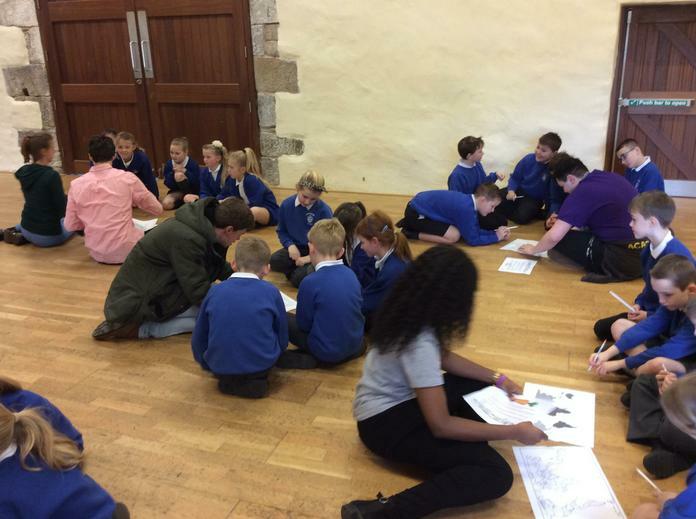 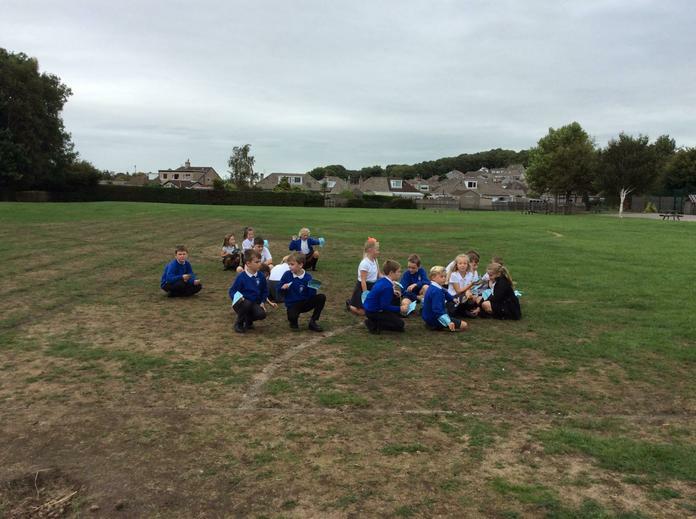 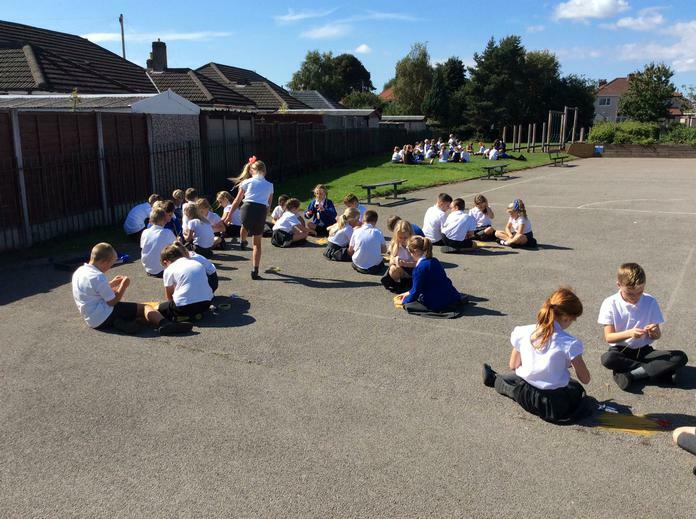 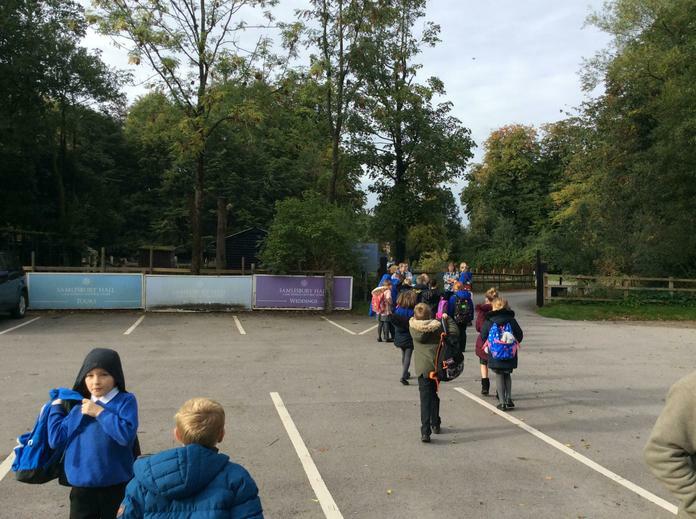 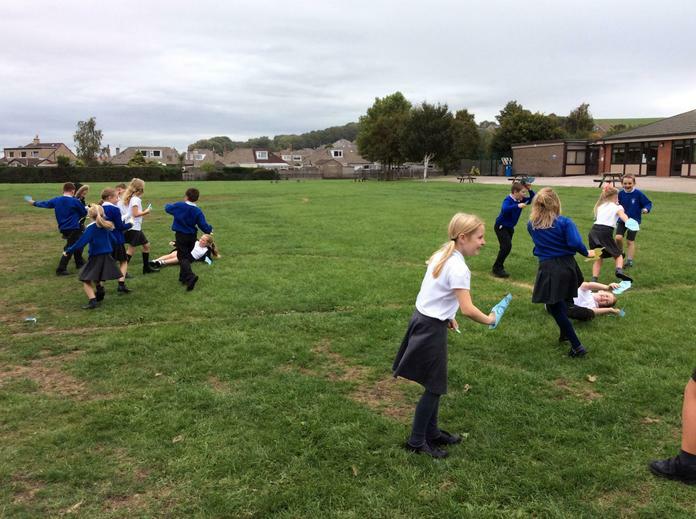 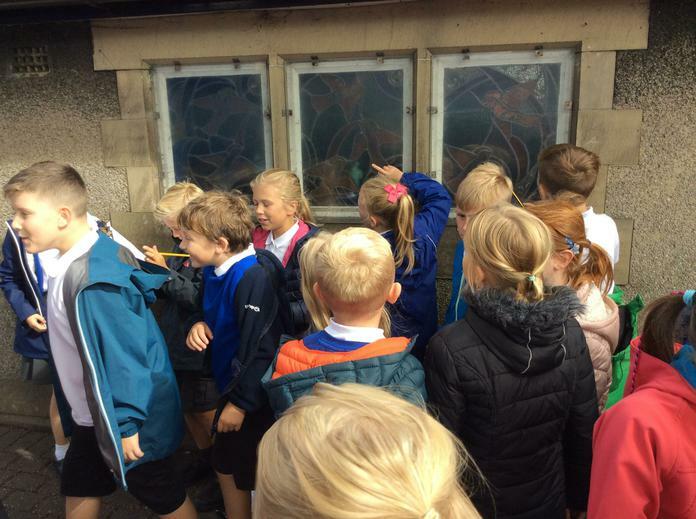 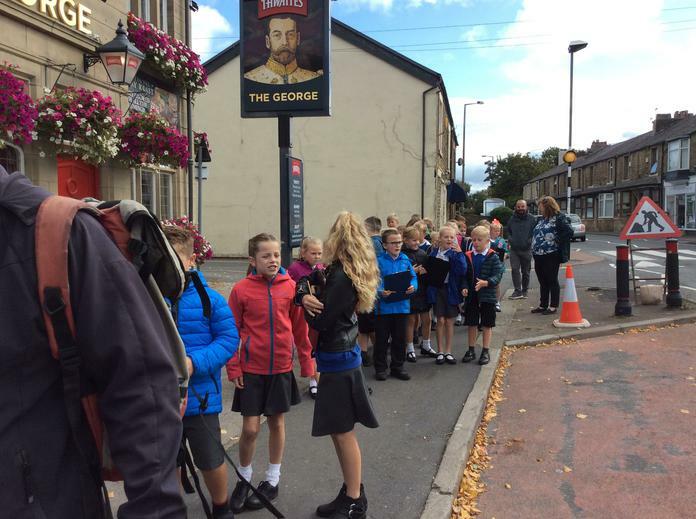 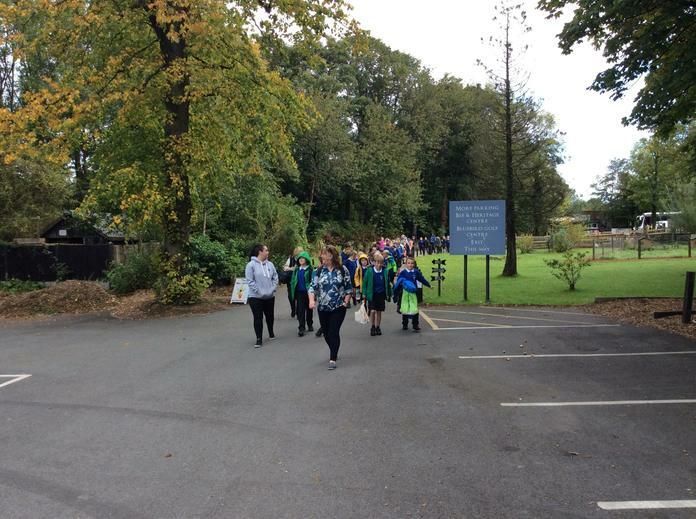 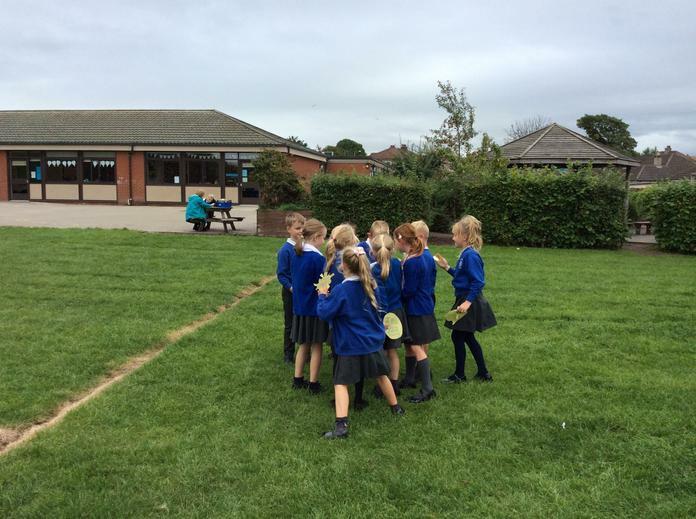 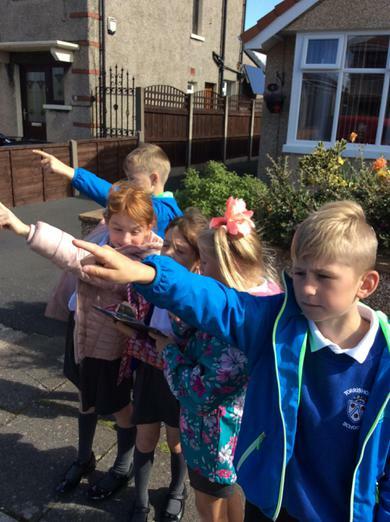 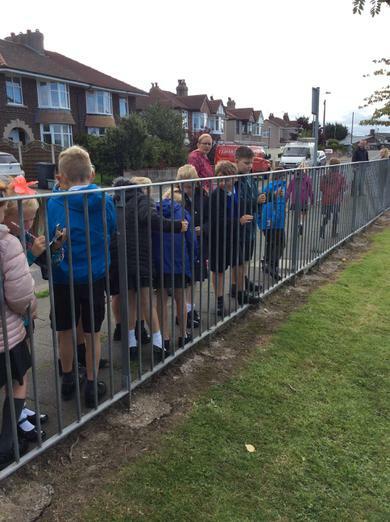 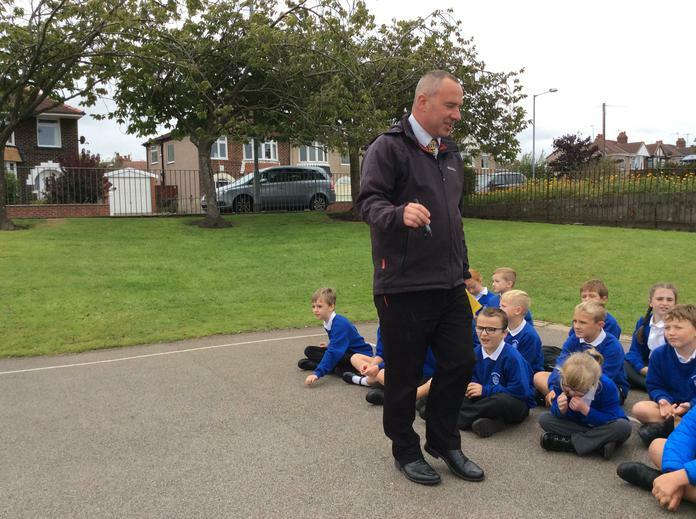 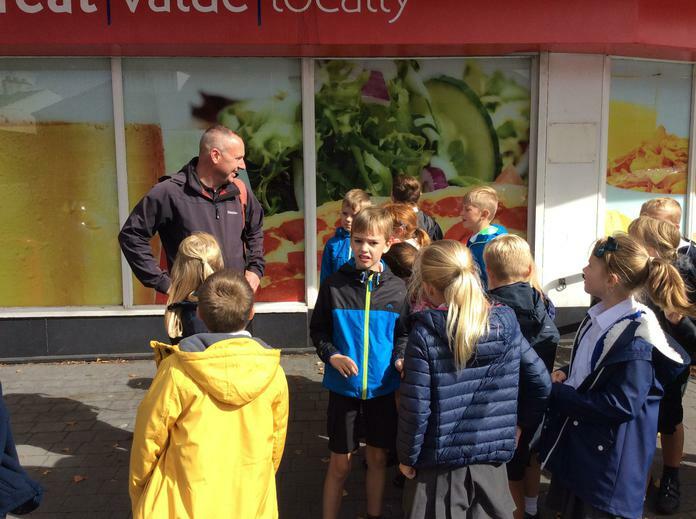 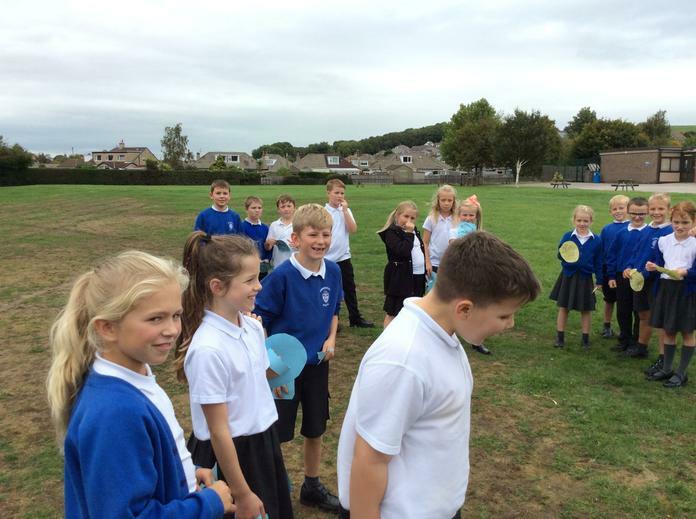 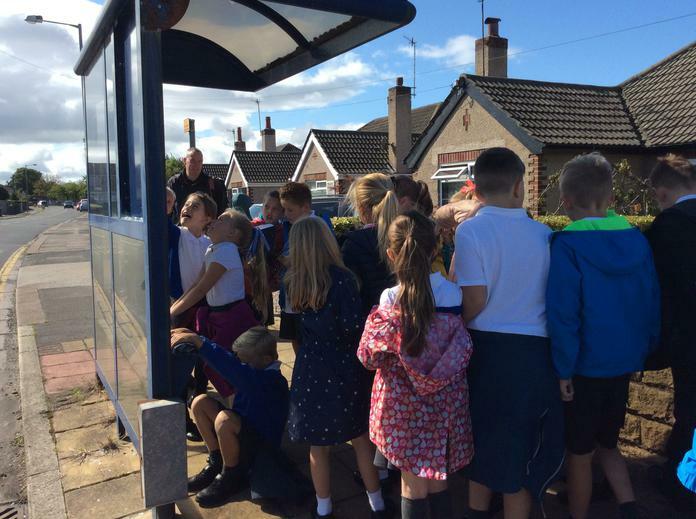 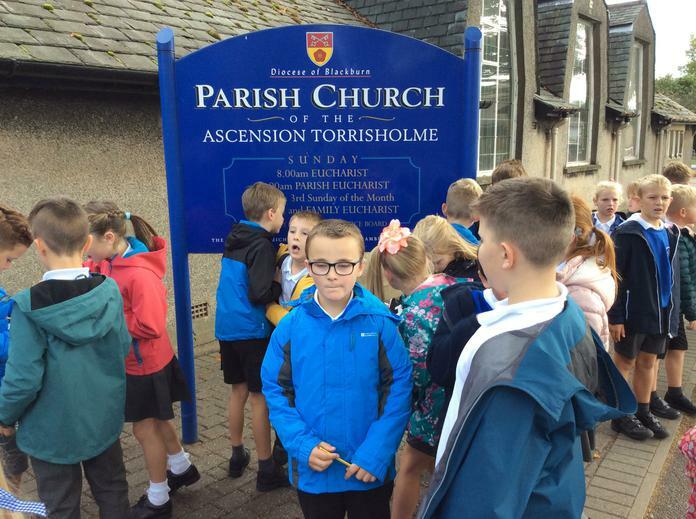 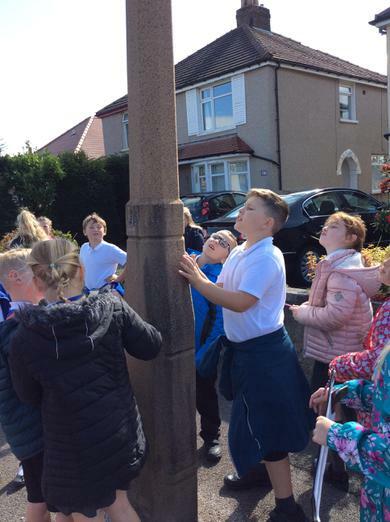 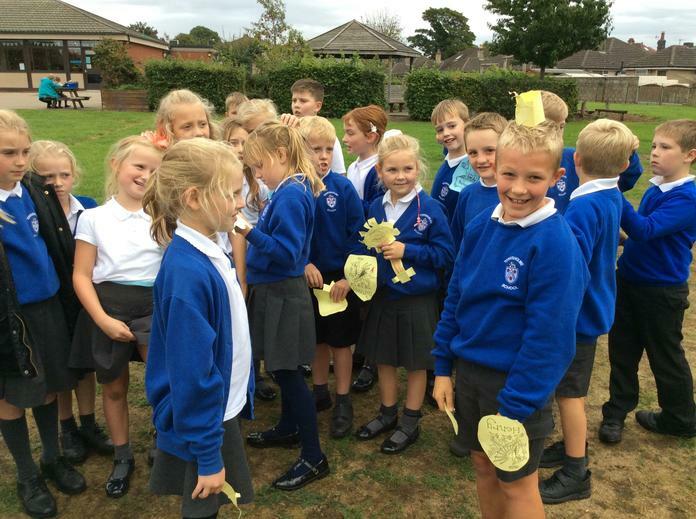 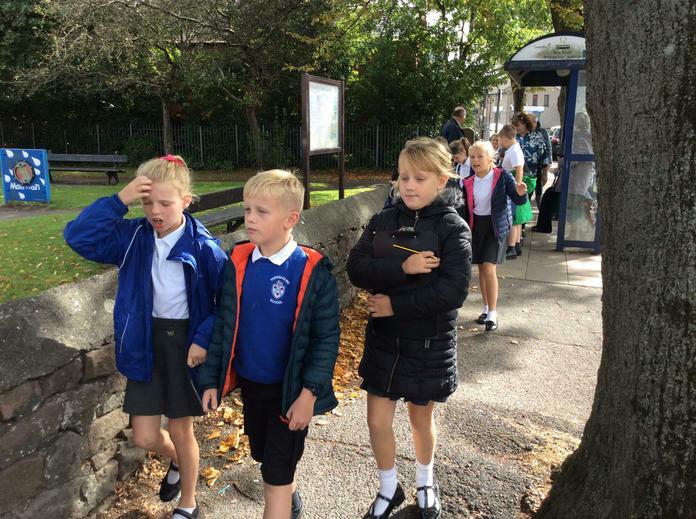 On Friday 7th September 2018, 4H went on a trip around the local area to develop their skills of observation and teamwork. 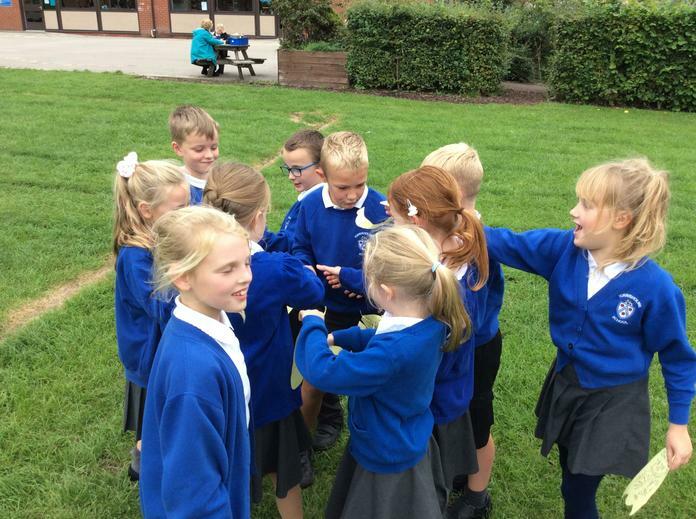 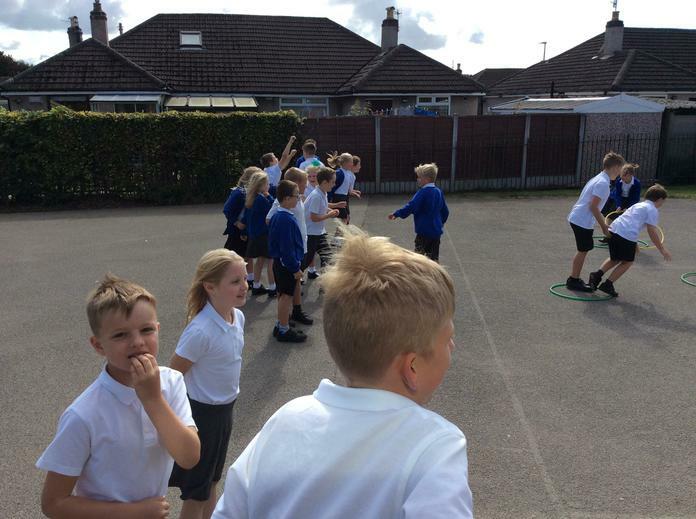 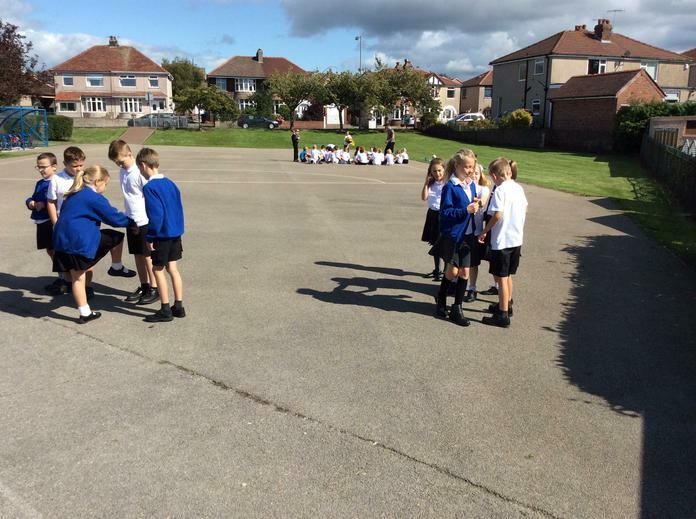 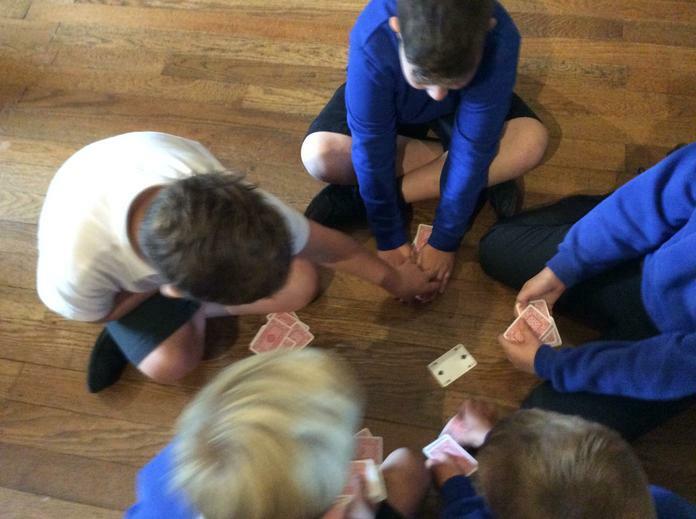 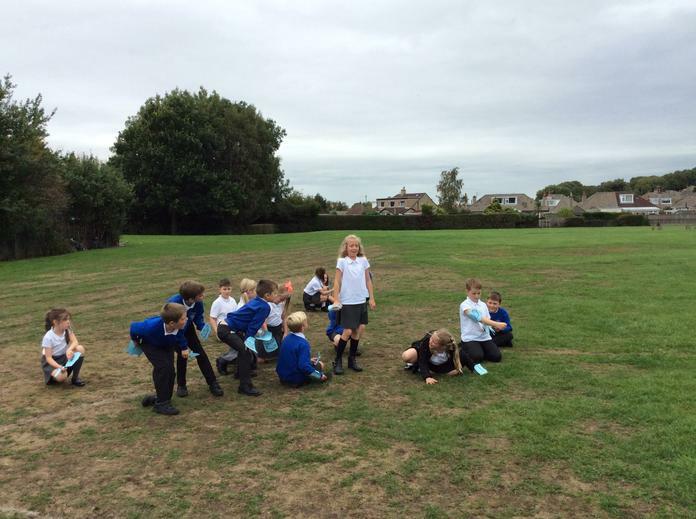 This week, we have been looking at working together as a team. 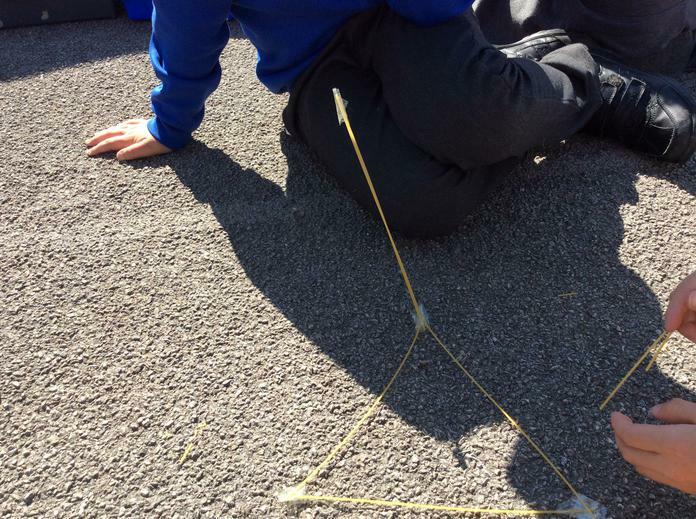 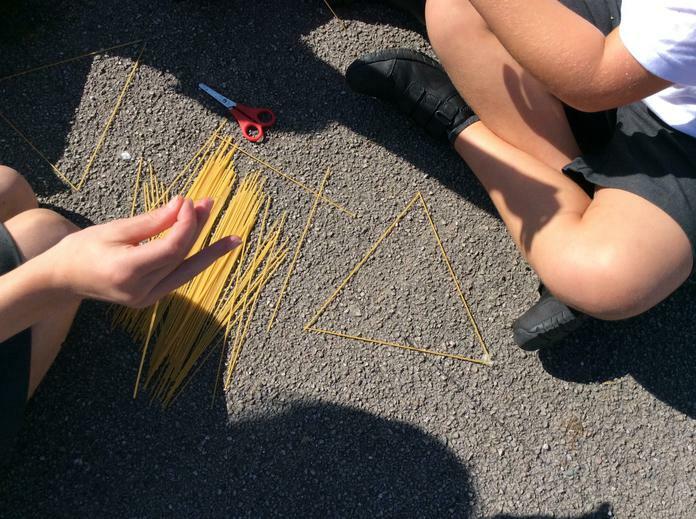 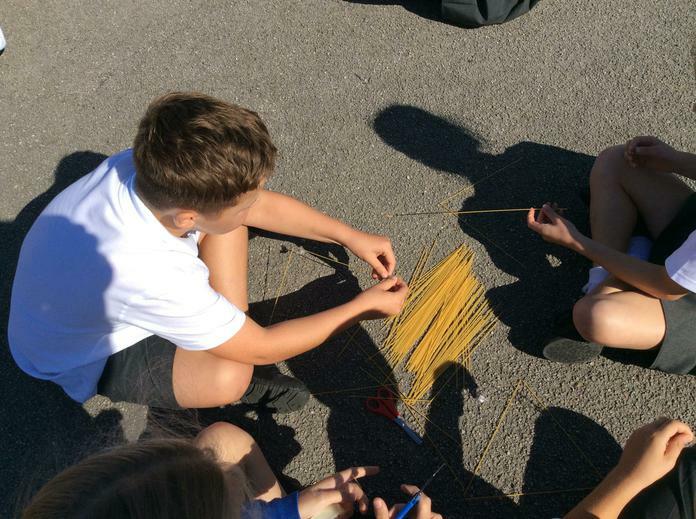 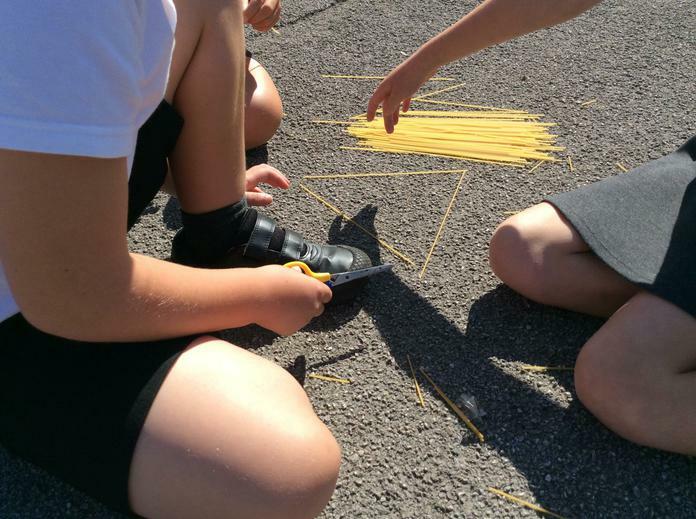 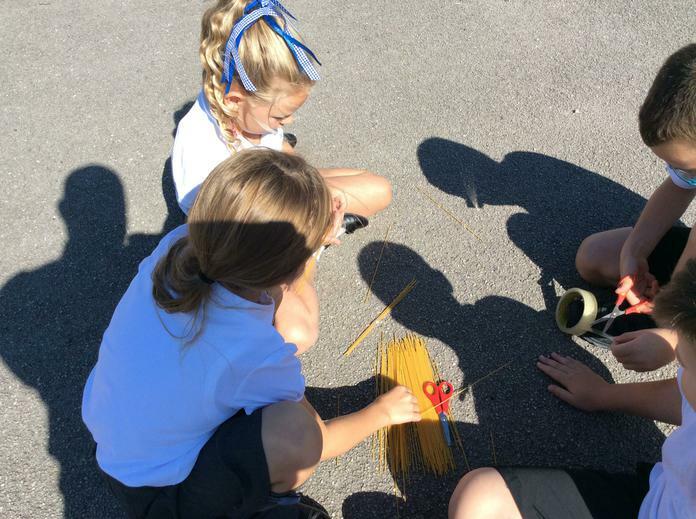 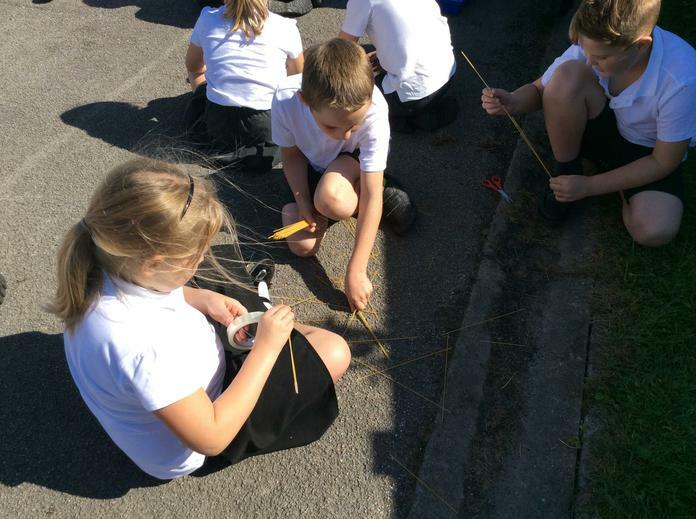 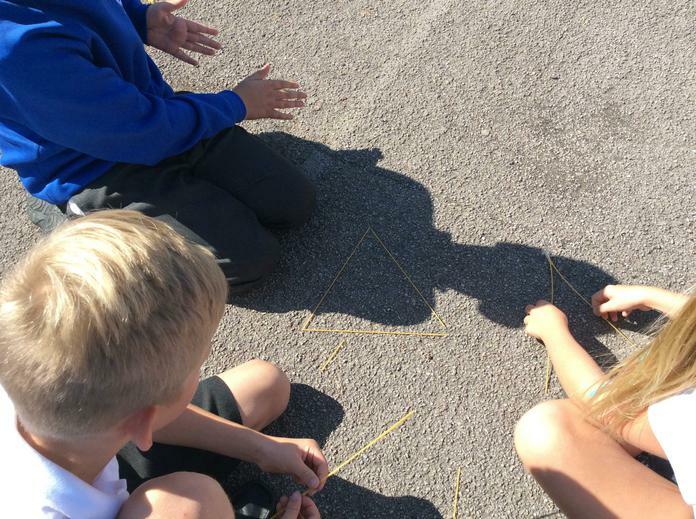 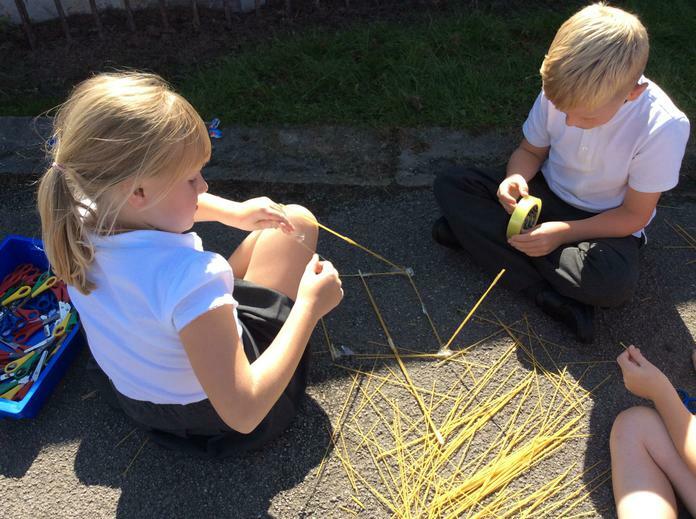 One of the activities was to build the highest tower out of just spaghetti and sellotape. 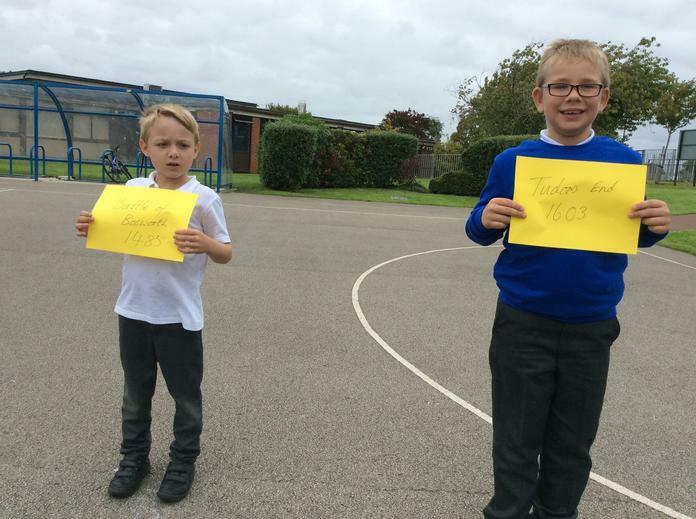 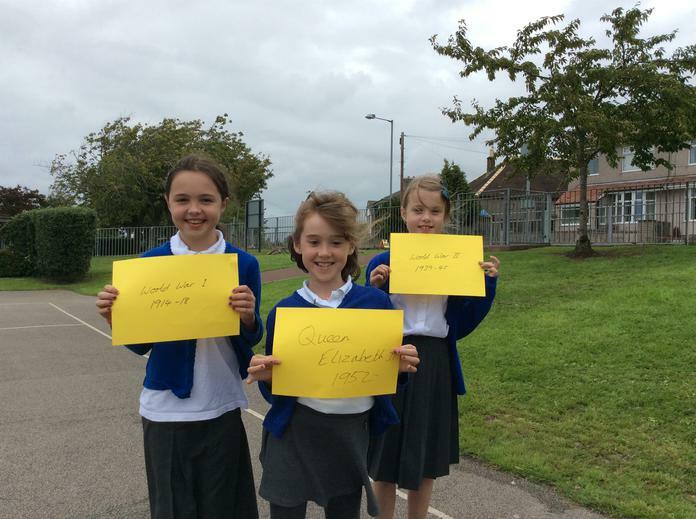 Well done to the winners with a height of 91cm! 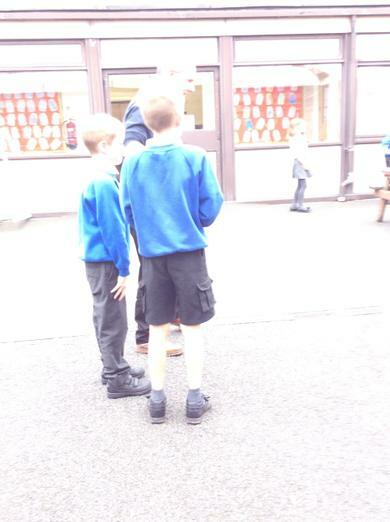 My name is Mr. Harding and we will be working together this year. 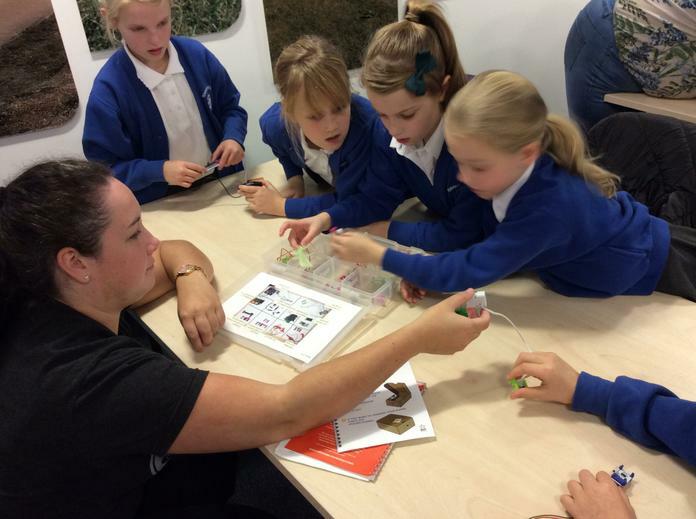 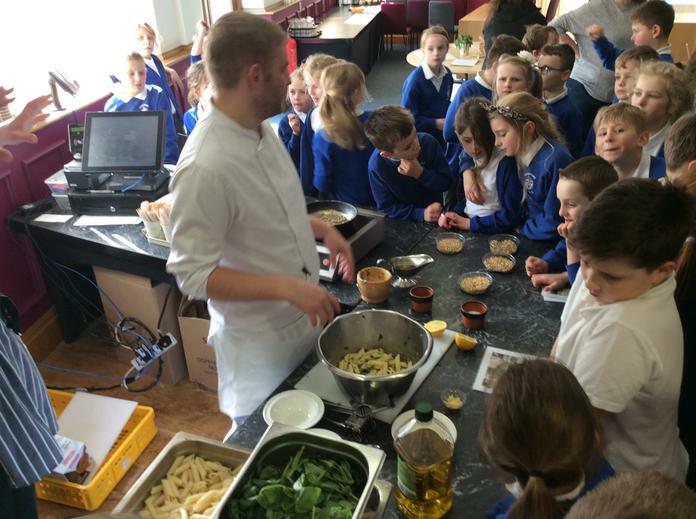 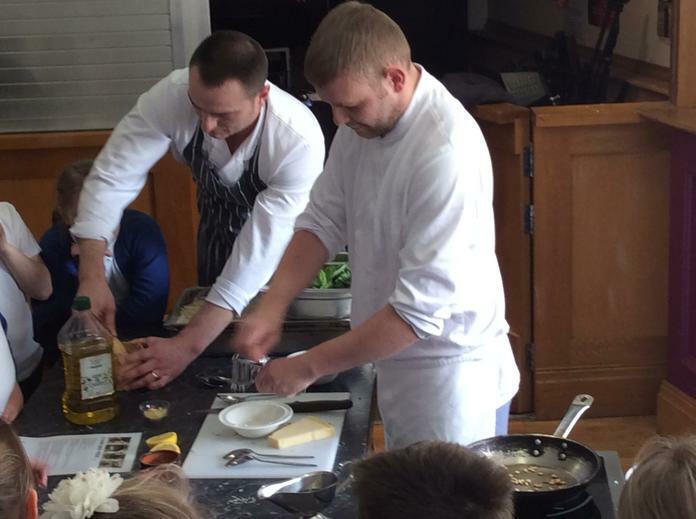 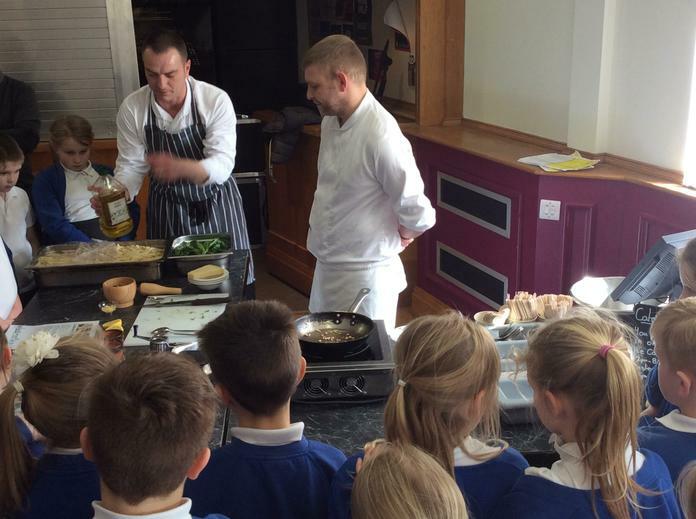 We have many exciting learning opportunities for you to engage with. 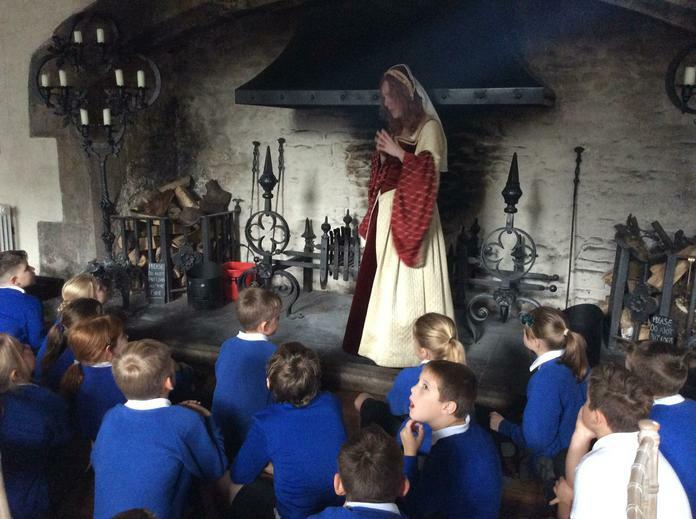 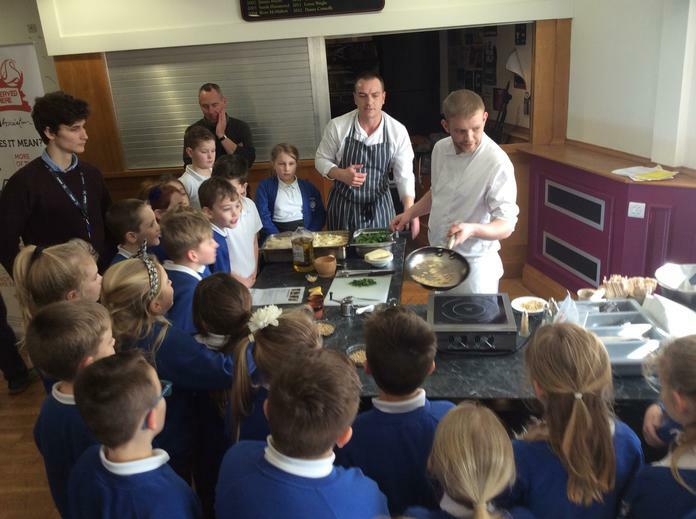 Other members of staff that you will see in the class are; Mrs. Tuer, Mr. Dagnall and Mrs. Green. 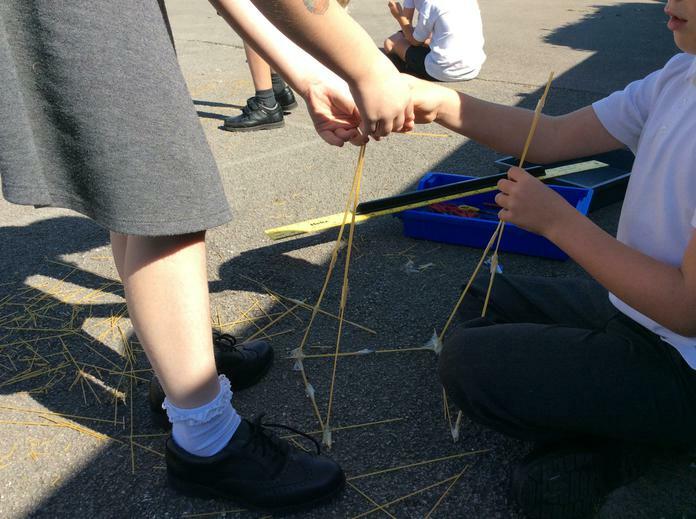 Being resilient is an important aspect of learning. 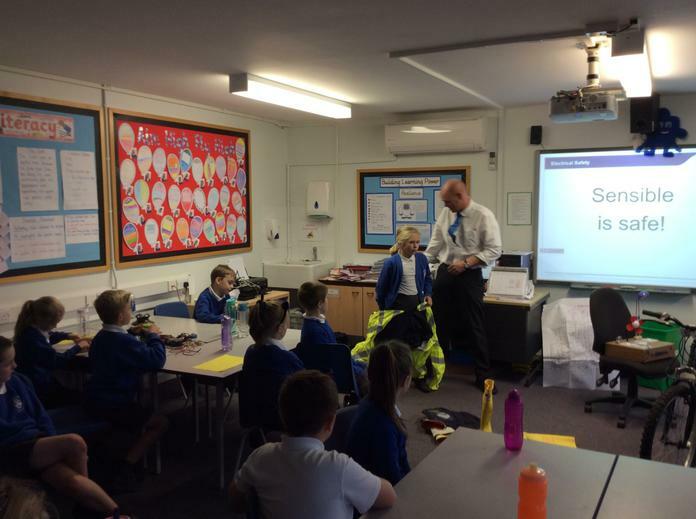 We will be working together to try to think about ways to achieve this. 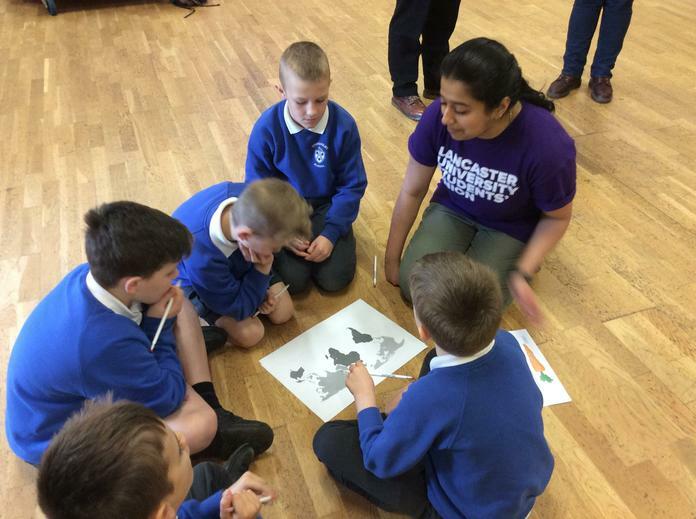 We do, however, have the help of our mascot of 'Not Yet' the yeti who helps us to remember that we may not know something..Yet!